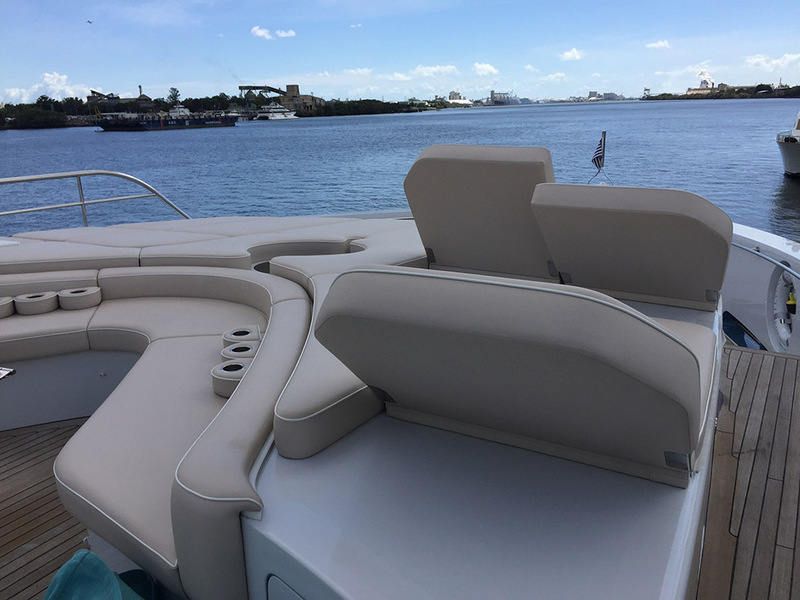 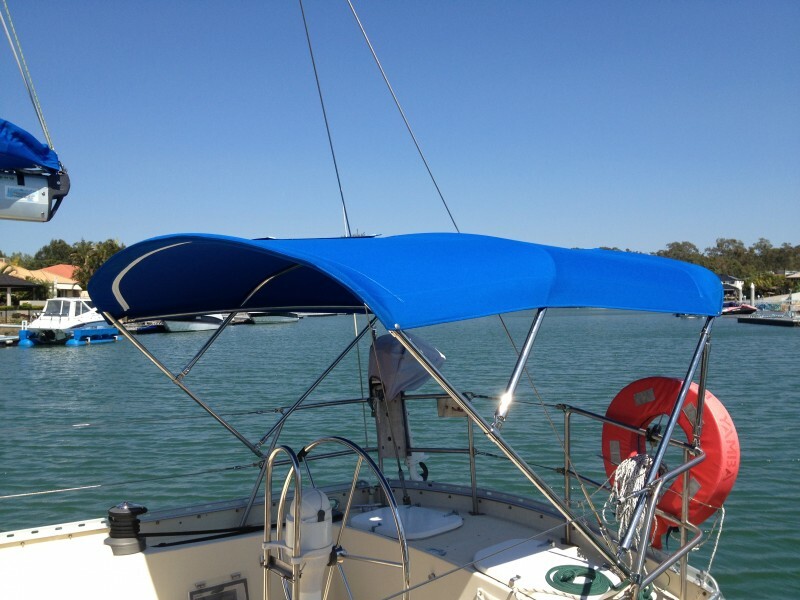 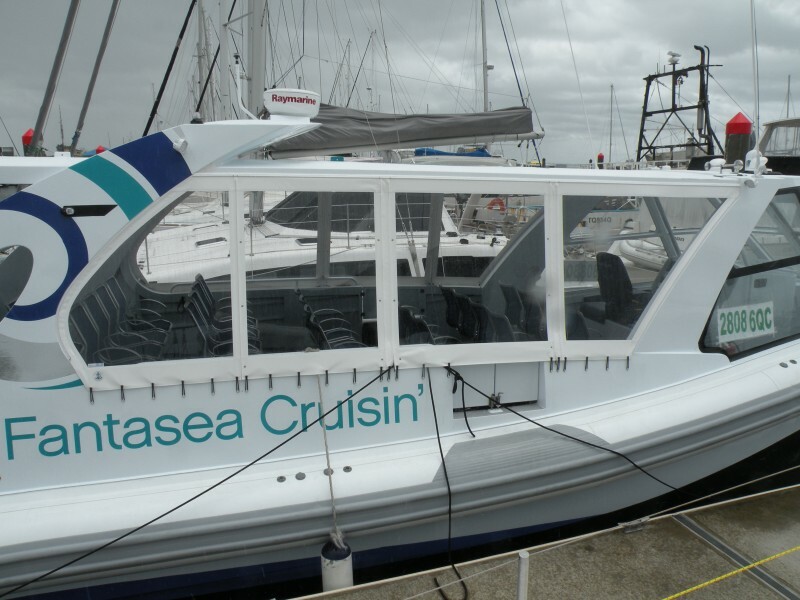 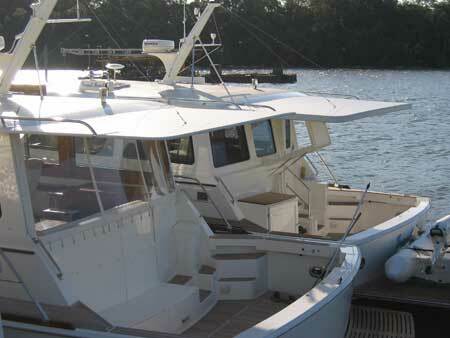 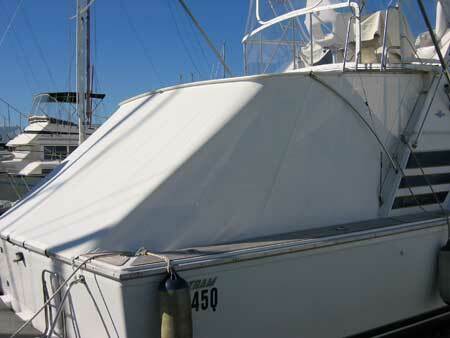 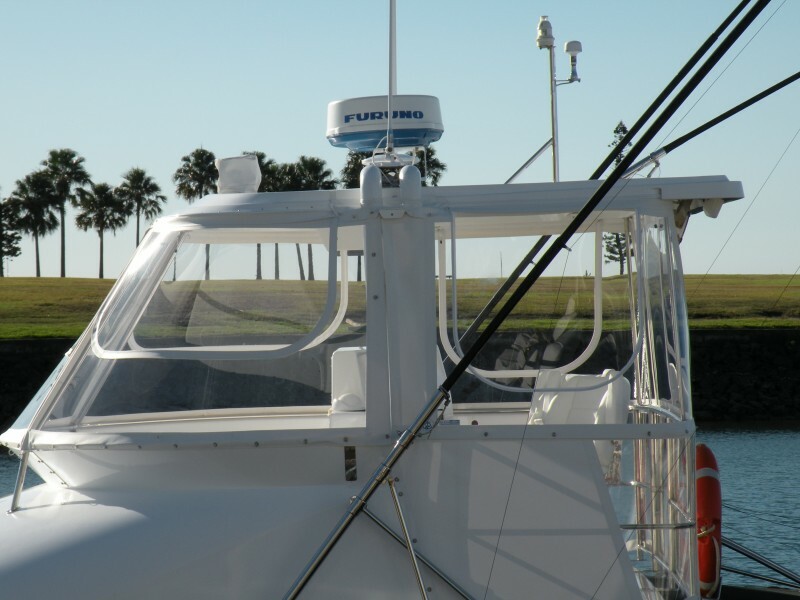 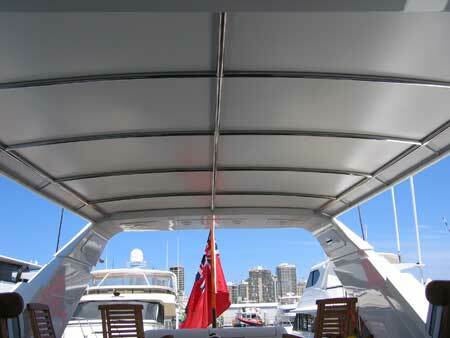 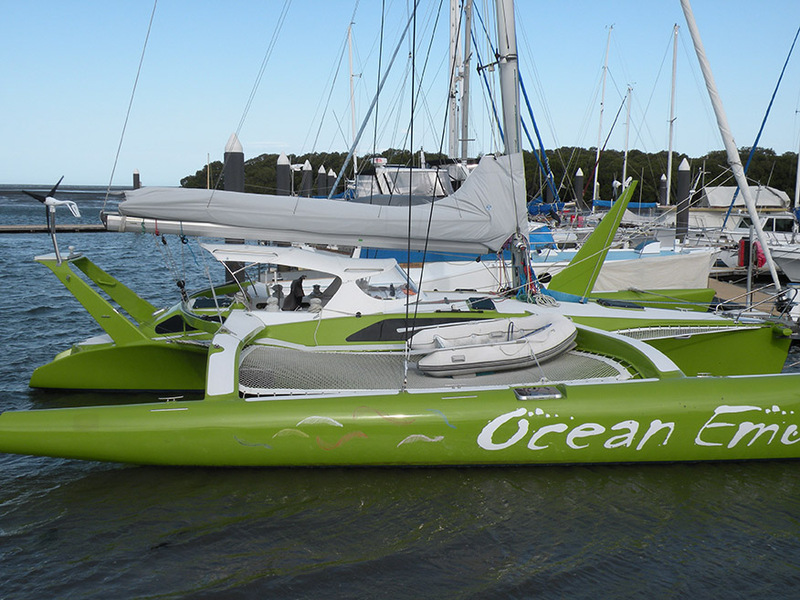 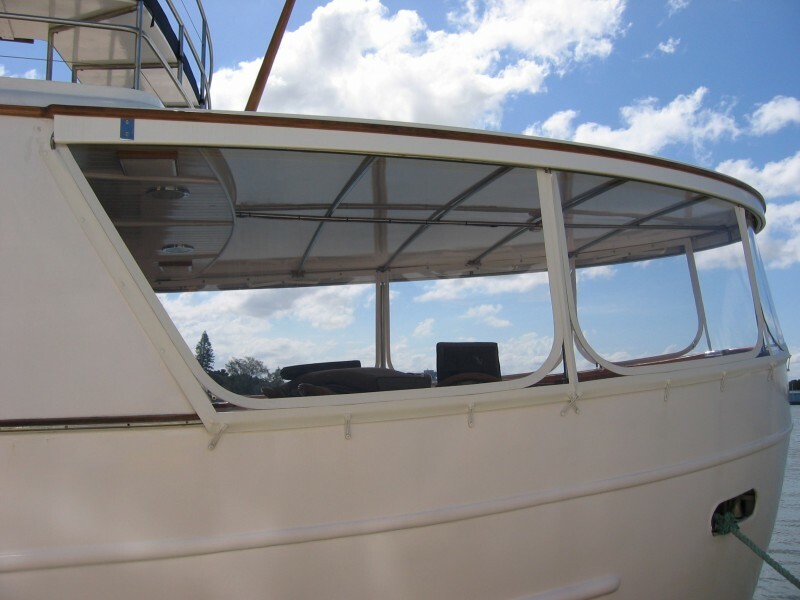 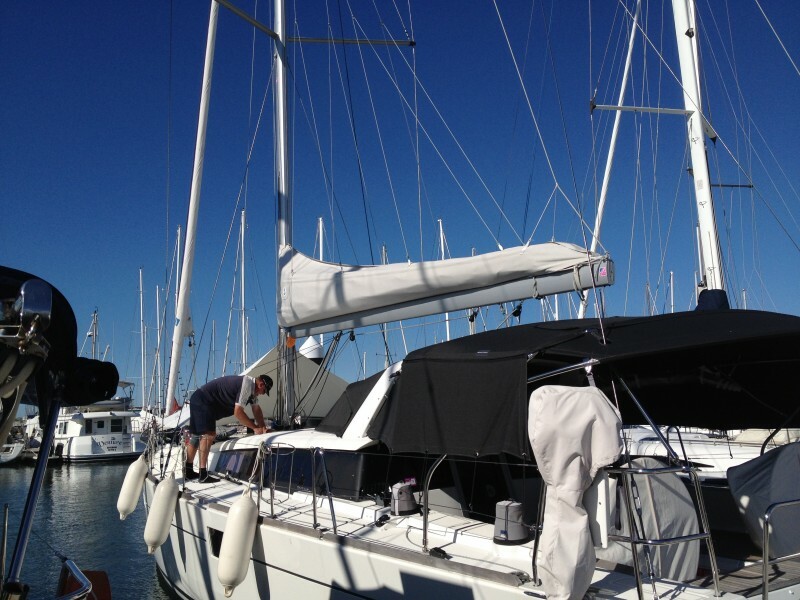 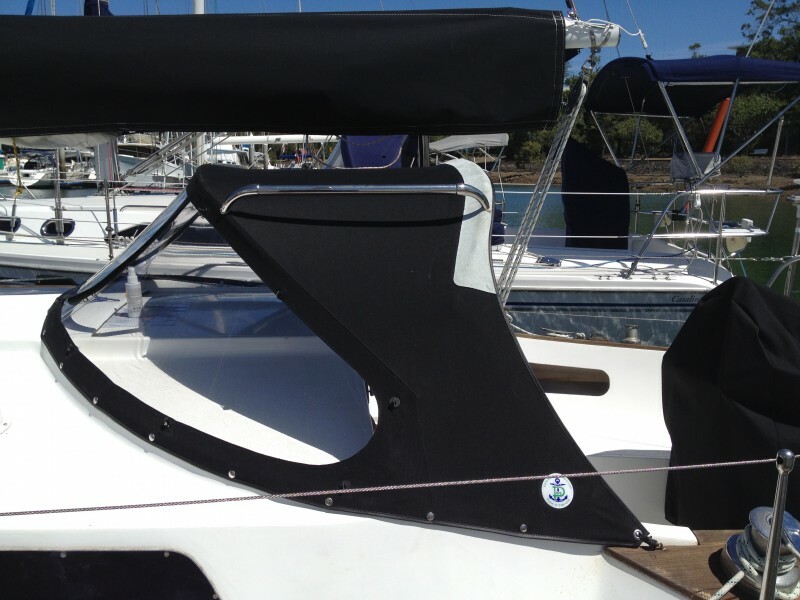 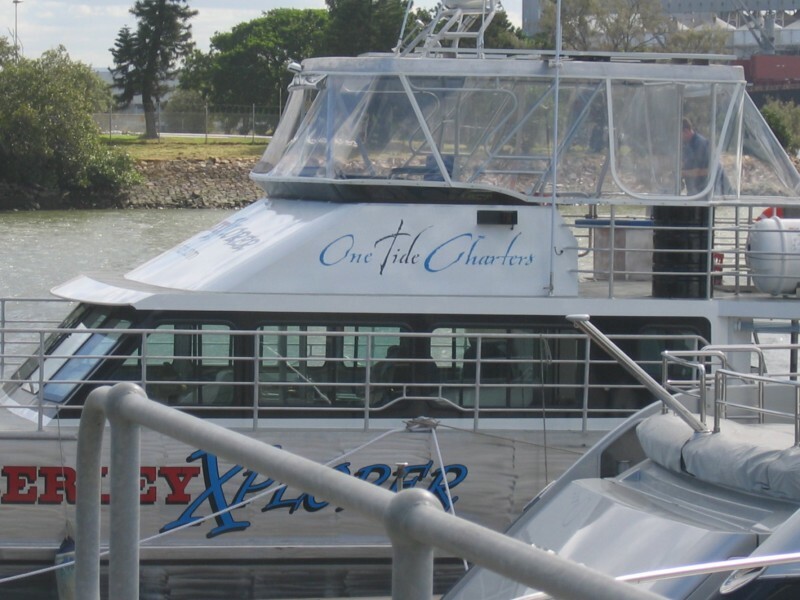 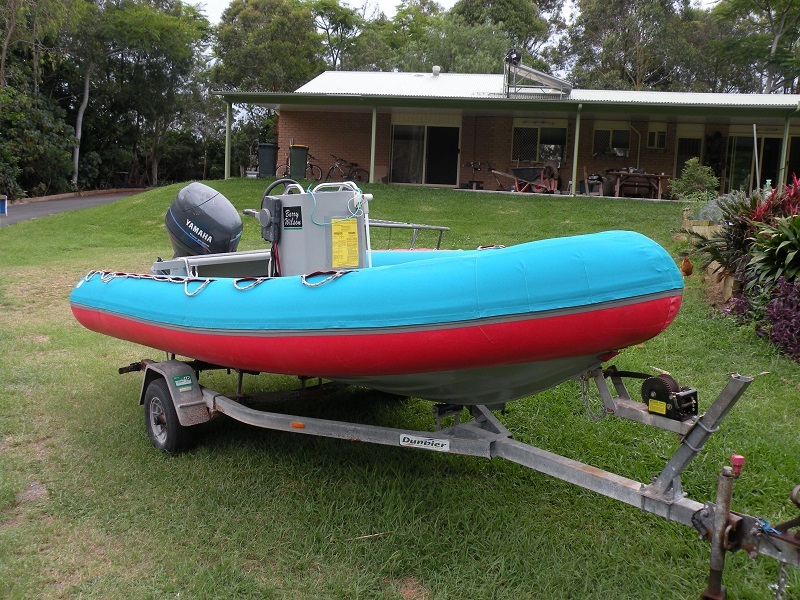 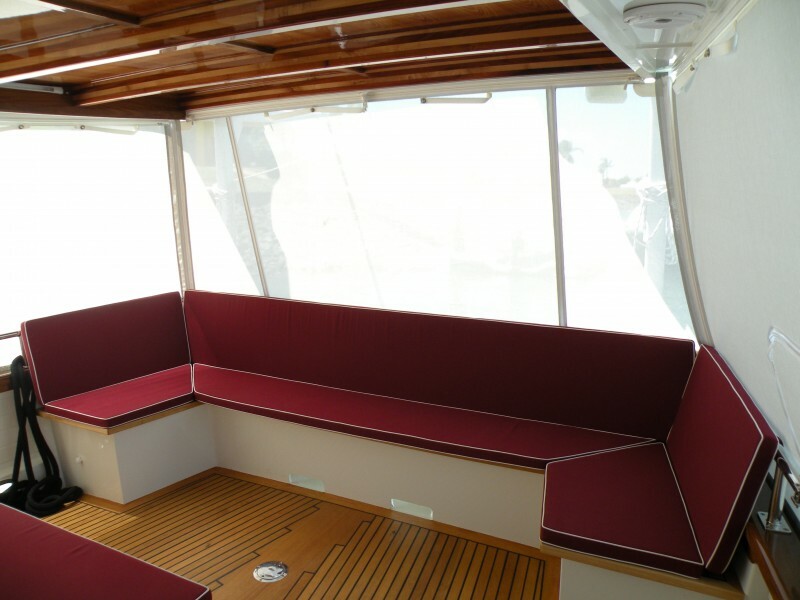 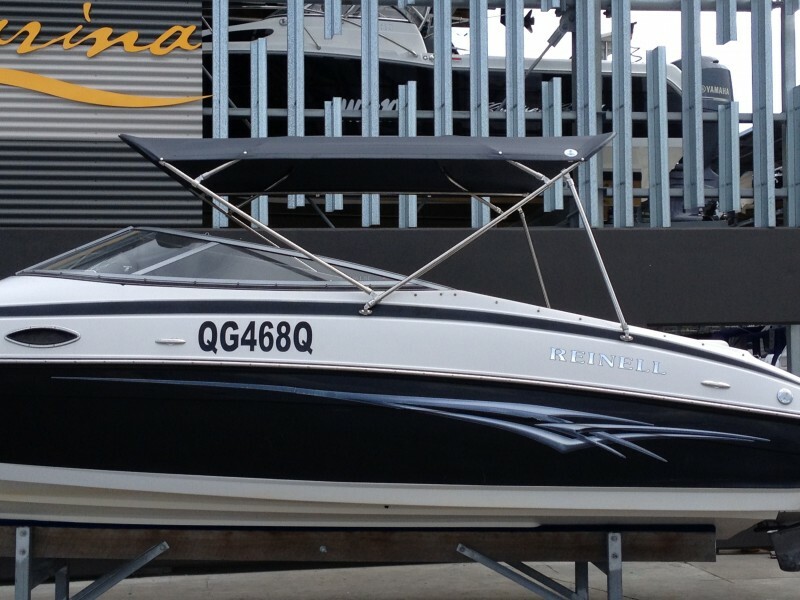 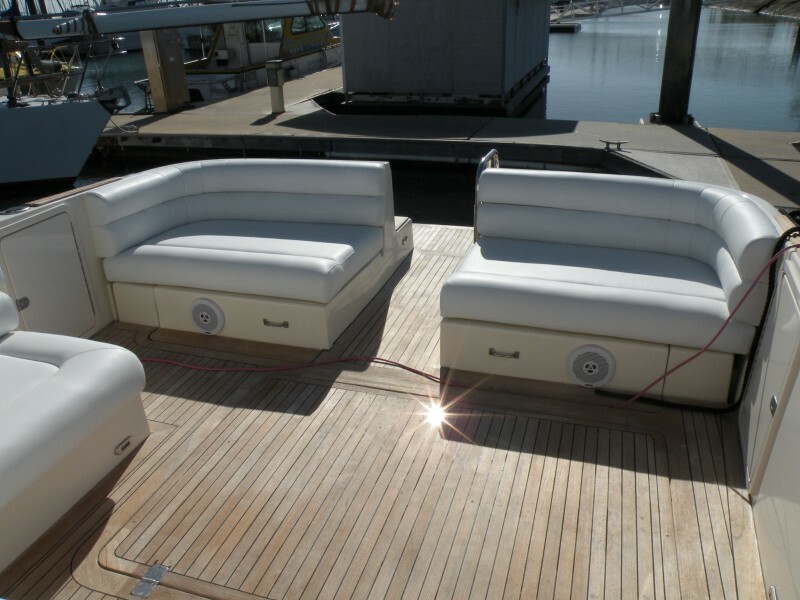 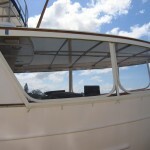 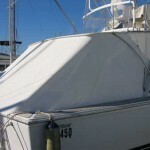 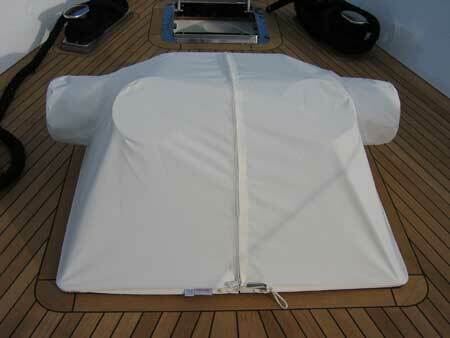 Creates large areas on the right boats, for staying cool and reducing sun exposure. 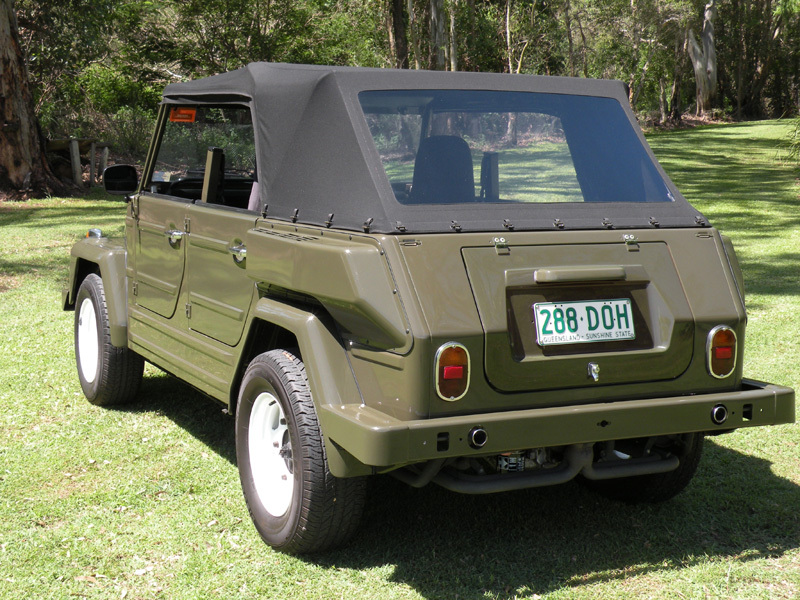 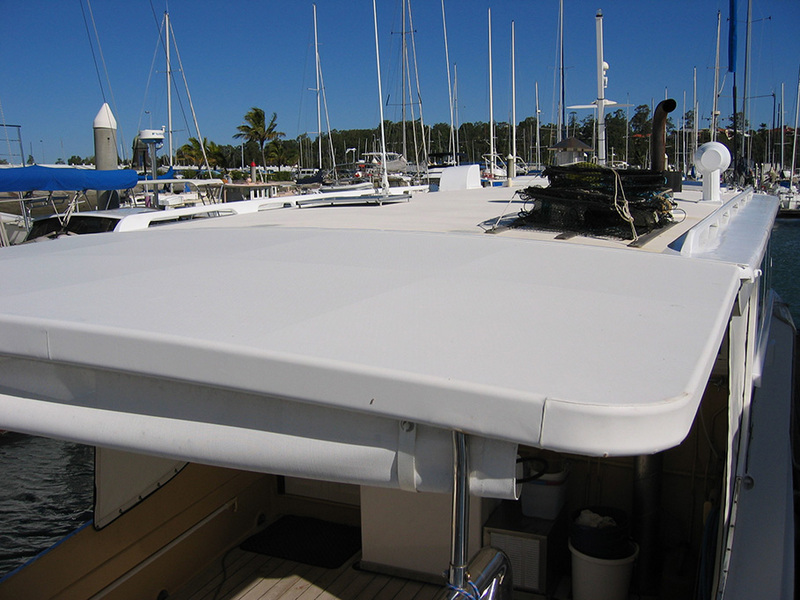 Soft Stamoid PVC that gives the look of a fiberglass hard top. 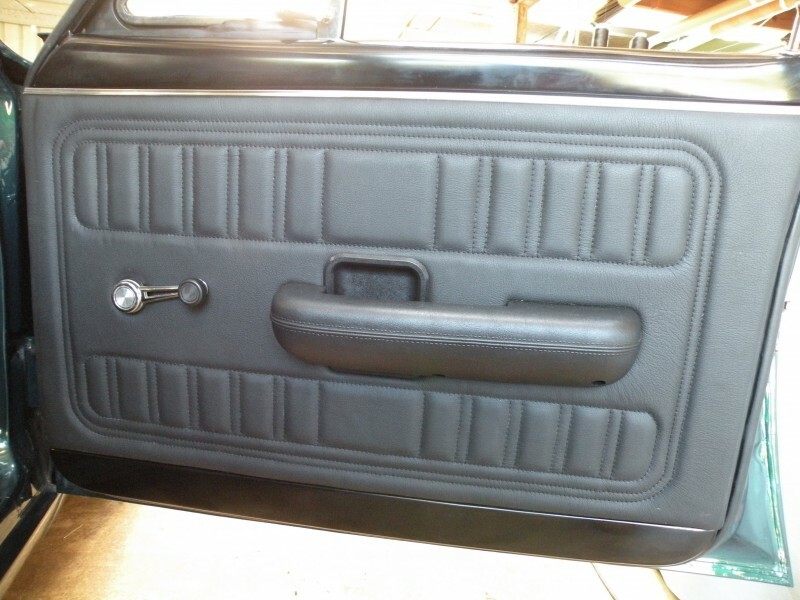 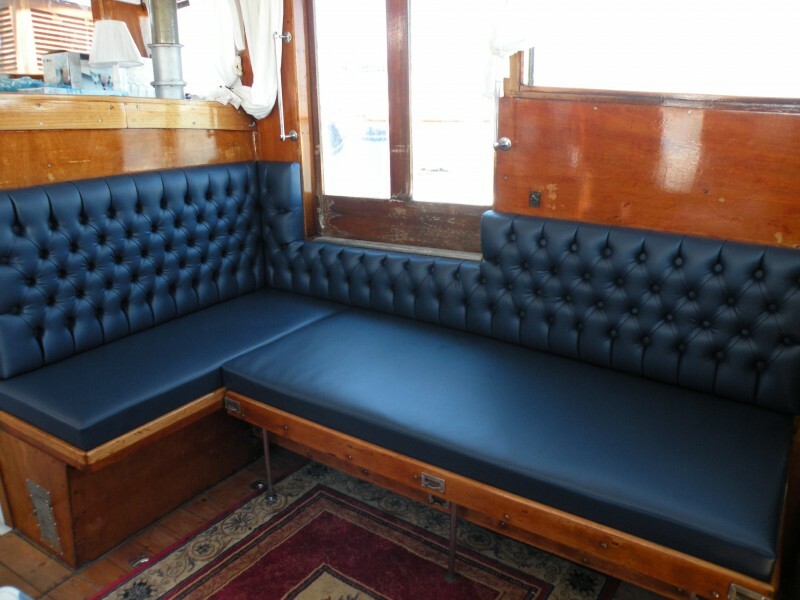 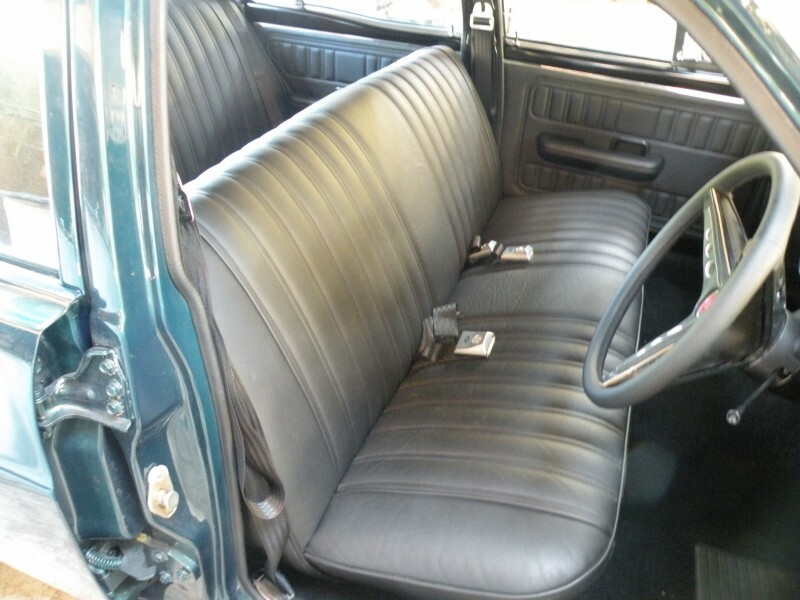 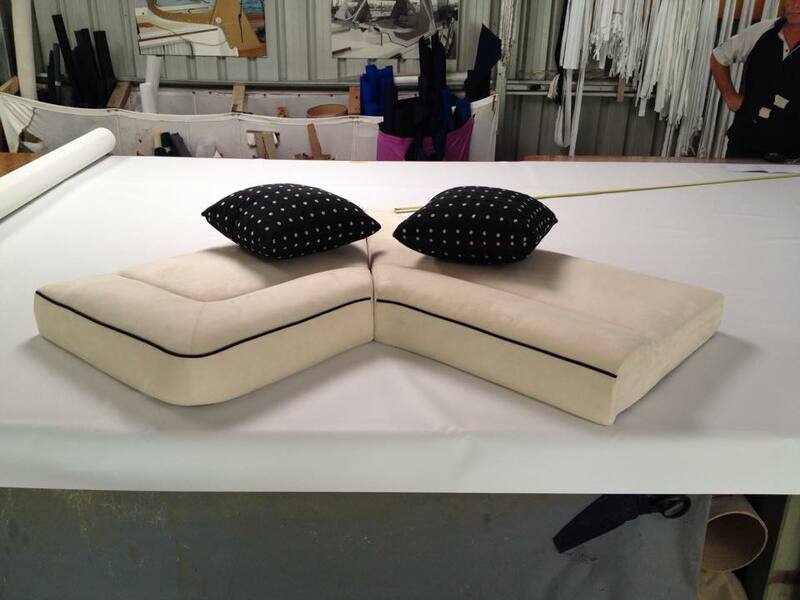 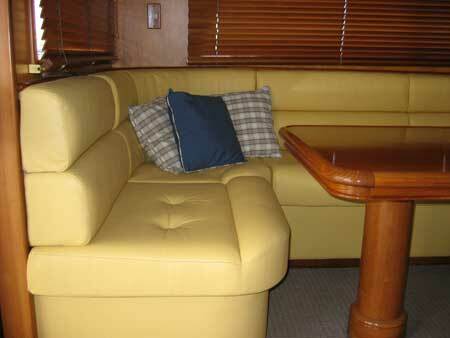 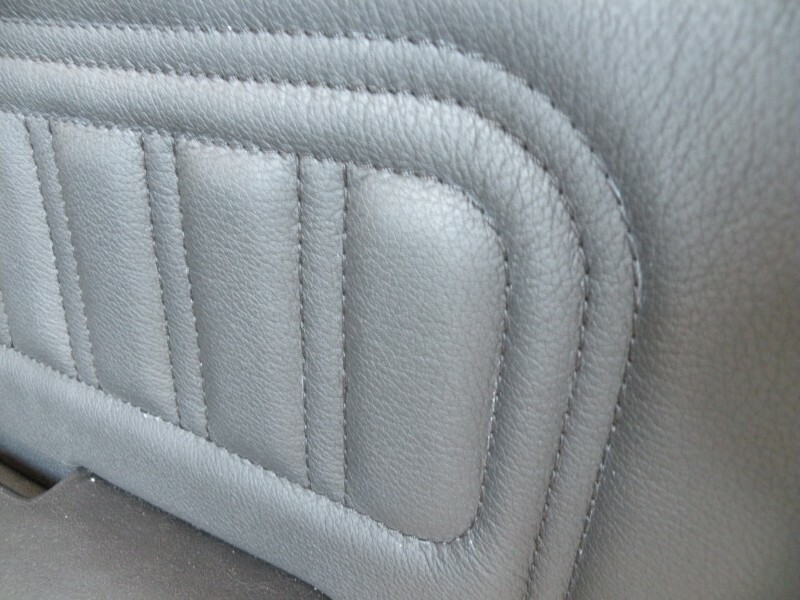 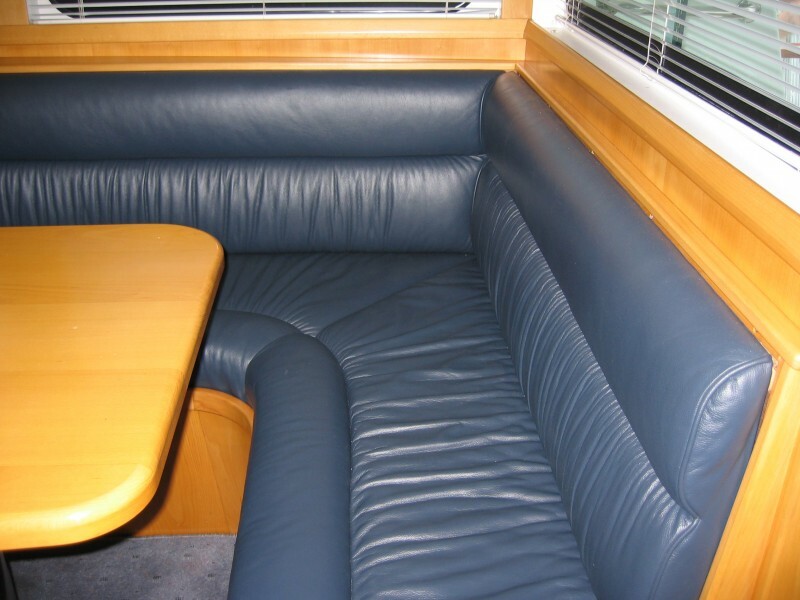 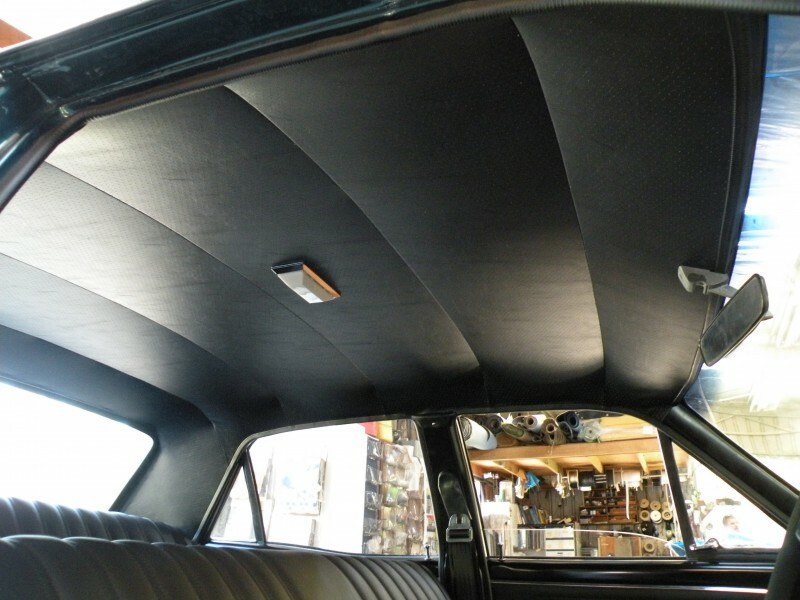 All interior upholstery in a range of materials including leather, vinyl, suede and canvas. 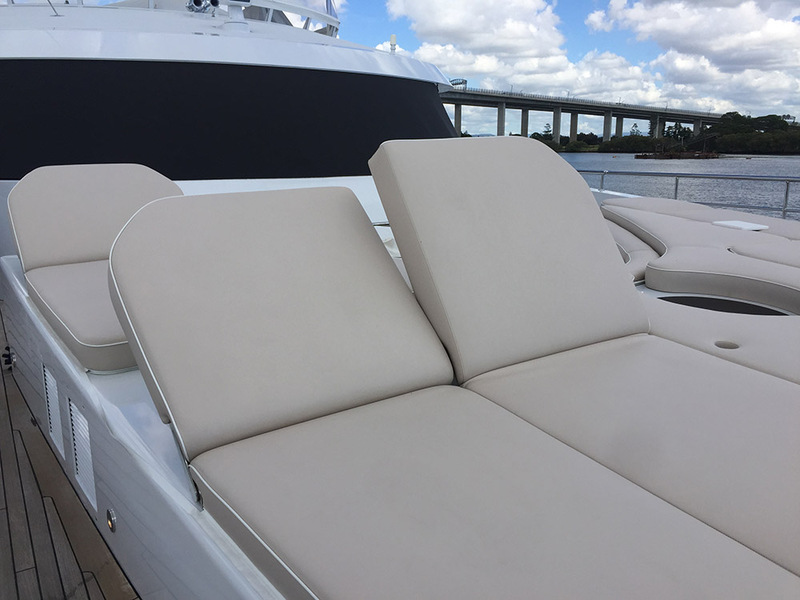 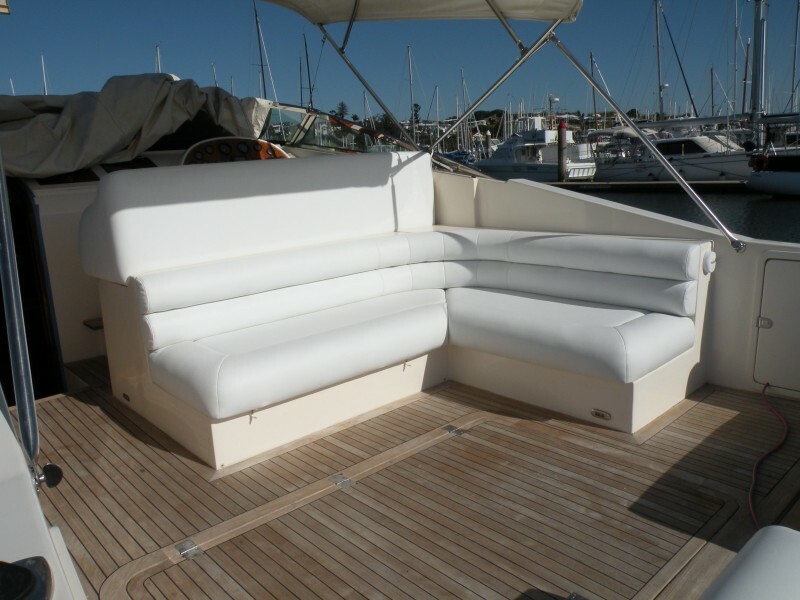 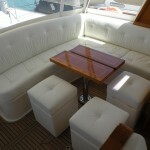 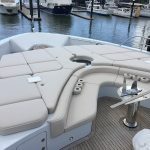 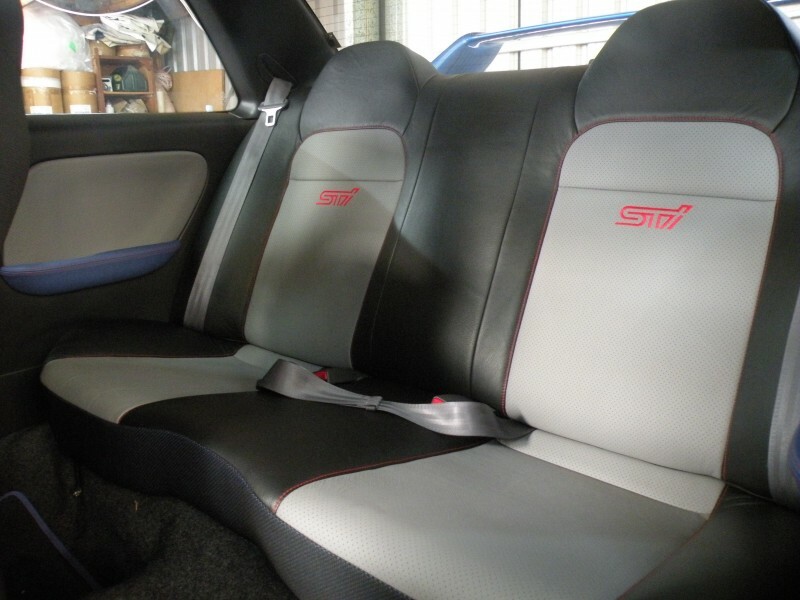 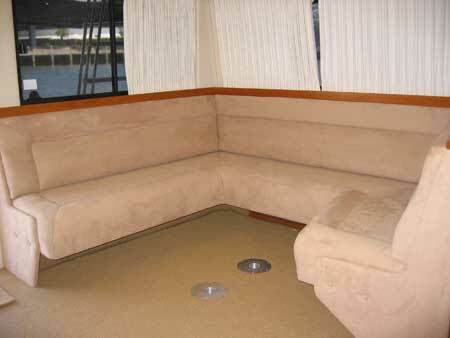 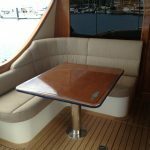 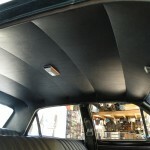 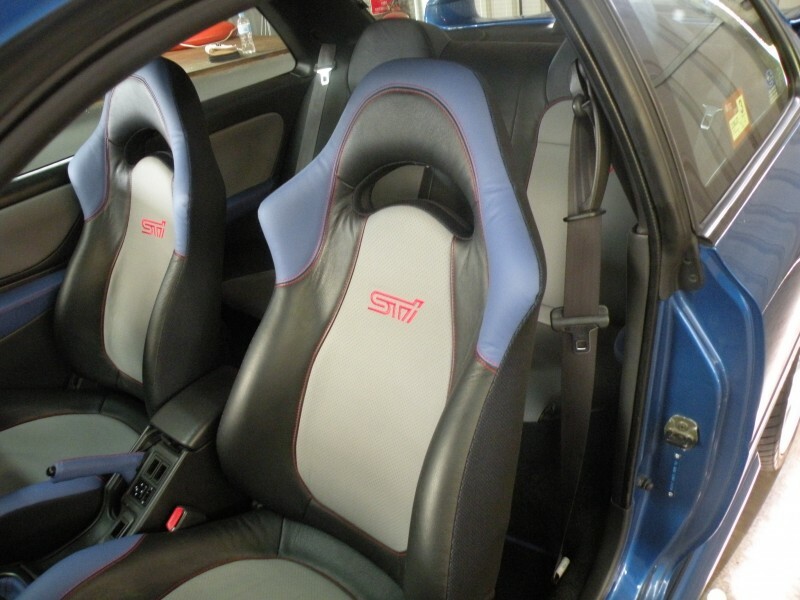 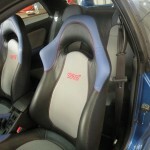 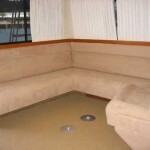 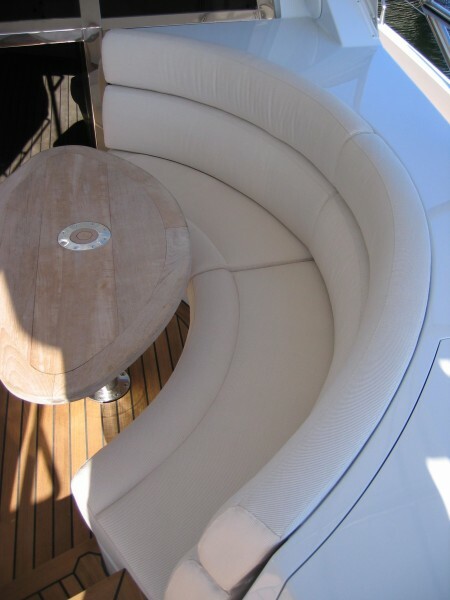 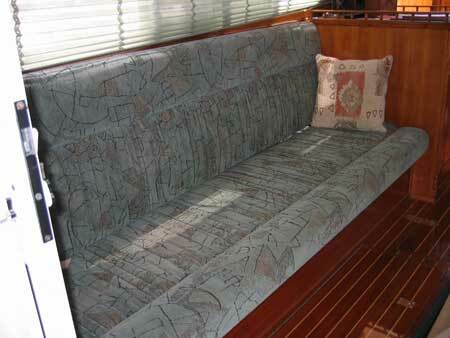 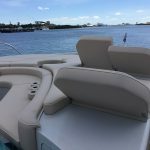 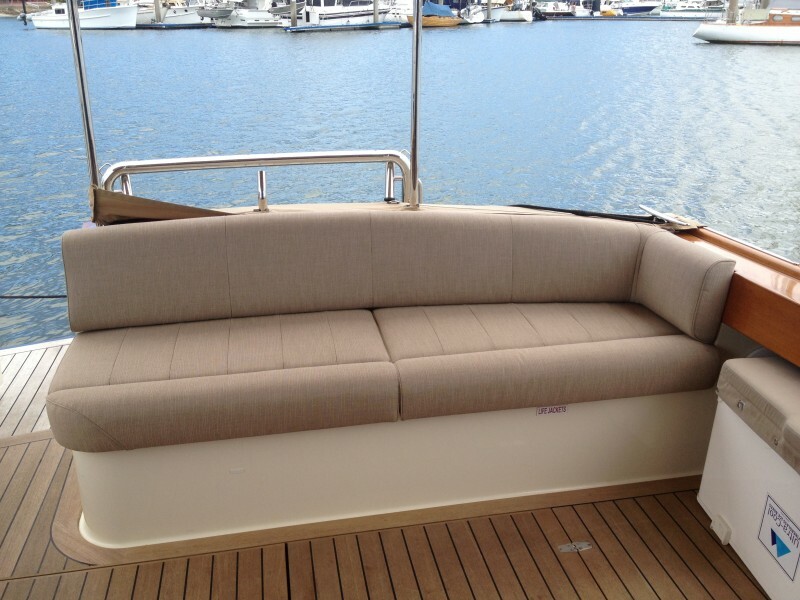 Exterior upholstery for cockpits and outdoor areas. 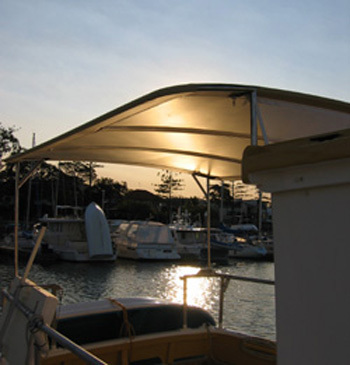 Our lightweight suspended awnings for weather protection. 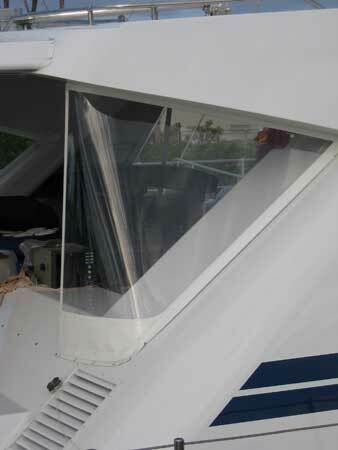 Rigid Polycarbonate and Acrylic clears provide superior visibility. 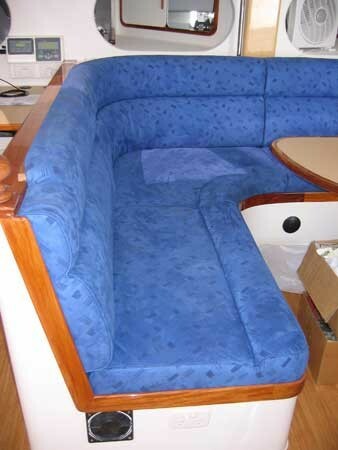 Dodgers tailored to your yacht and needs. 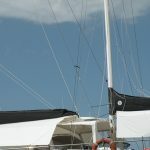 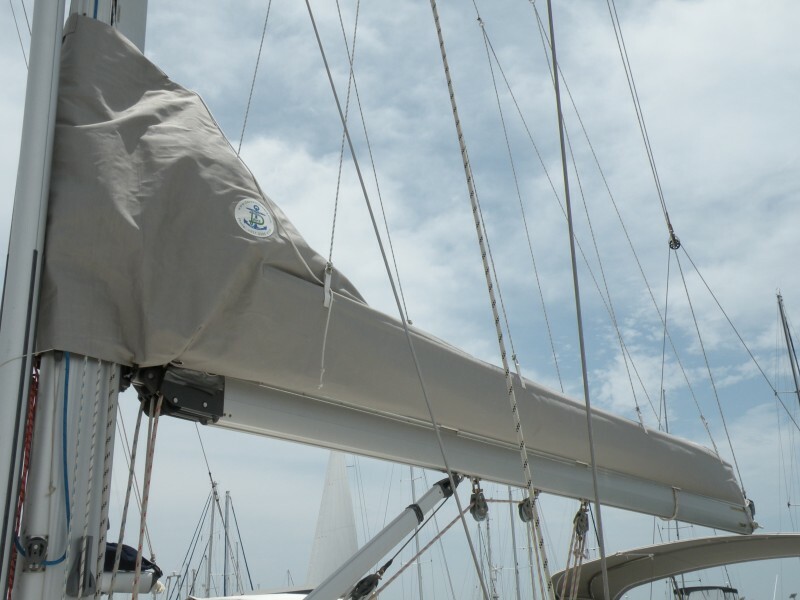 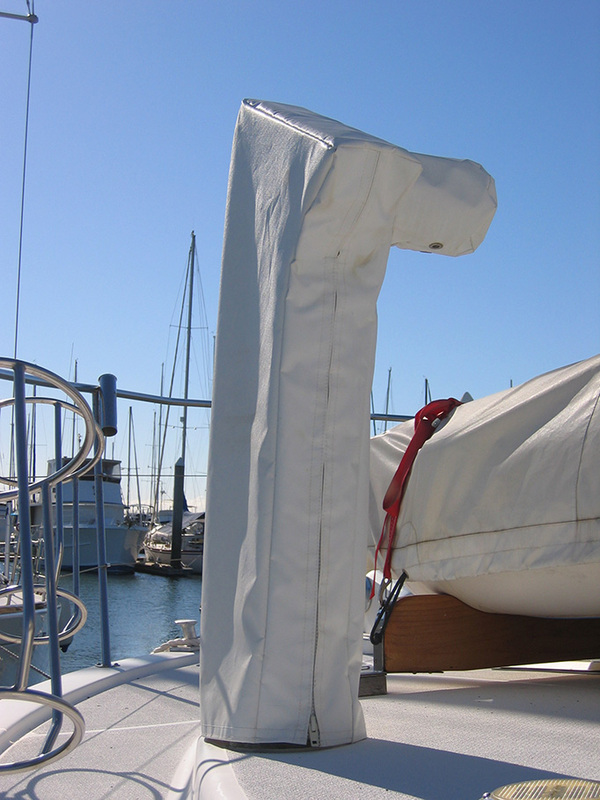 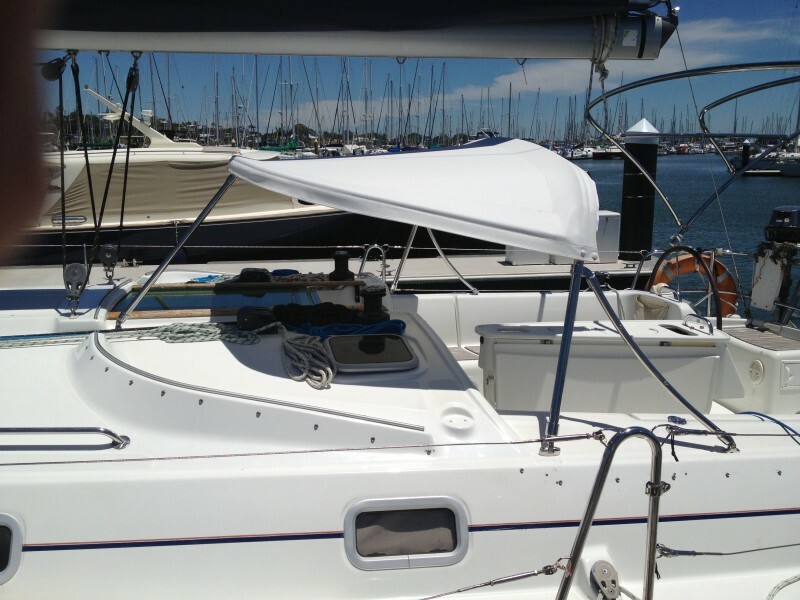 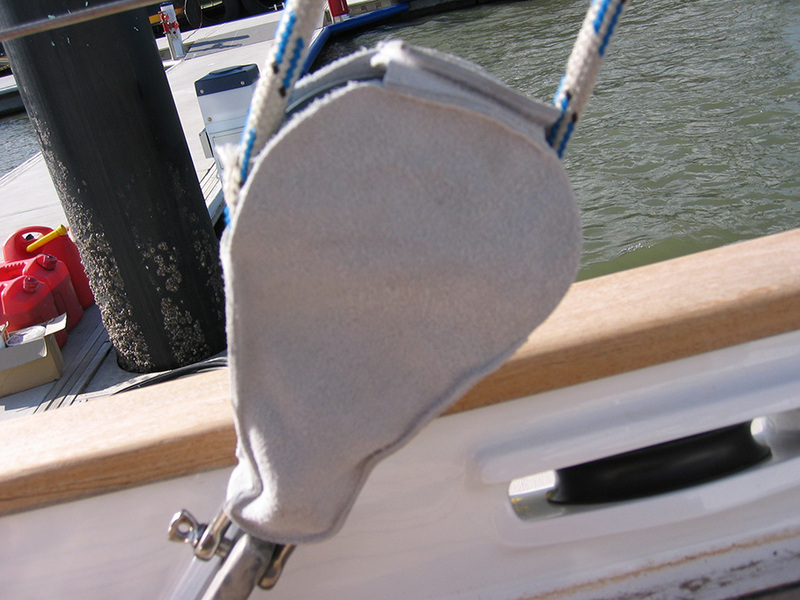 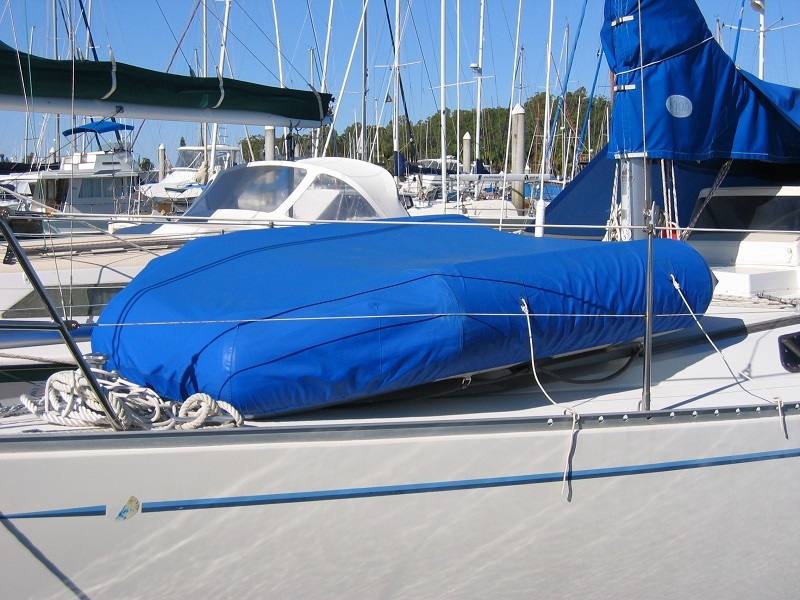 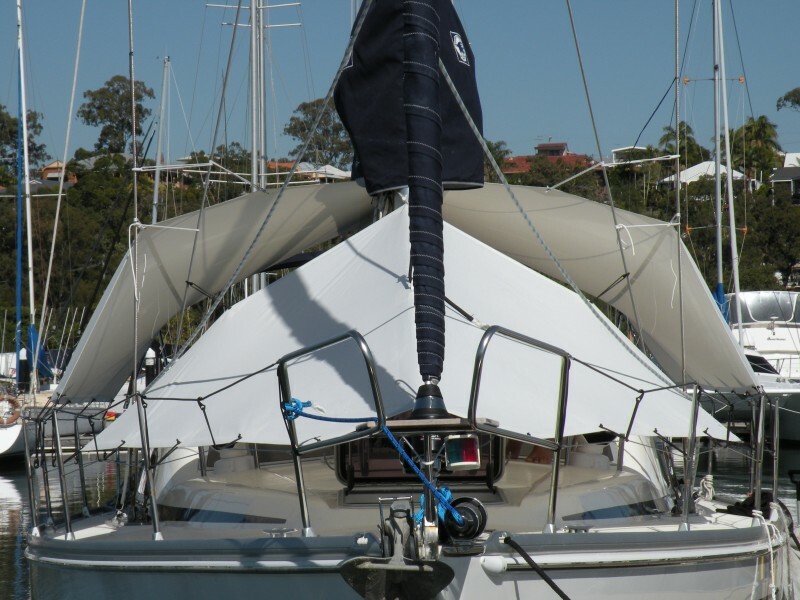 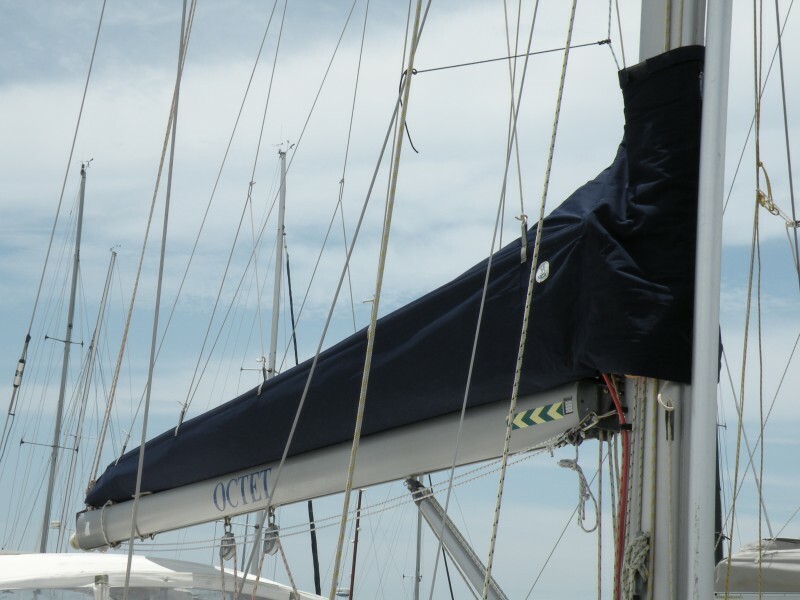 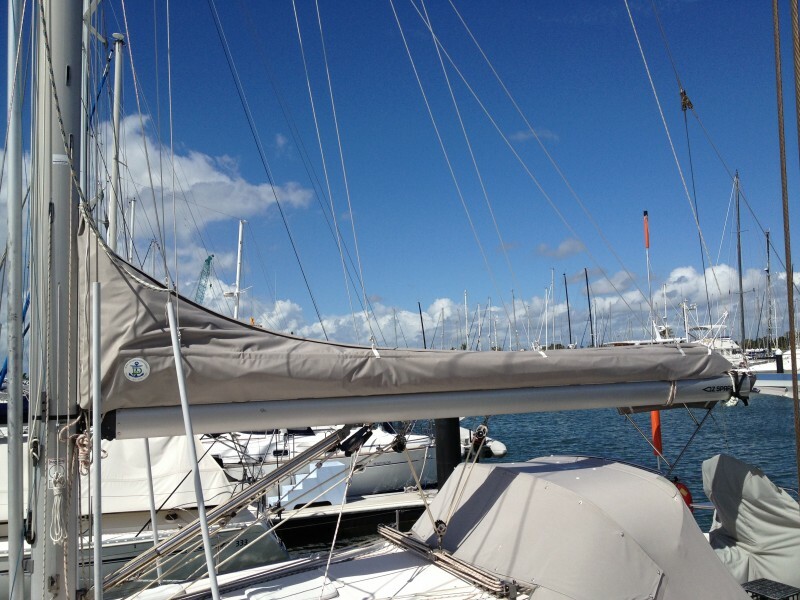 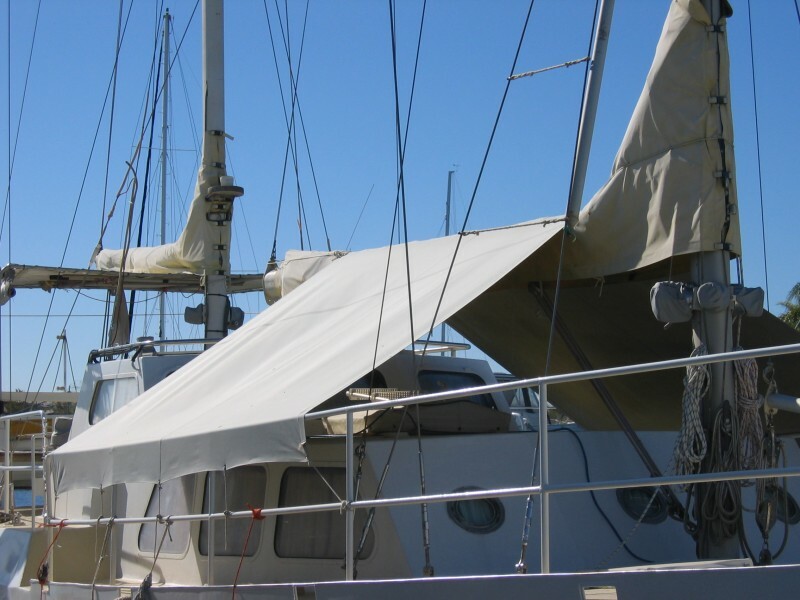 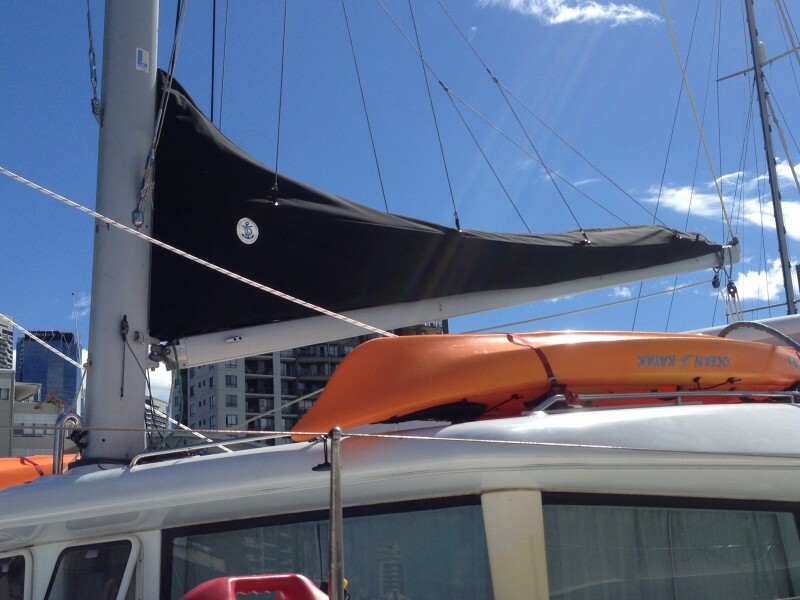 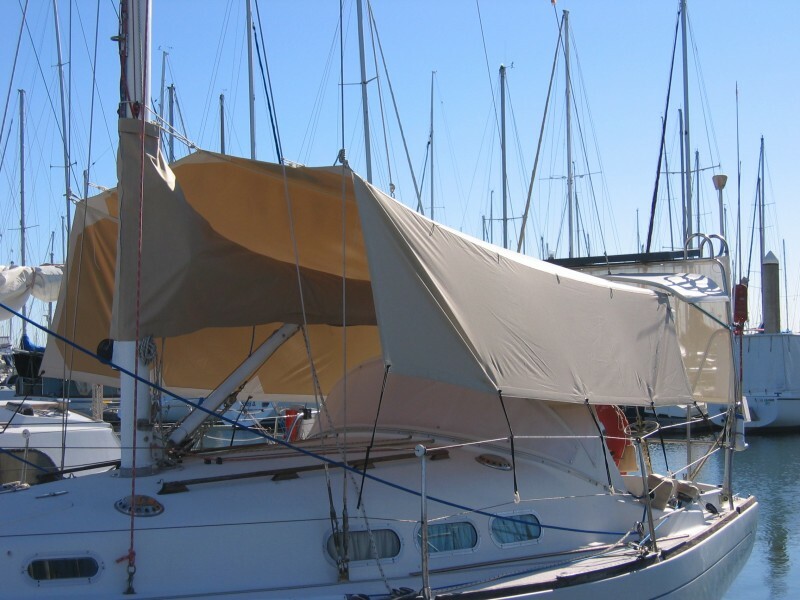 Protect your sail with either a standard or lazy-jack sail cover. 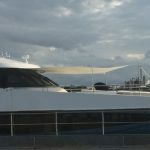 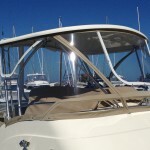 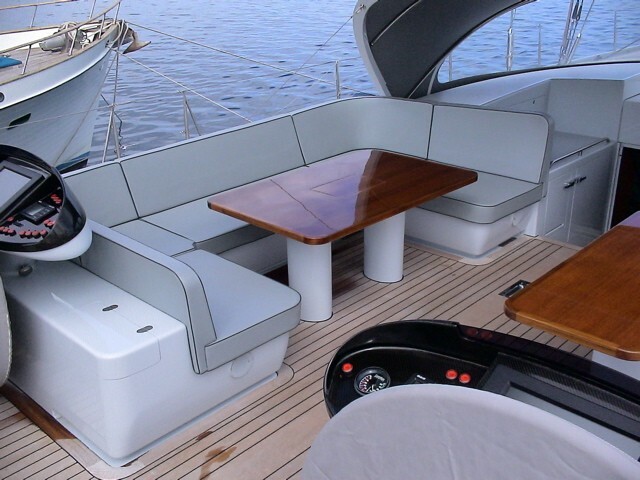 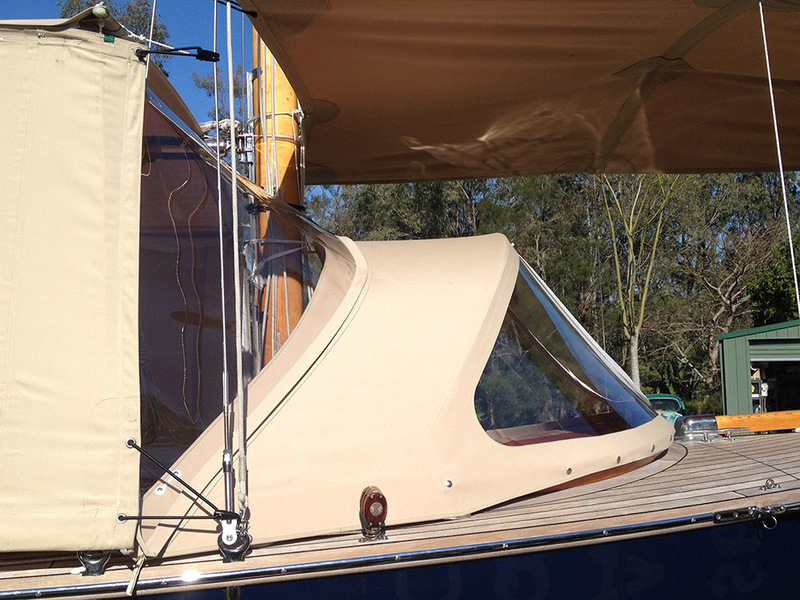 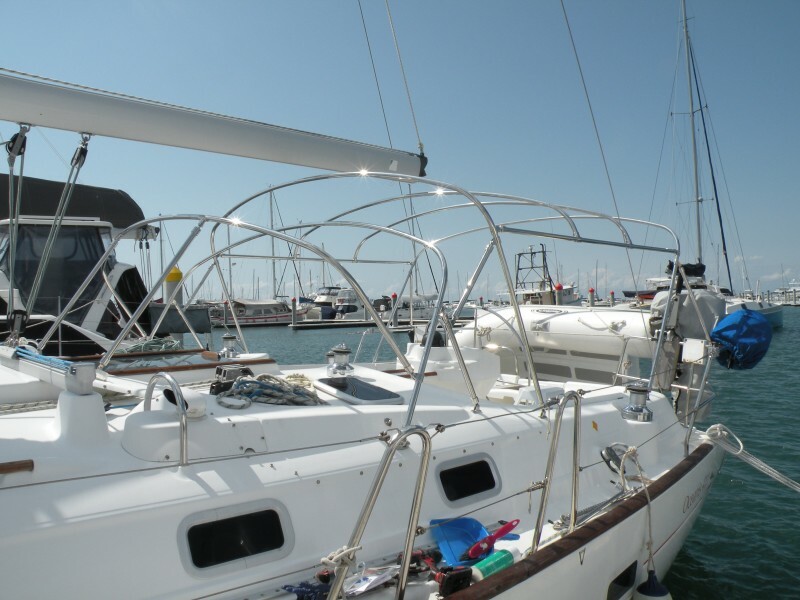 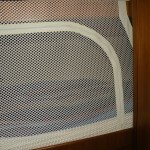 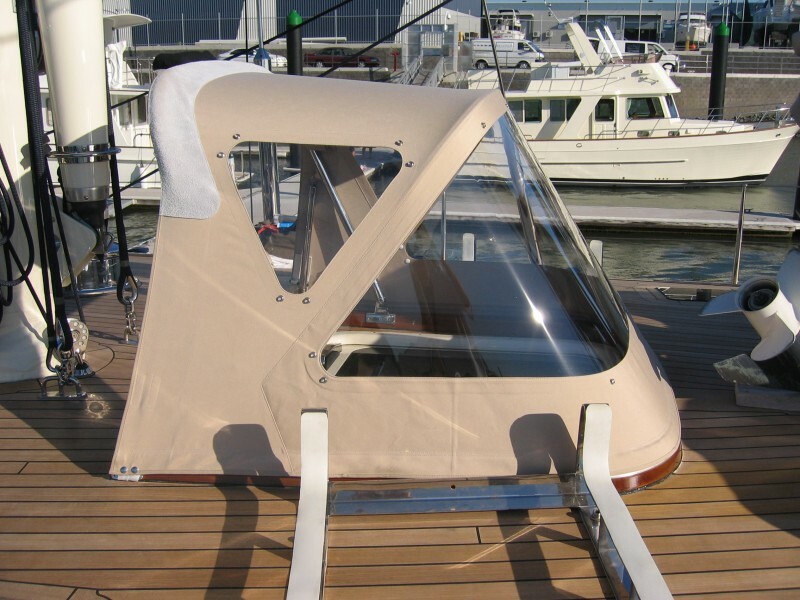 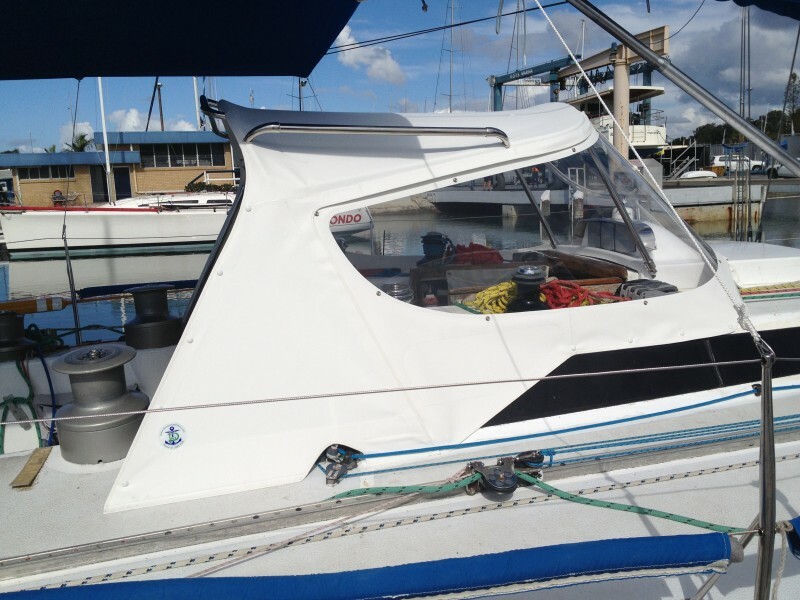 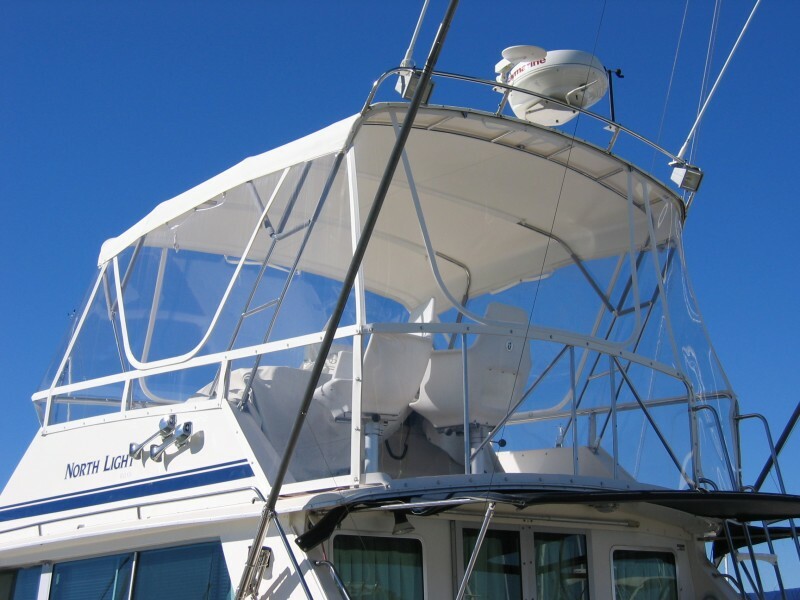 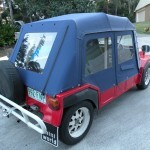 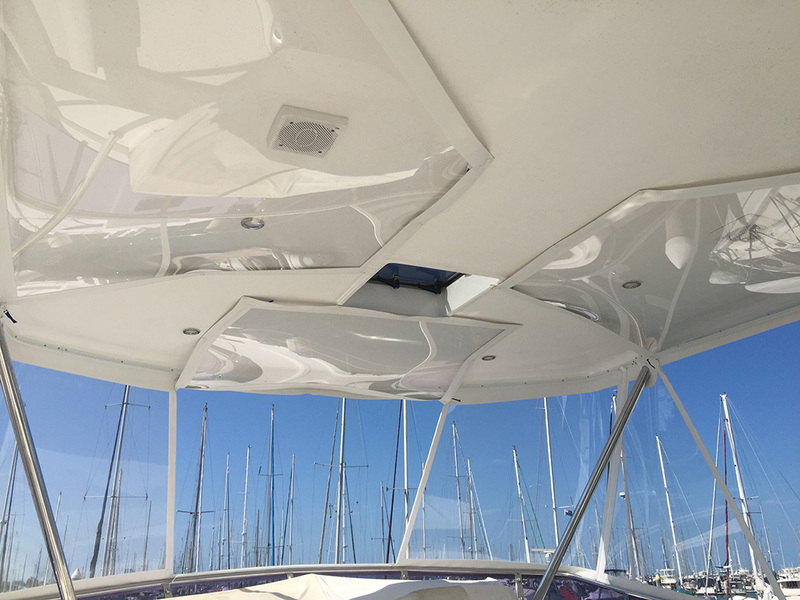 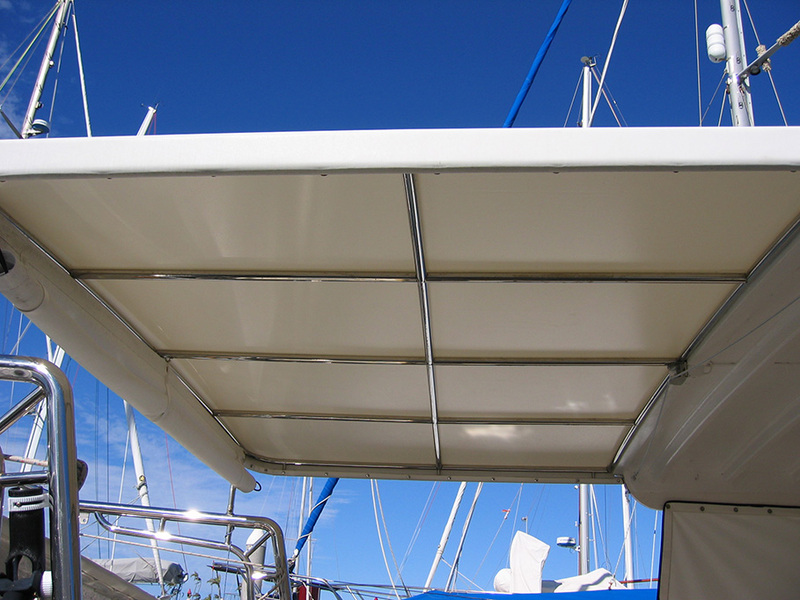 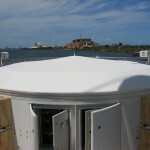 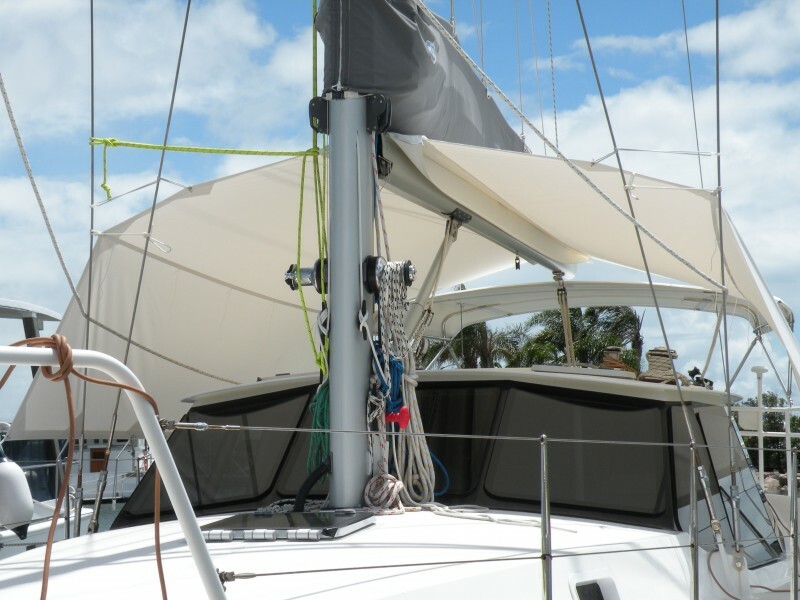 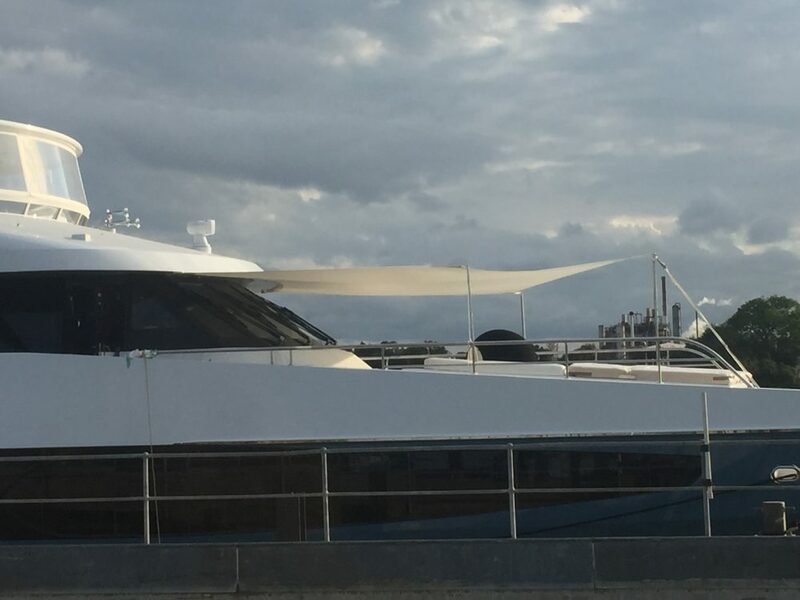 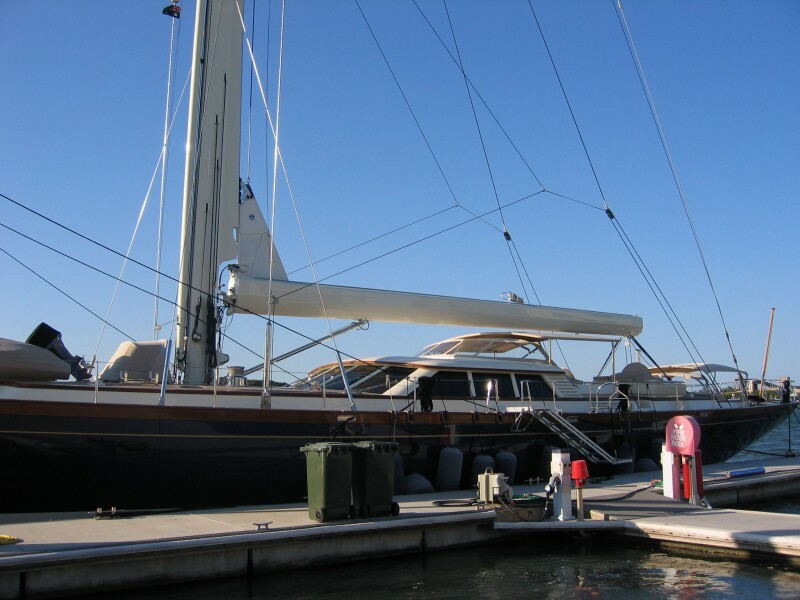 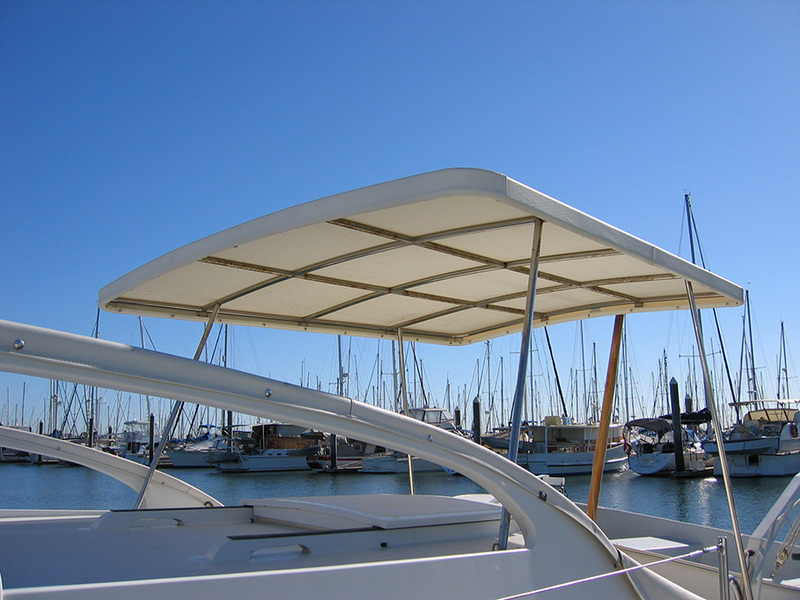 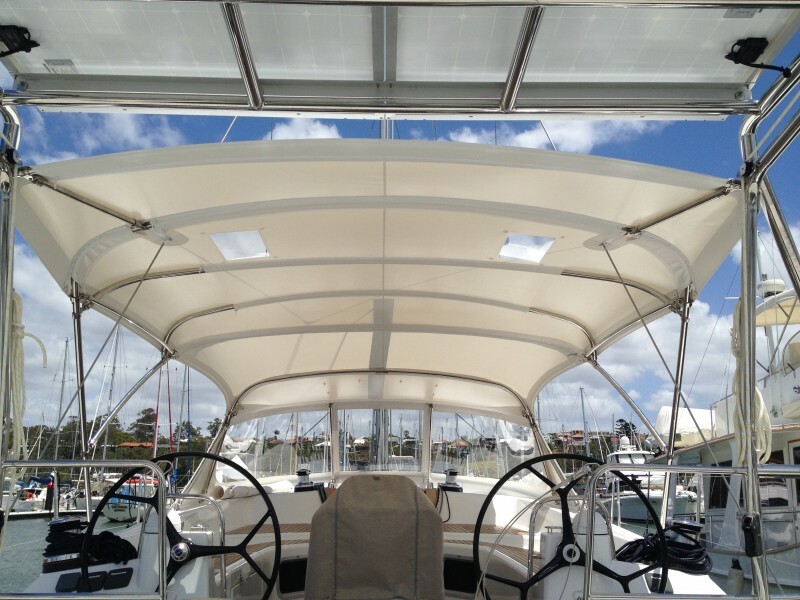 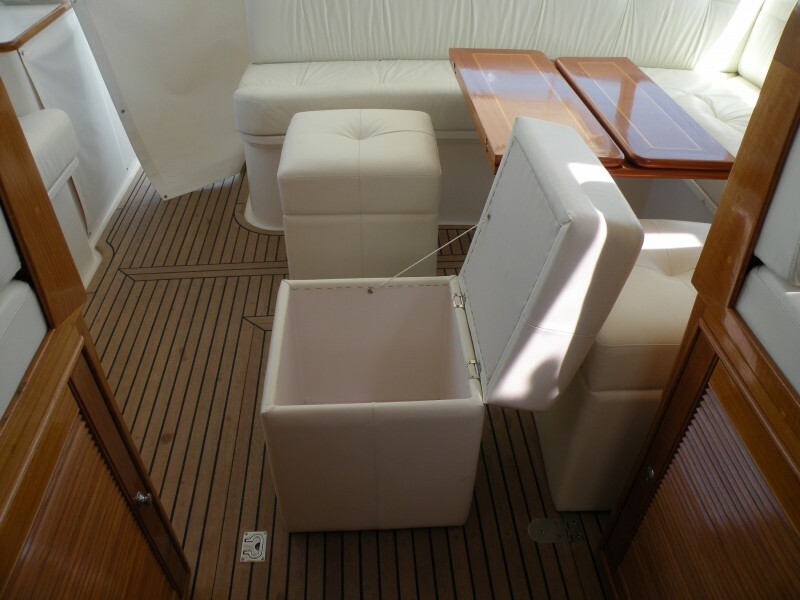 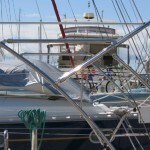 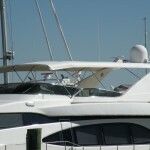 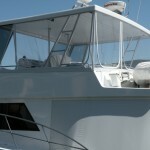 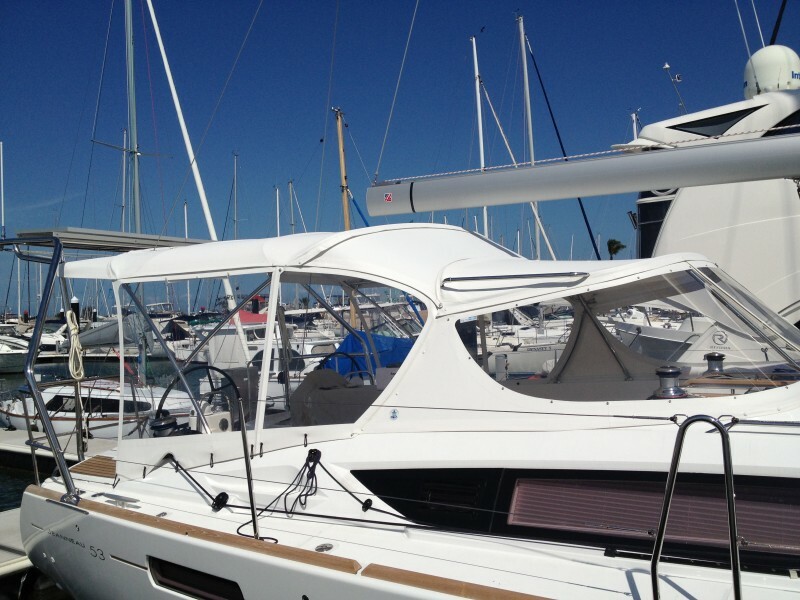 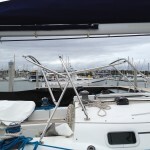 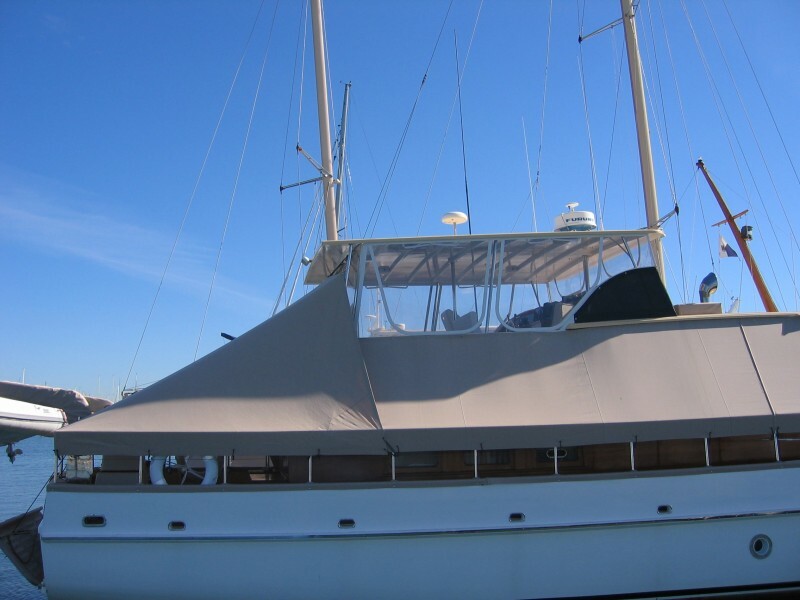 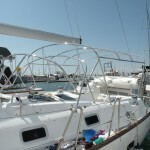 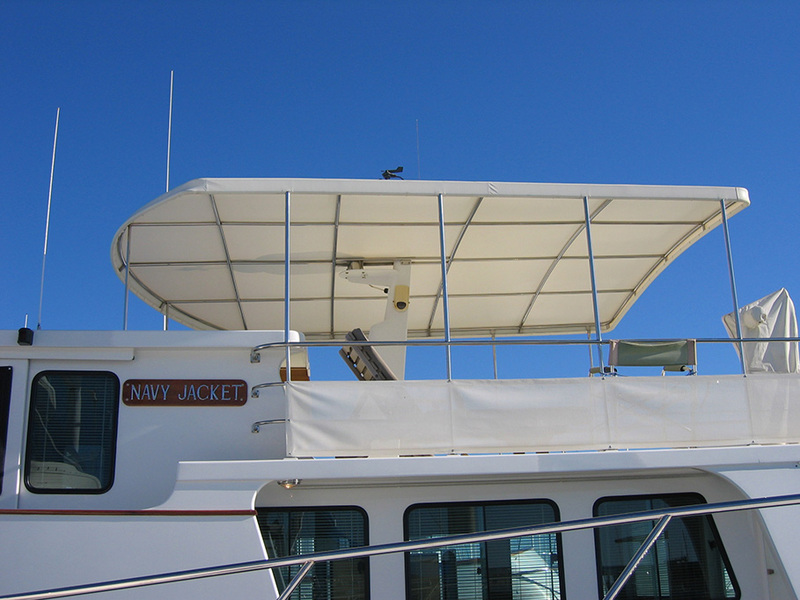 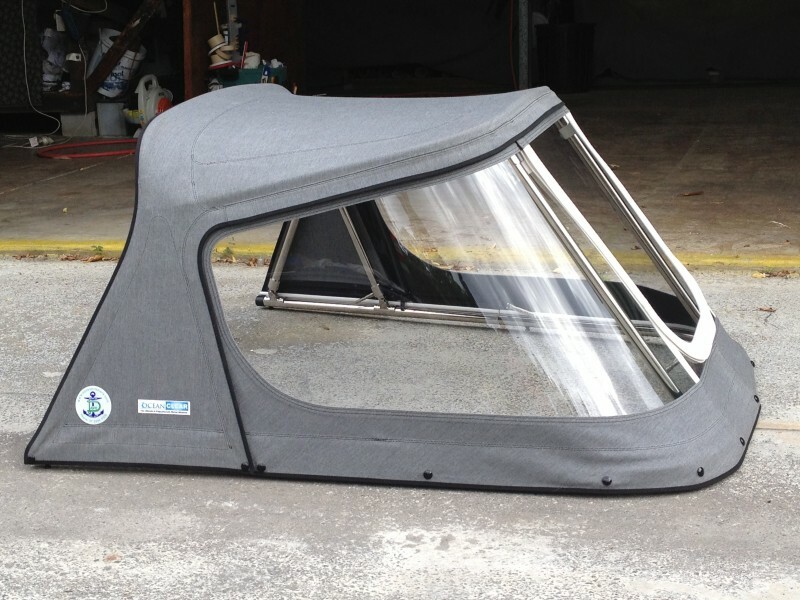 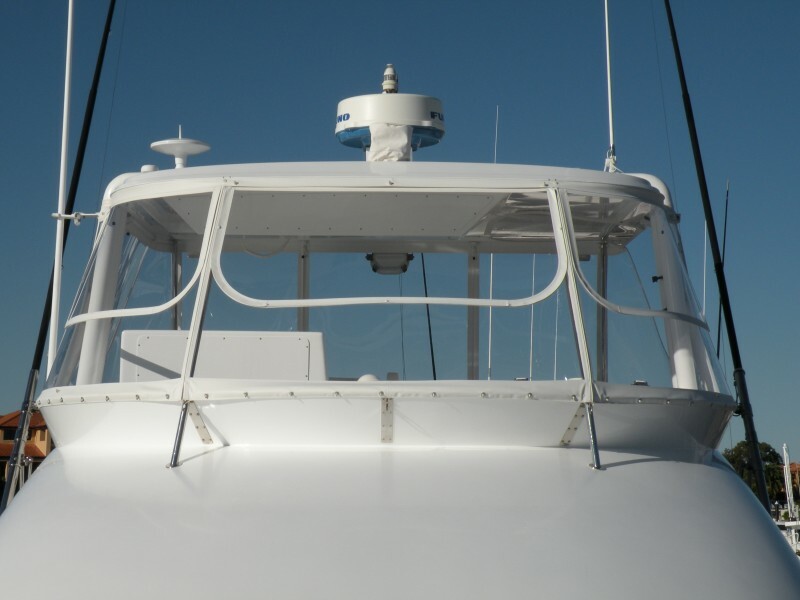 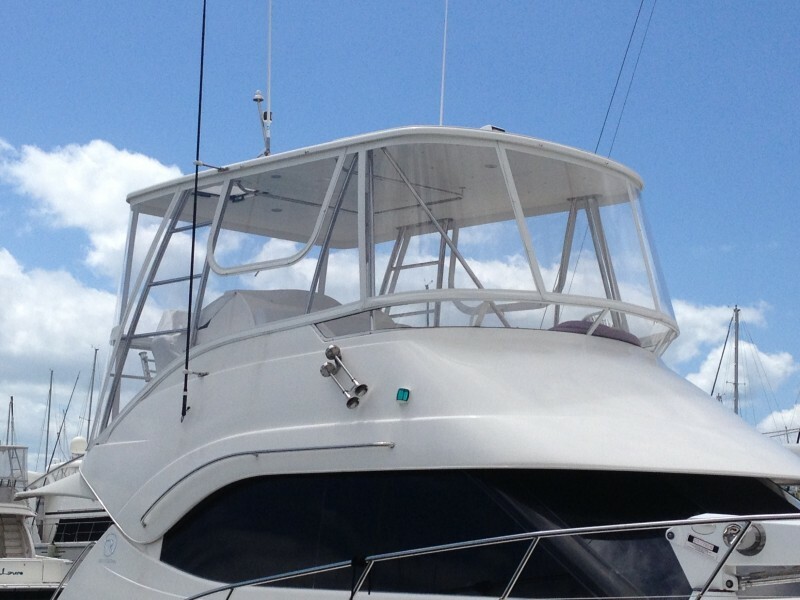 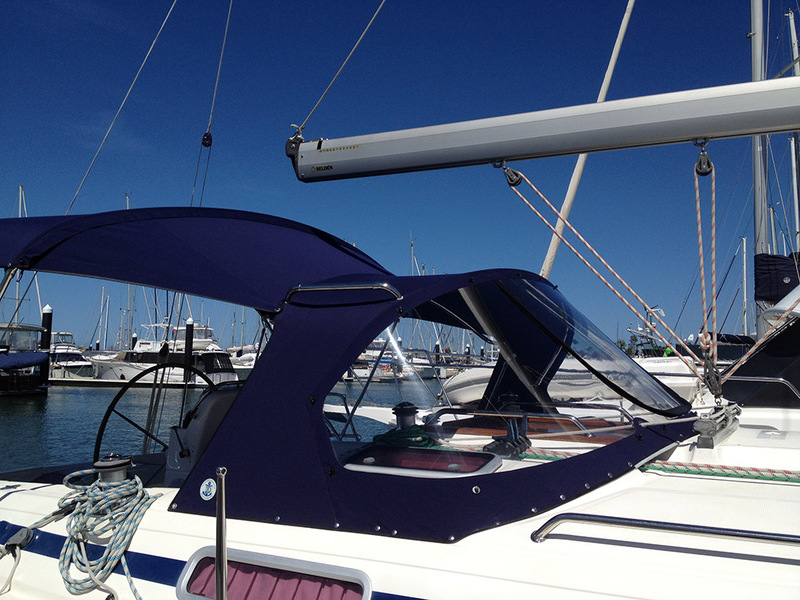 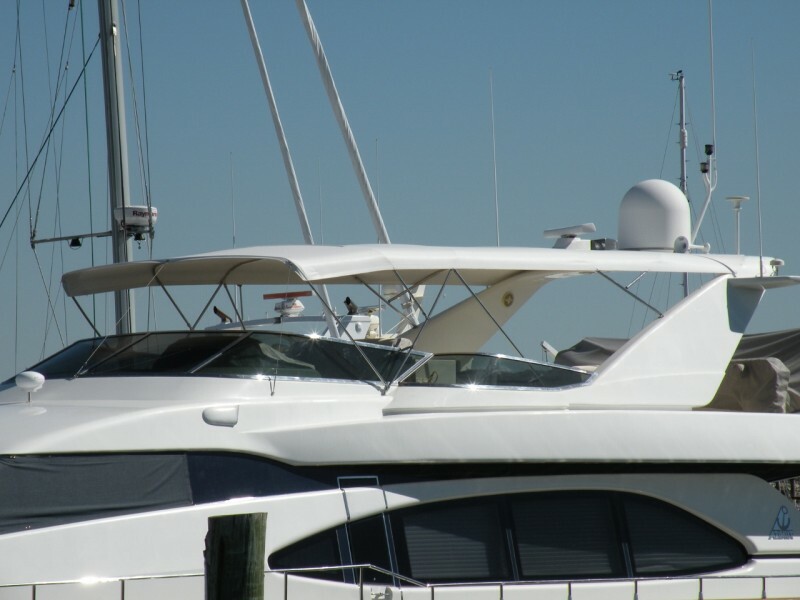 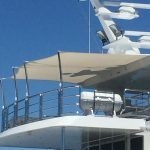 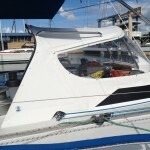 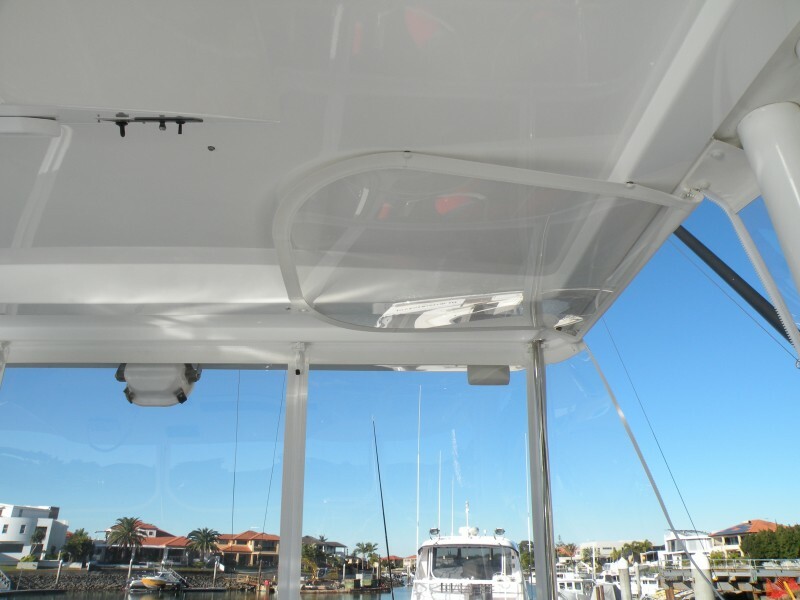 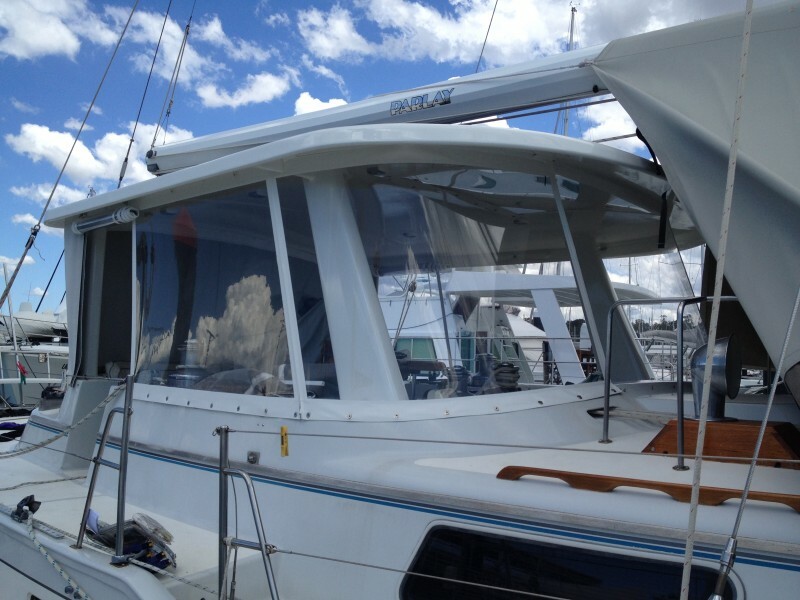 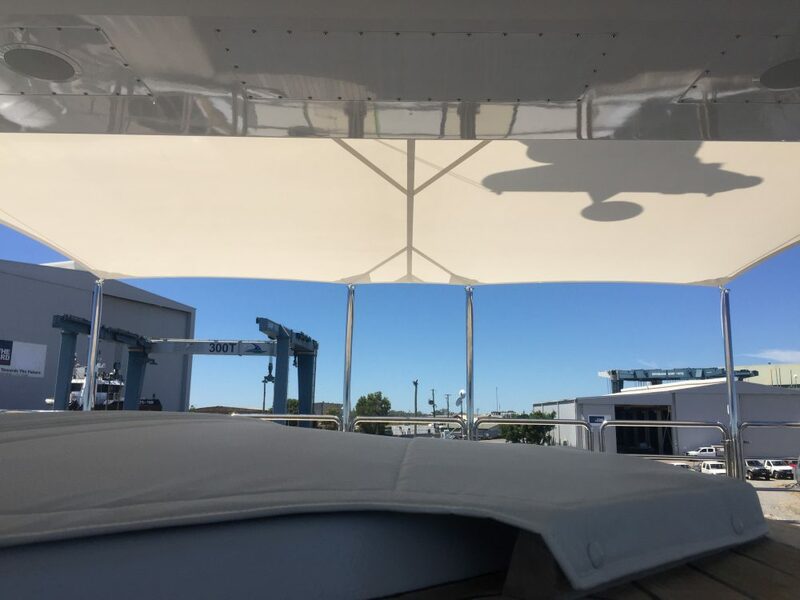 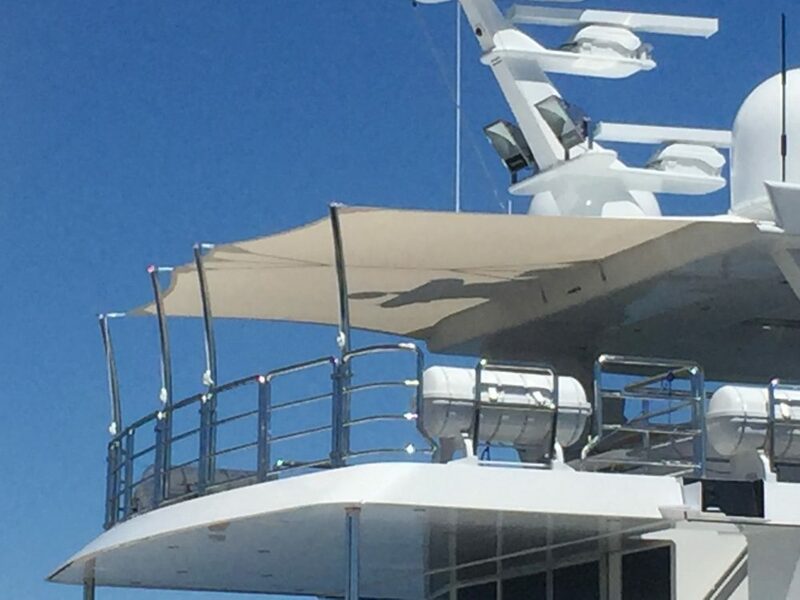 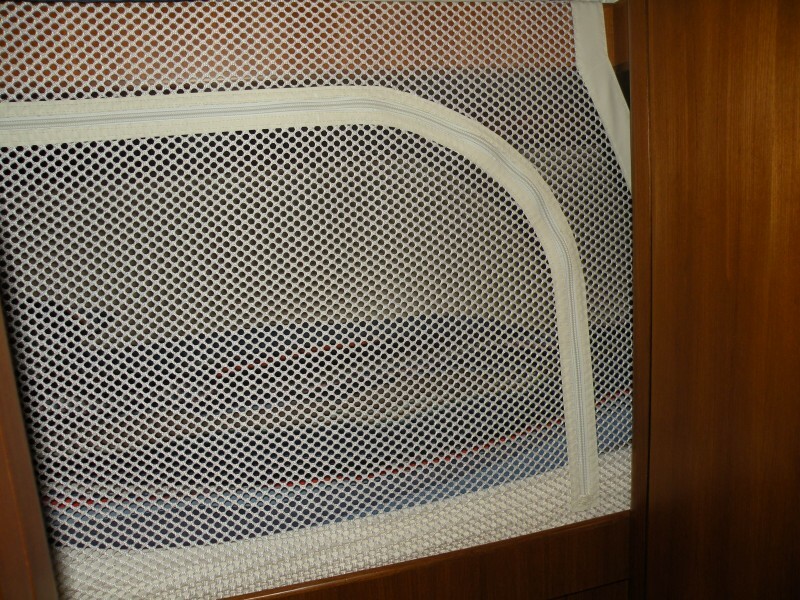 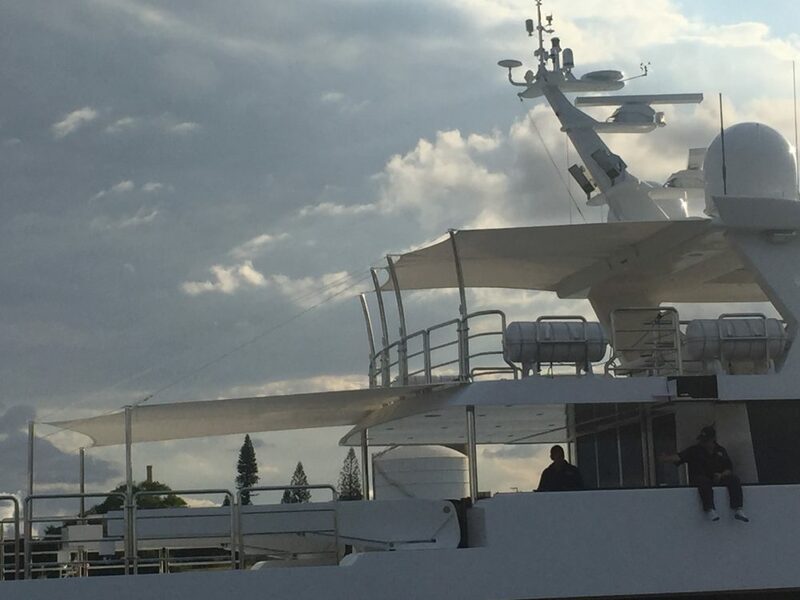 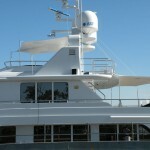 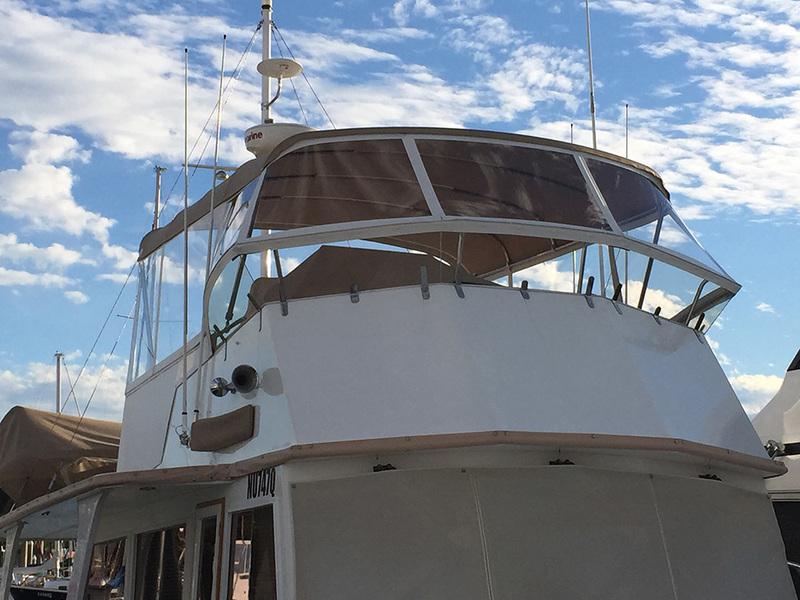 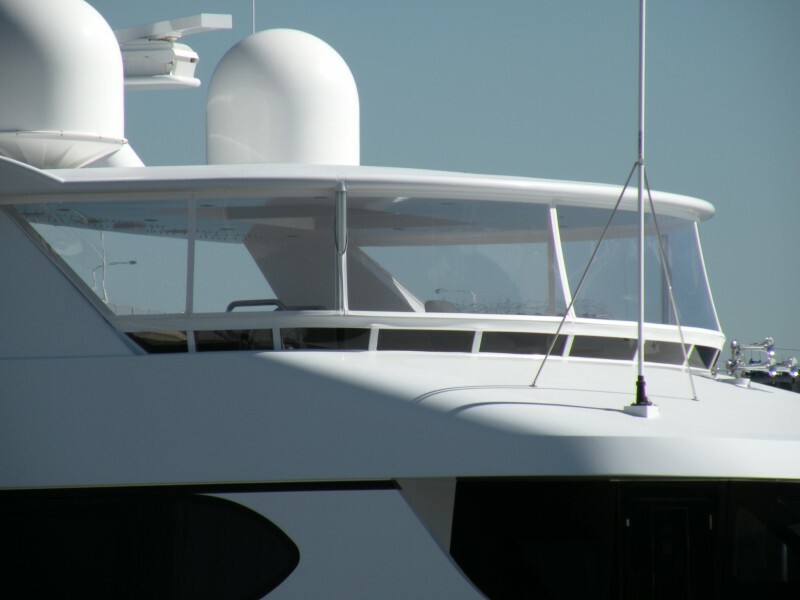 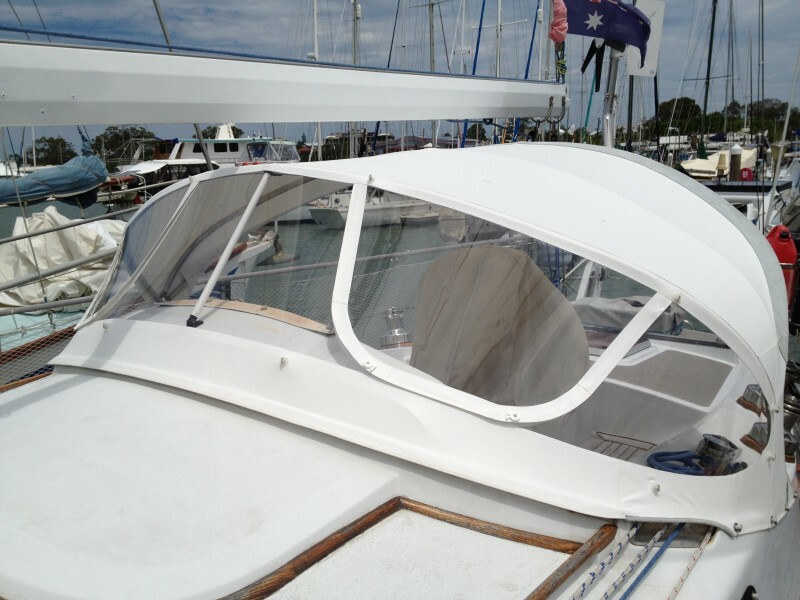 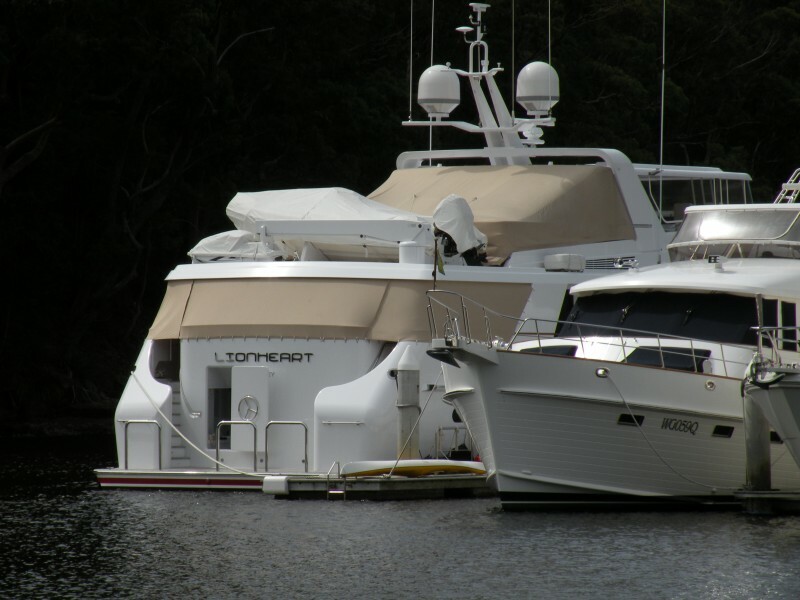 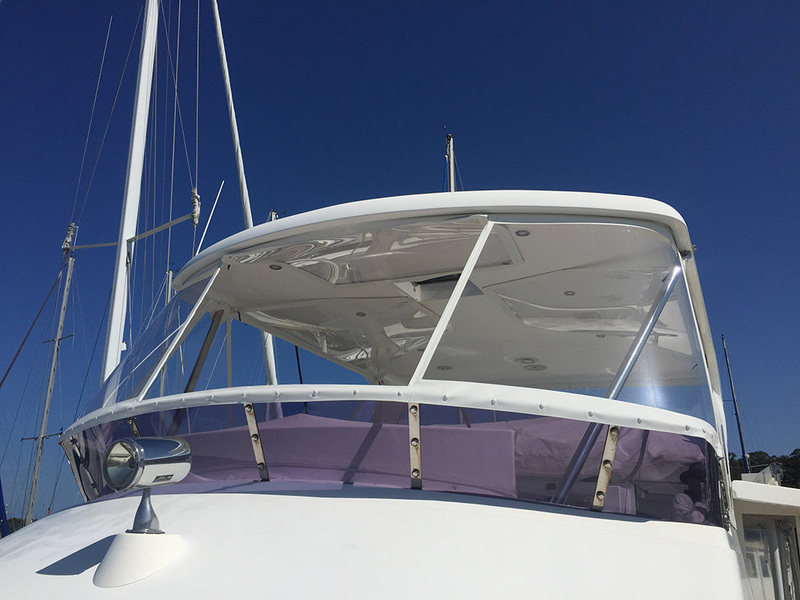 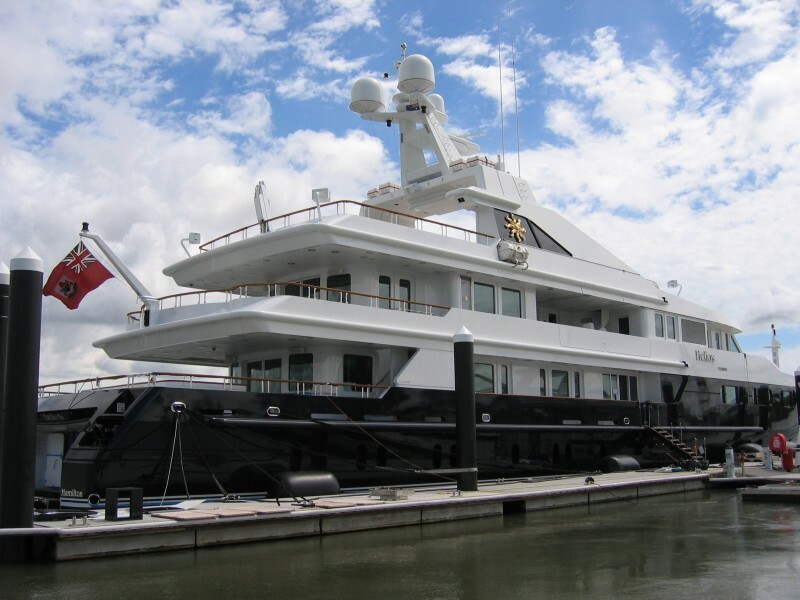 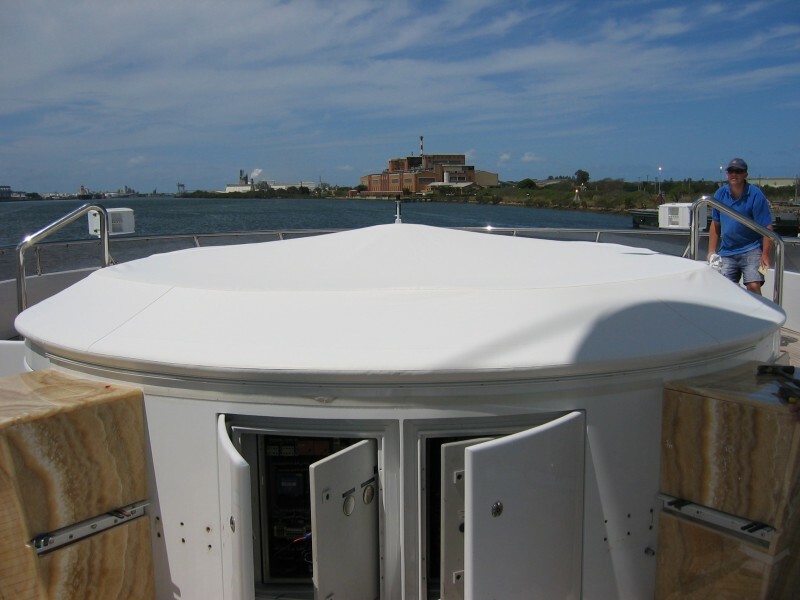 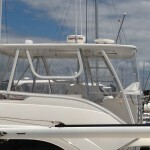 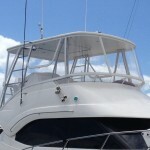 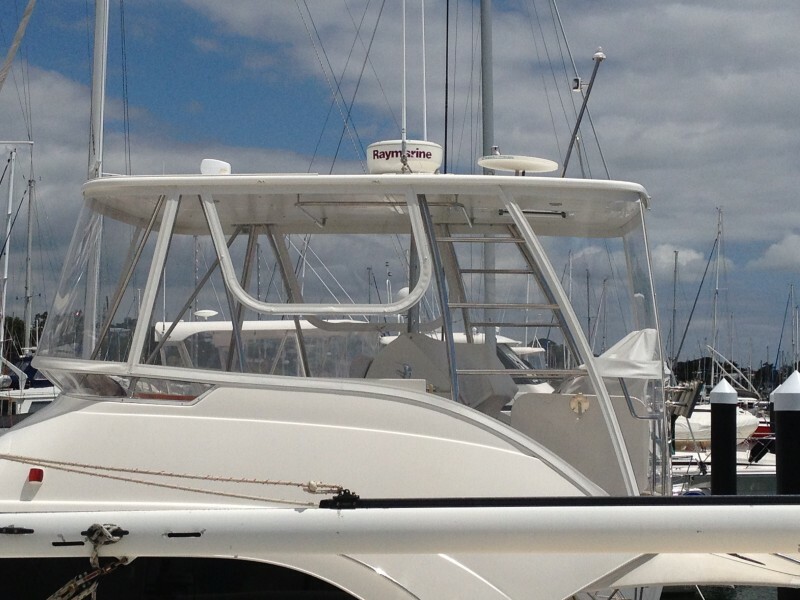 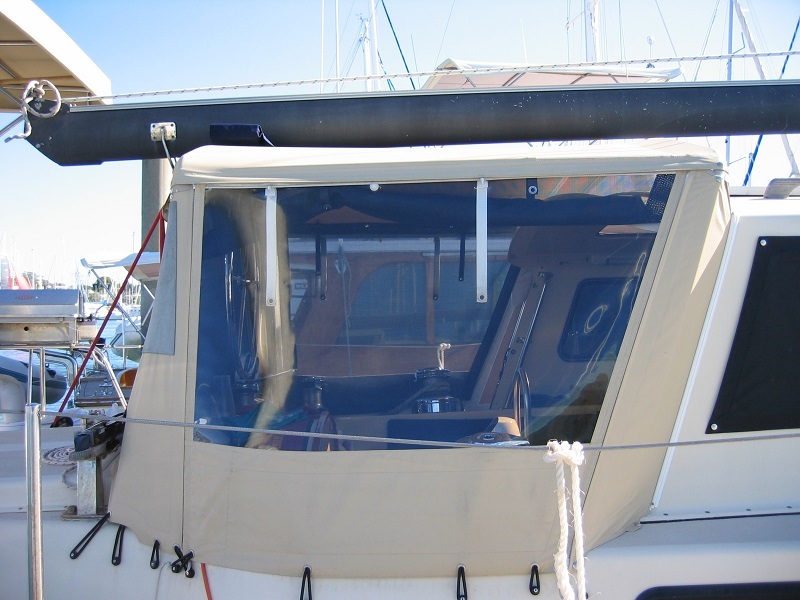 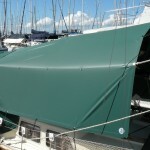 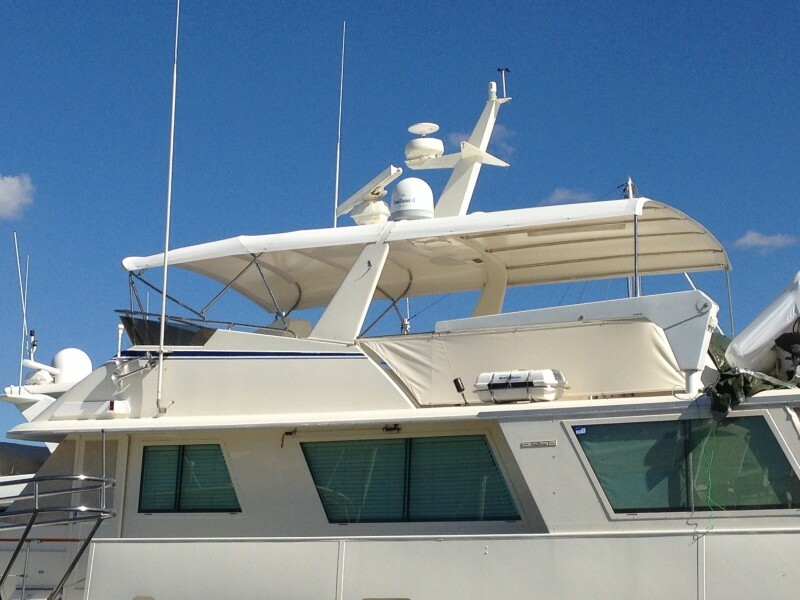 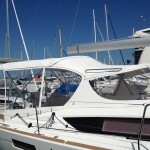 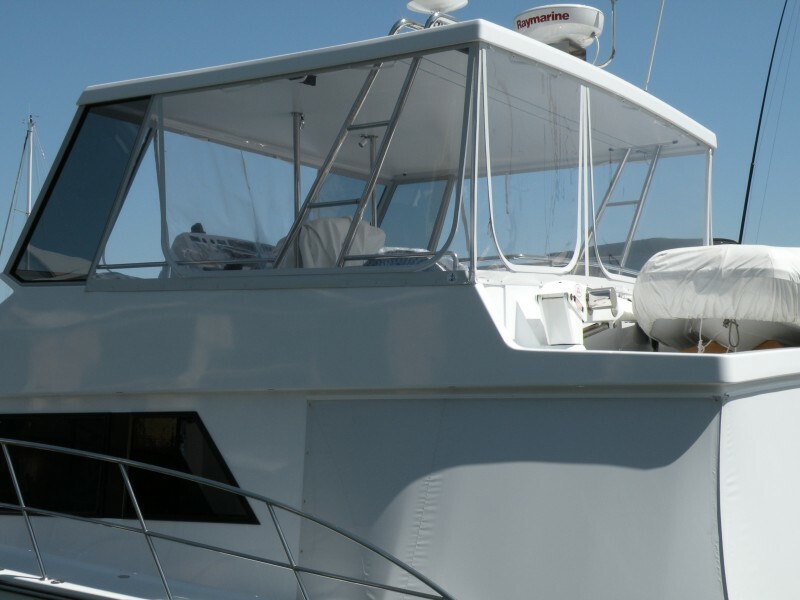 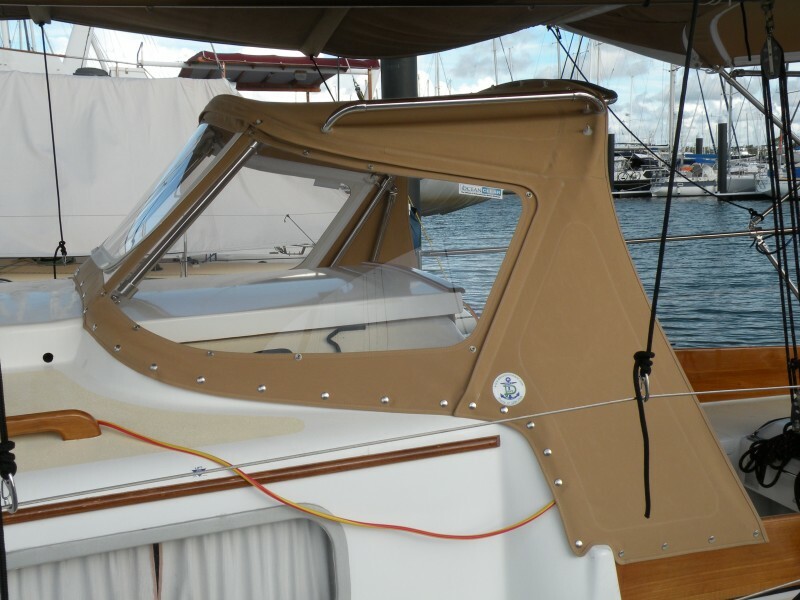 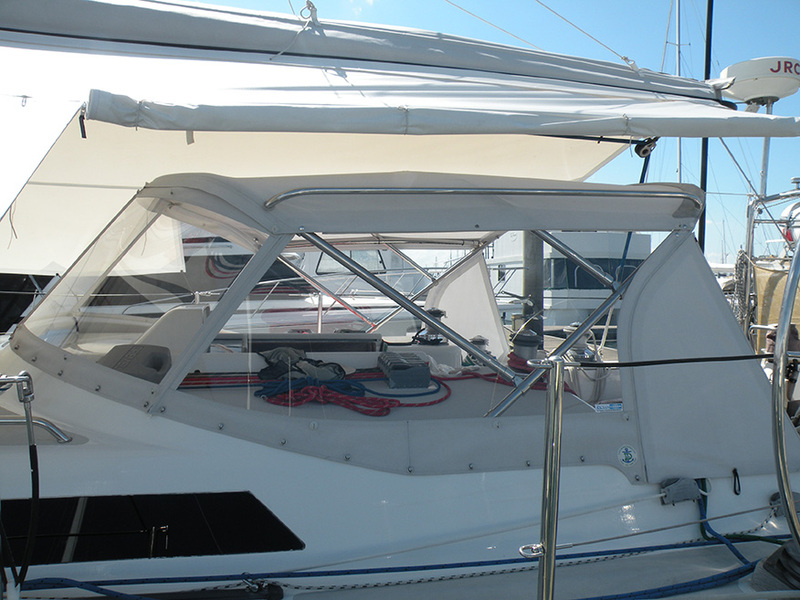 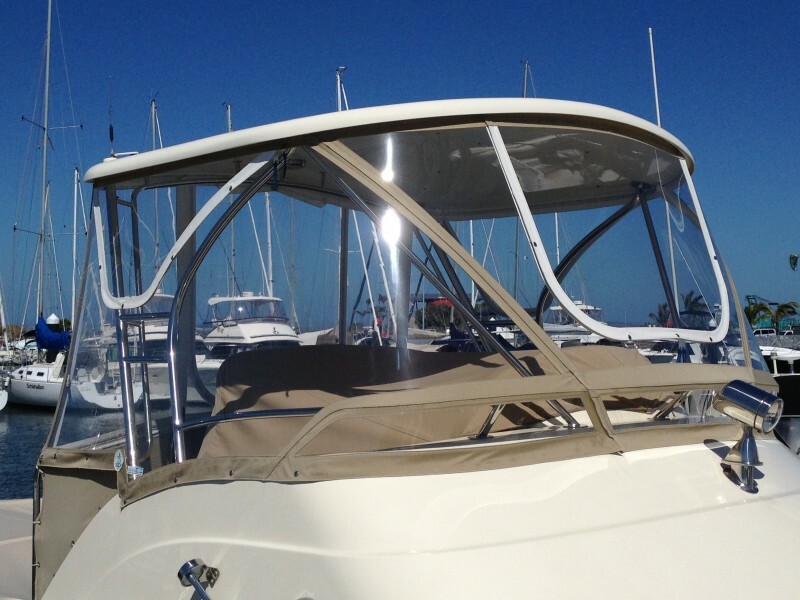 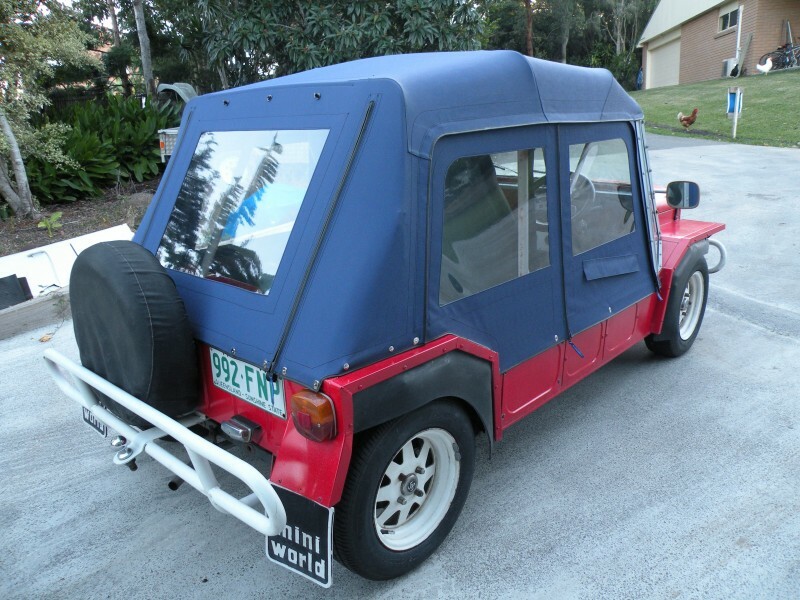 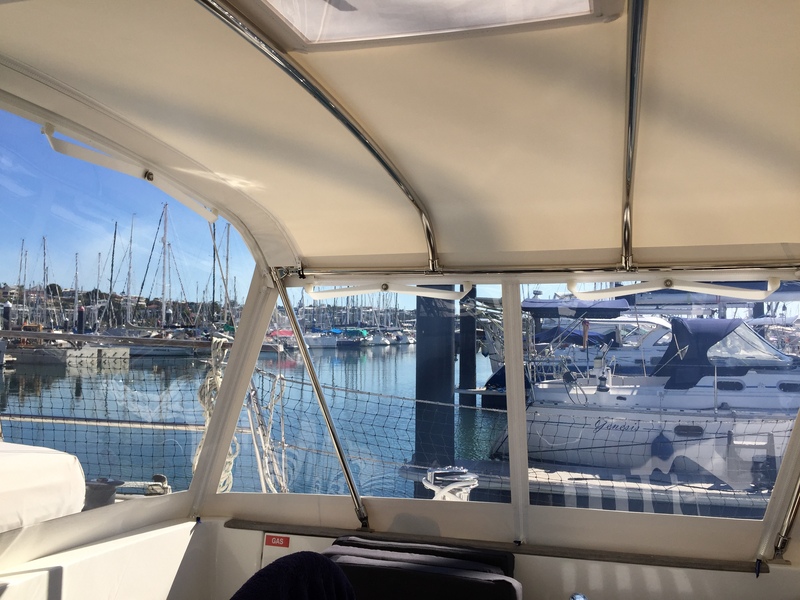 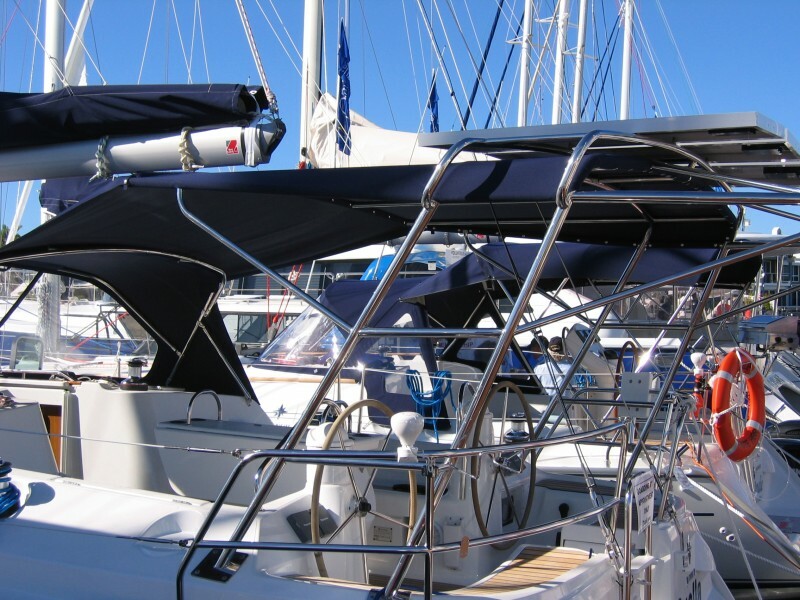 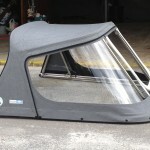 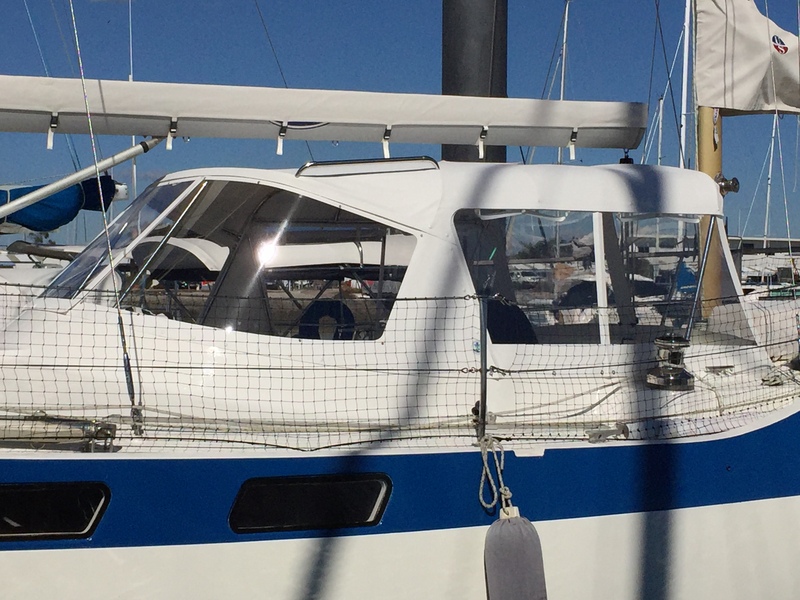 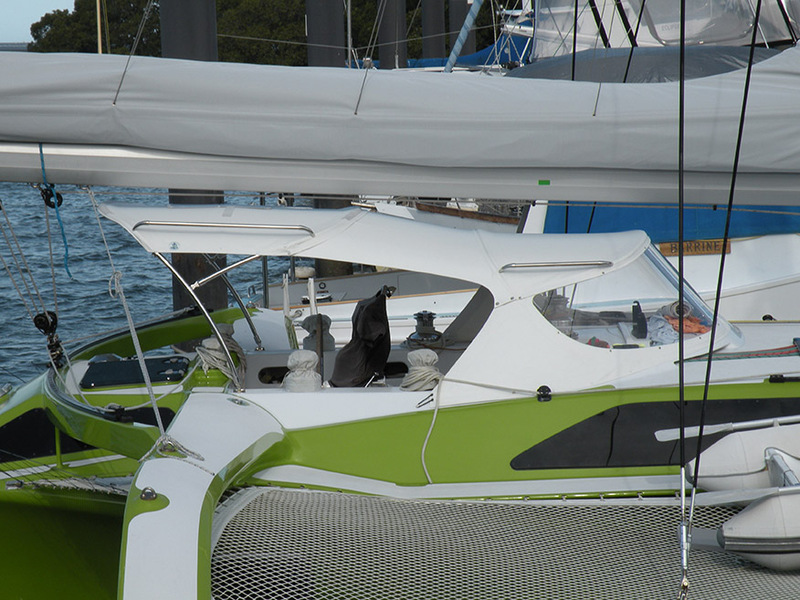 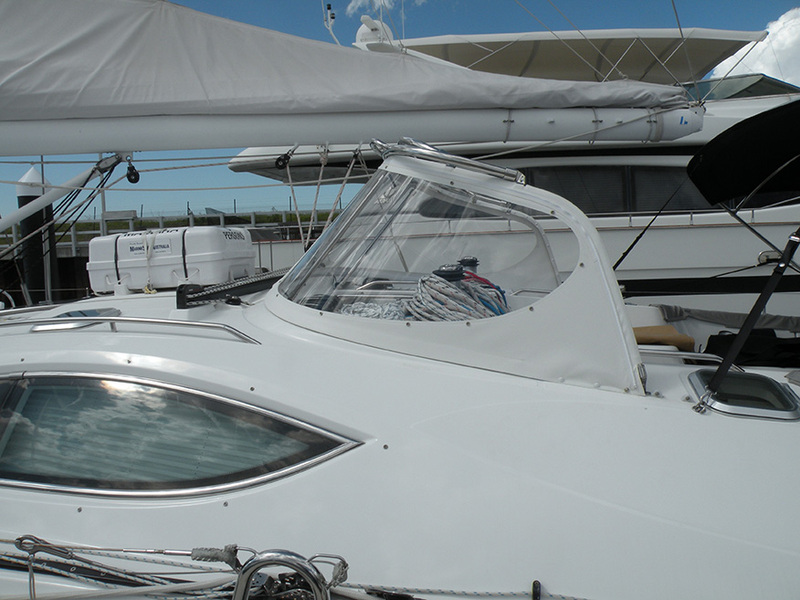 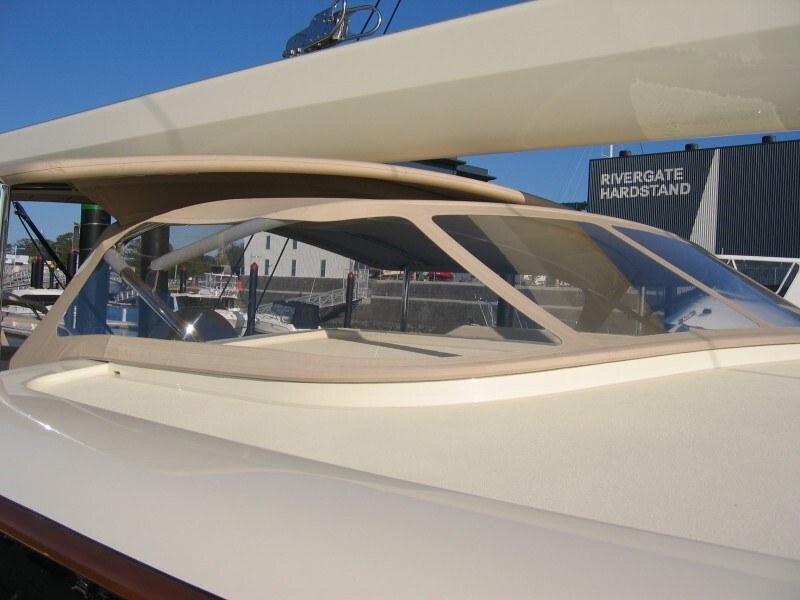 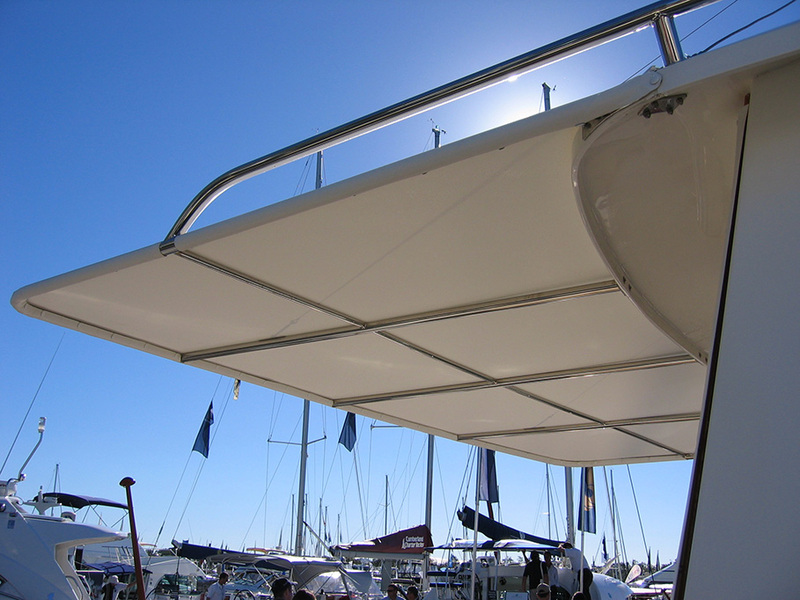 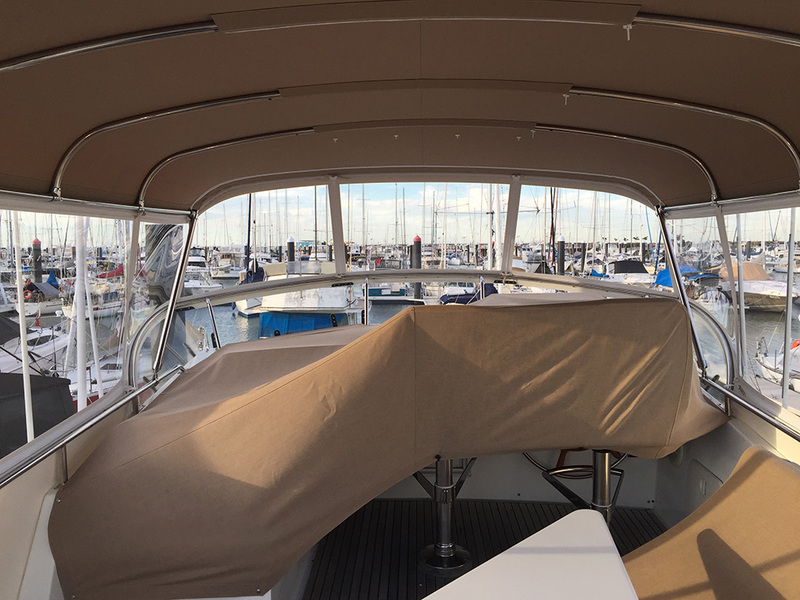 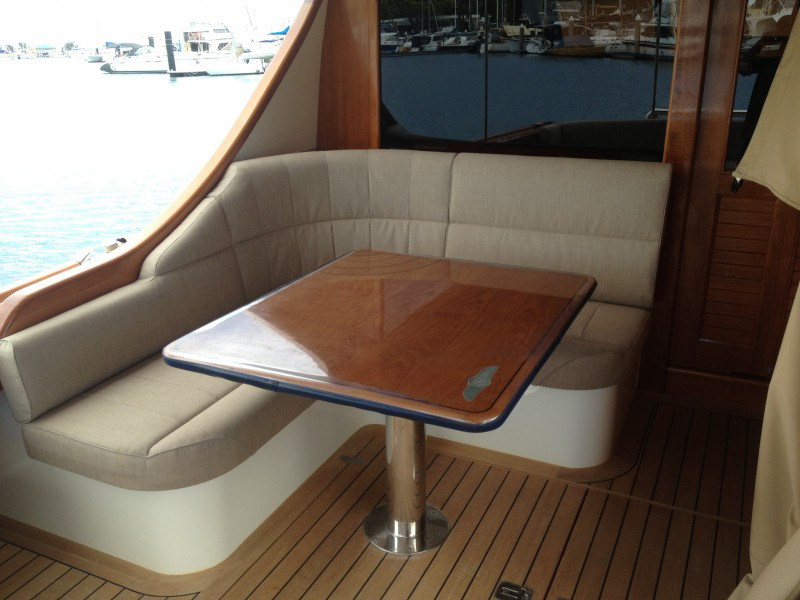 Enclosures In Stamoid, Sunbrella, or mesh on Yachts & Power Boats. 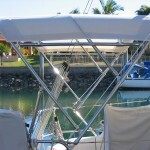 Custom stainless steel frames for biminis, dodgers and canopies. 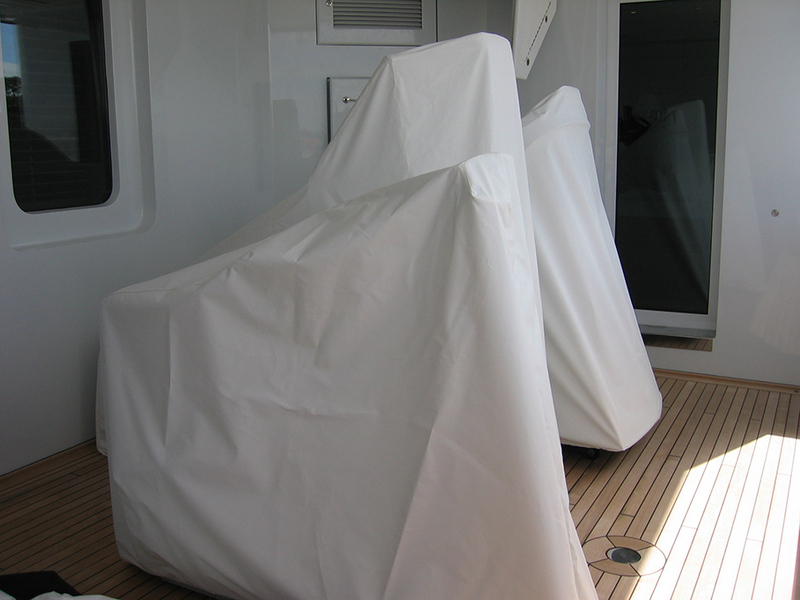 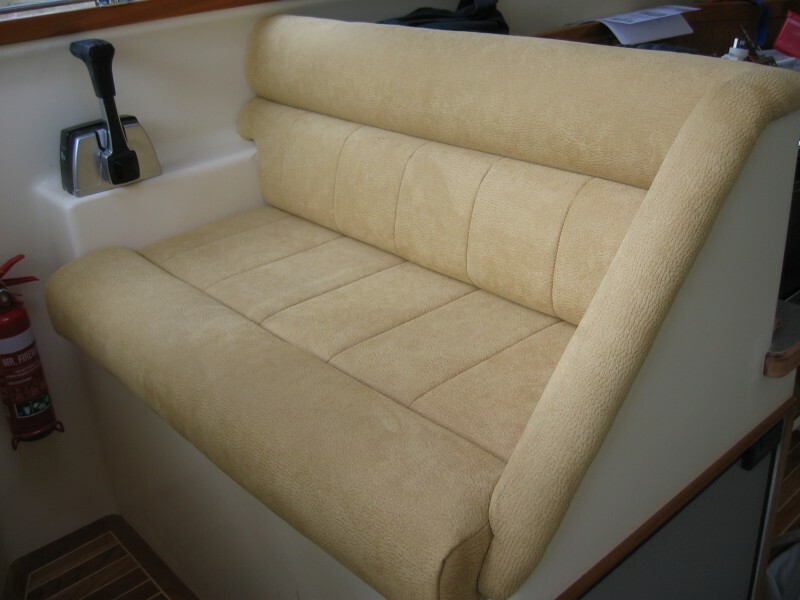 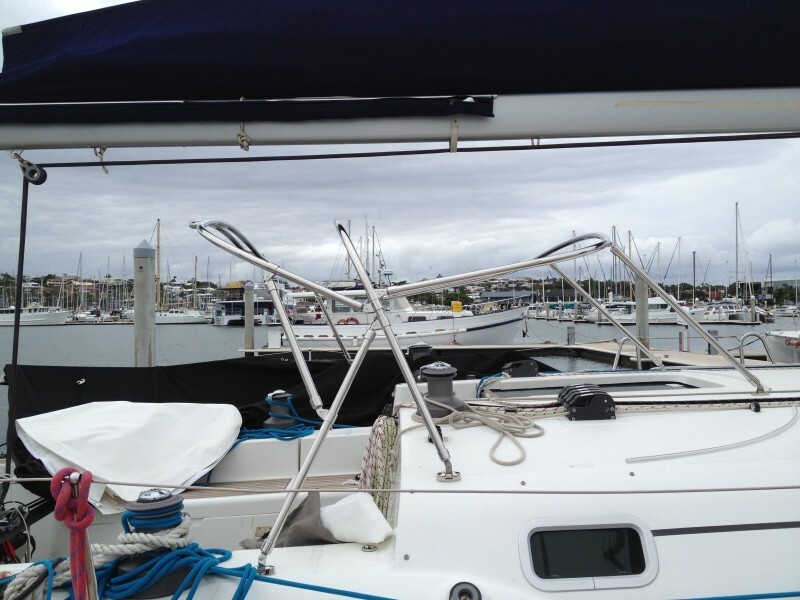 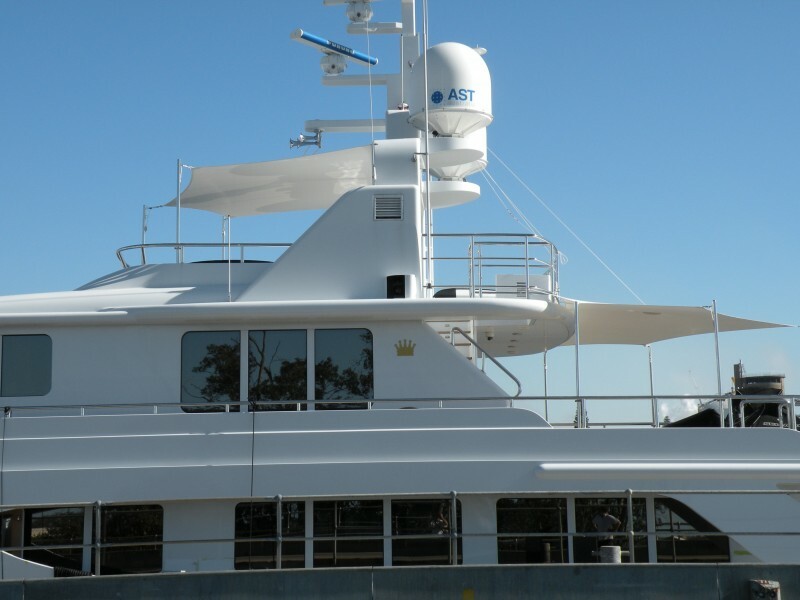 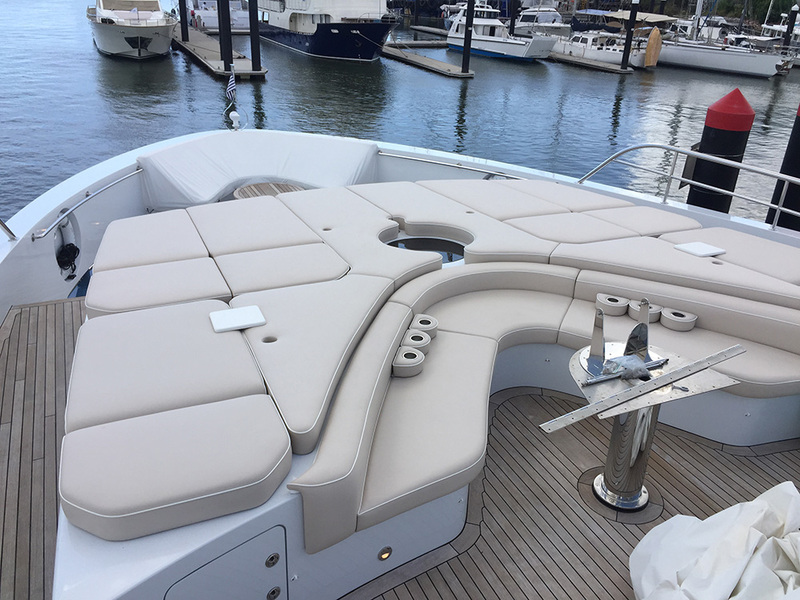 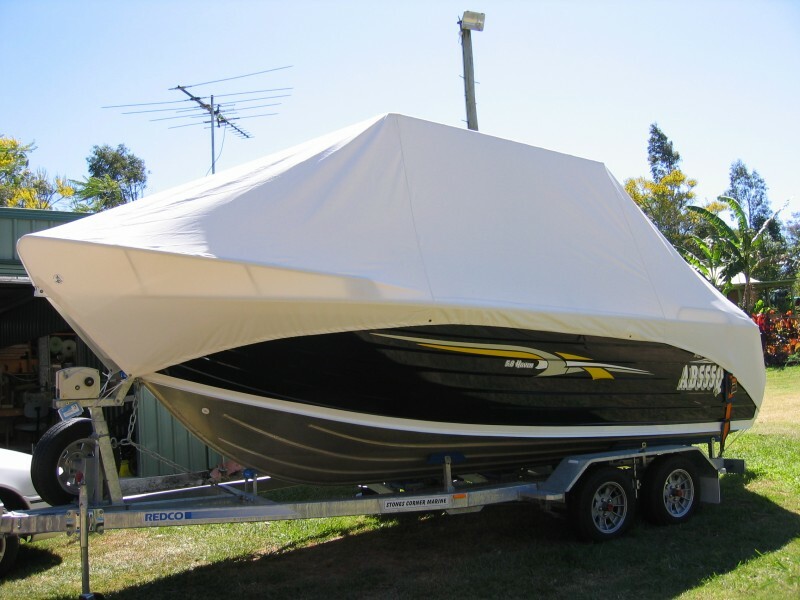 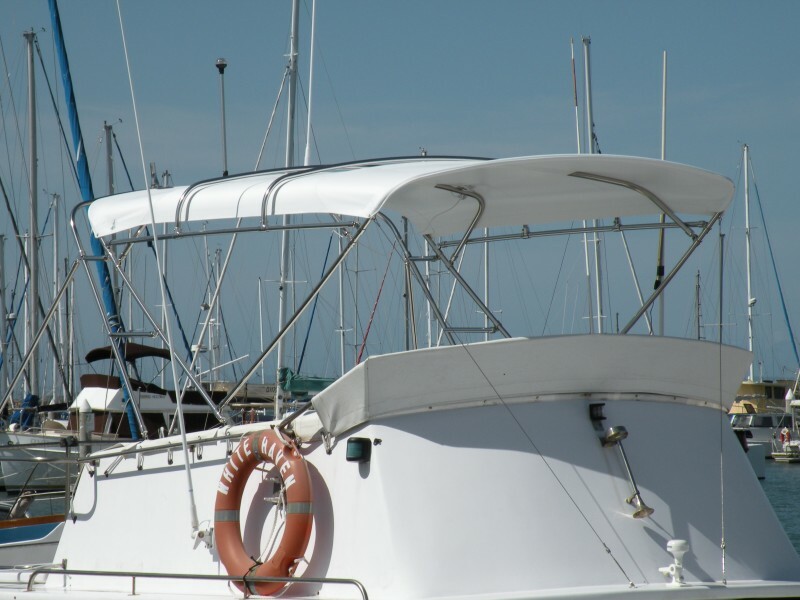 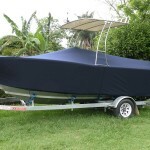 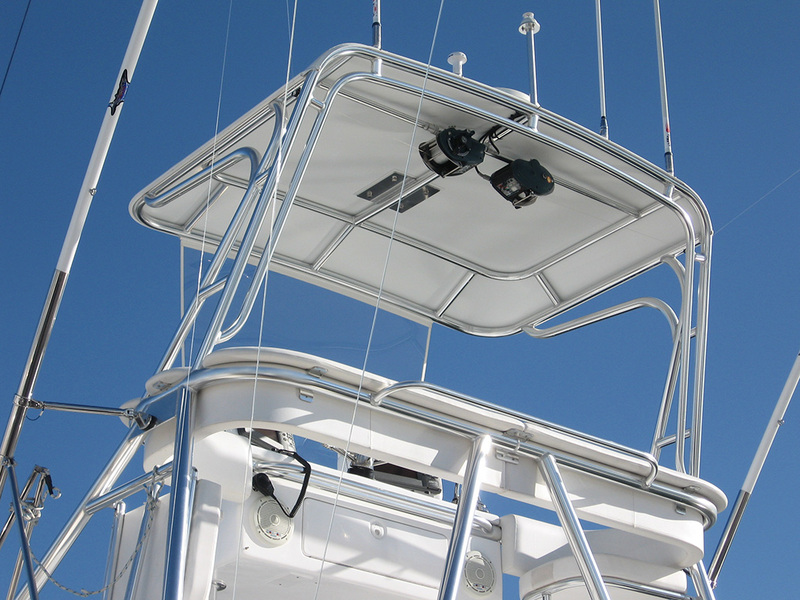 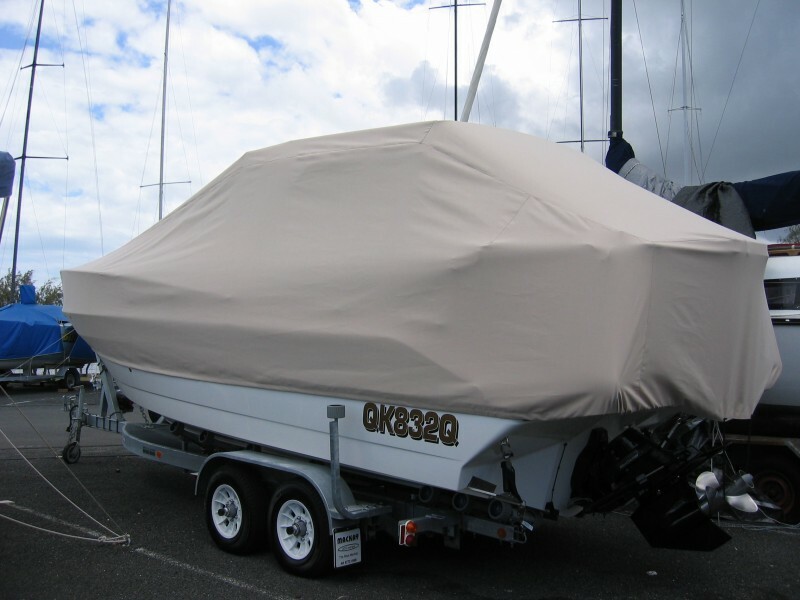 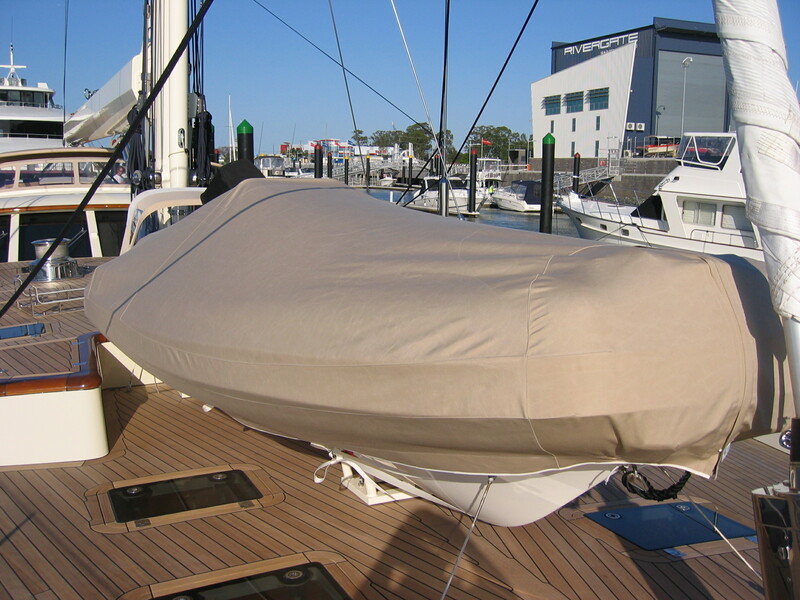 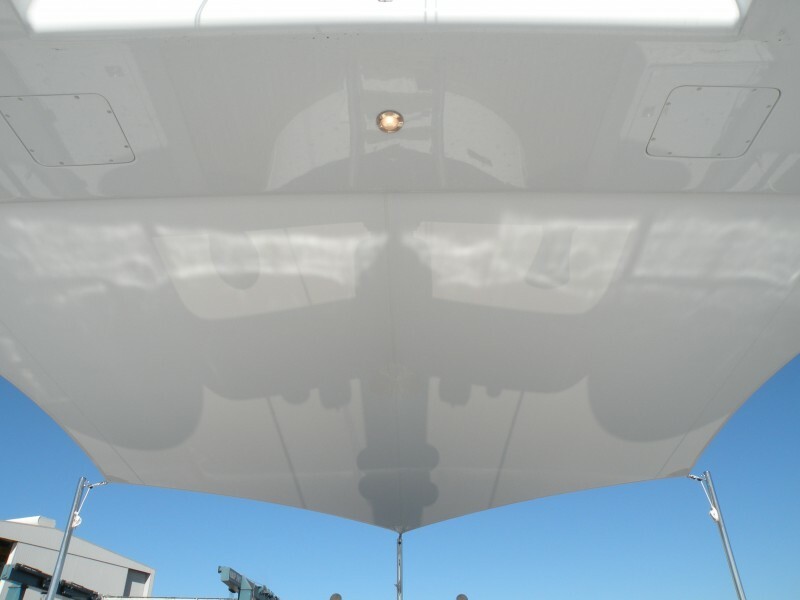 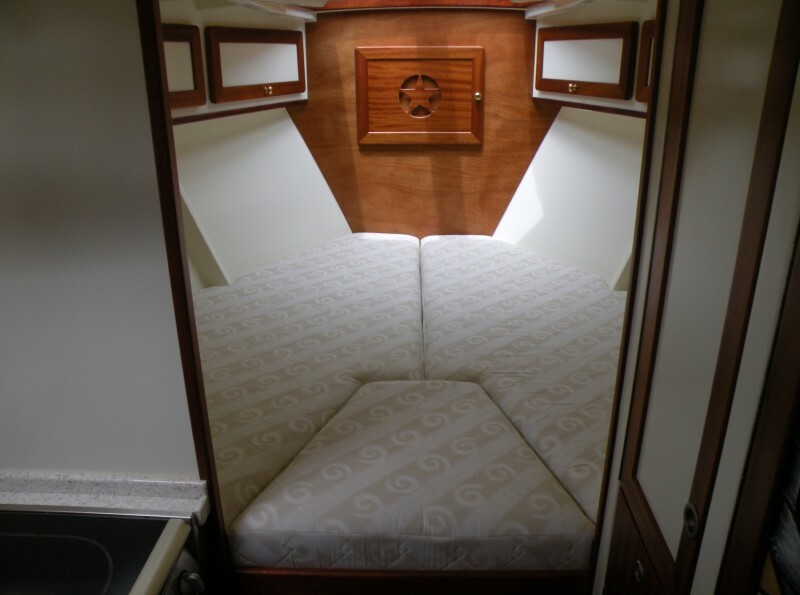 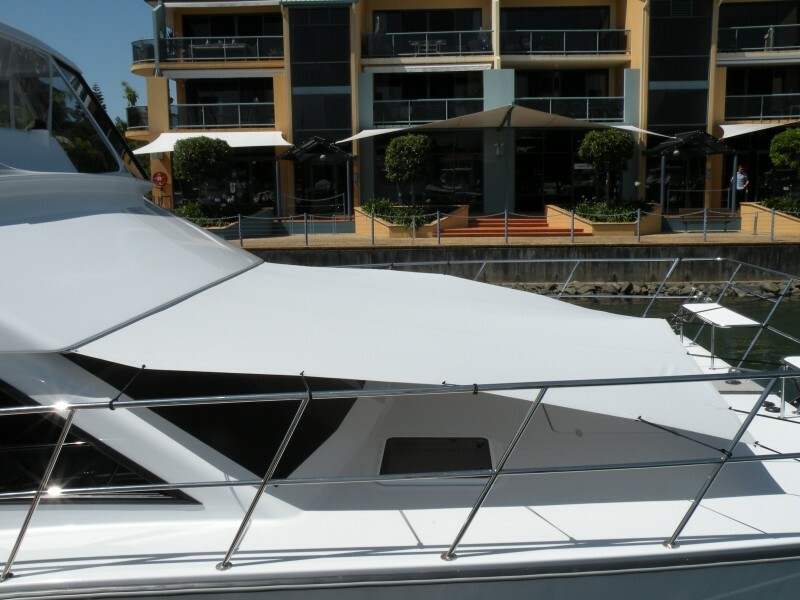 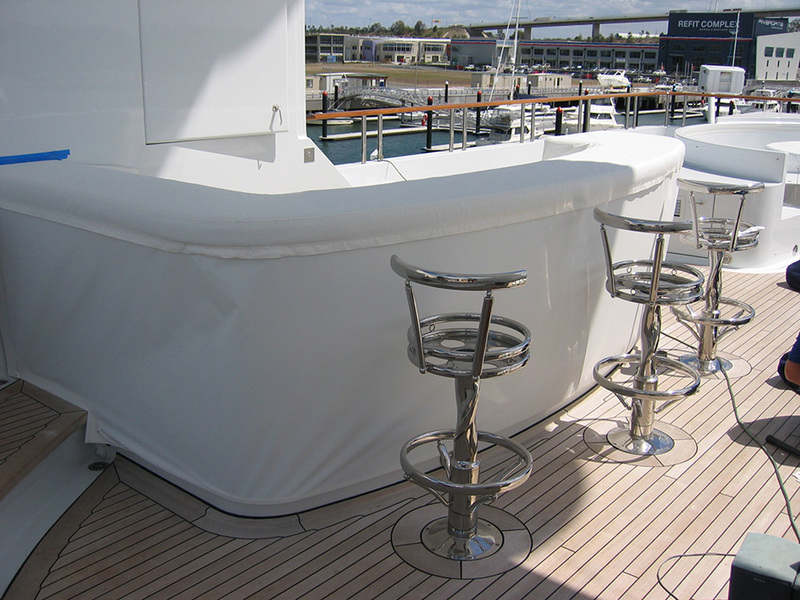 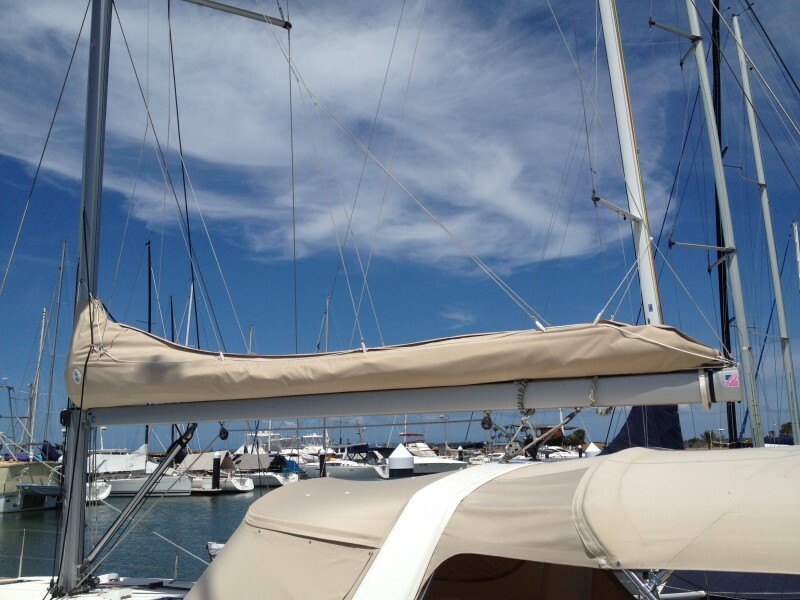 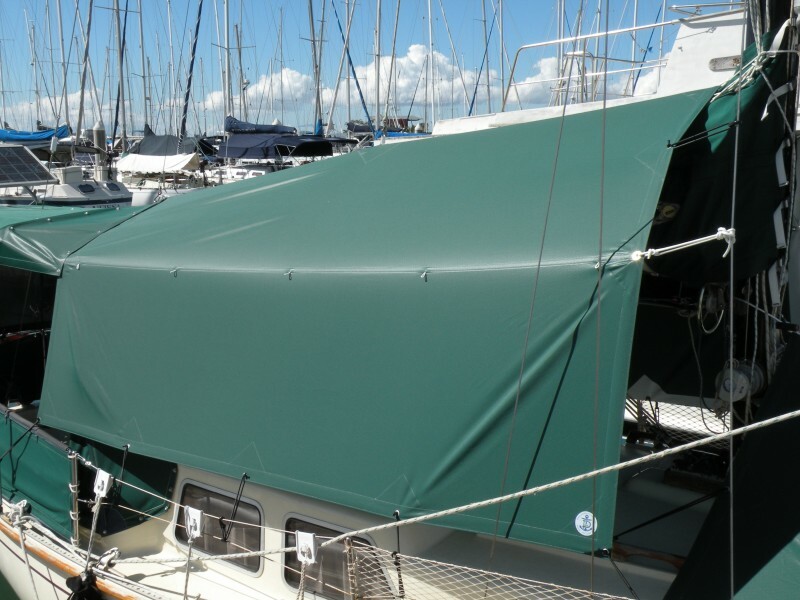 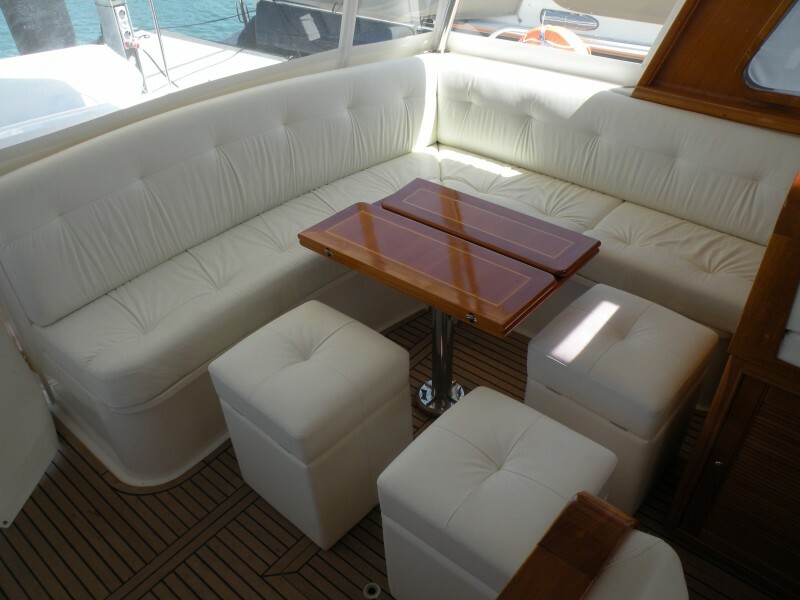 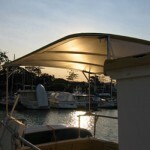 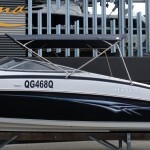 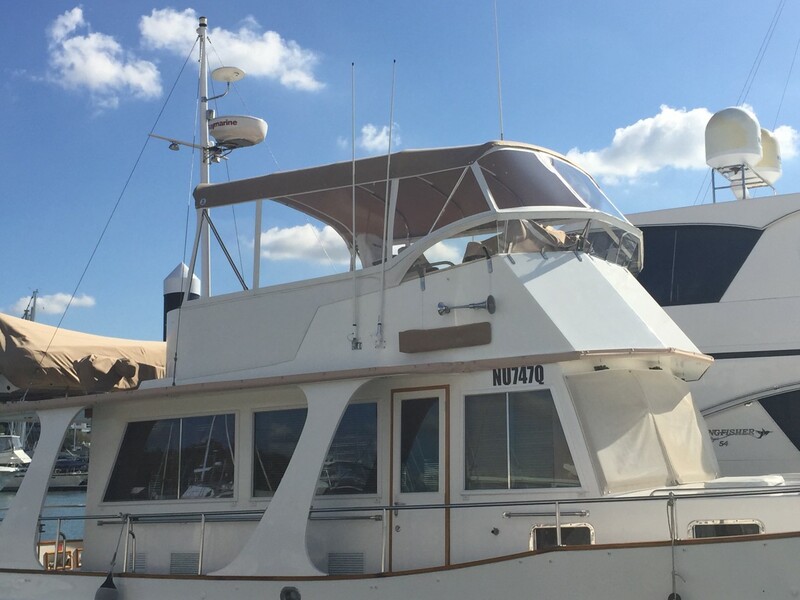 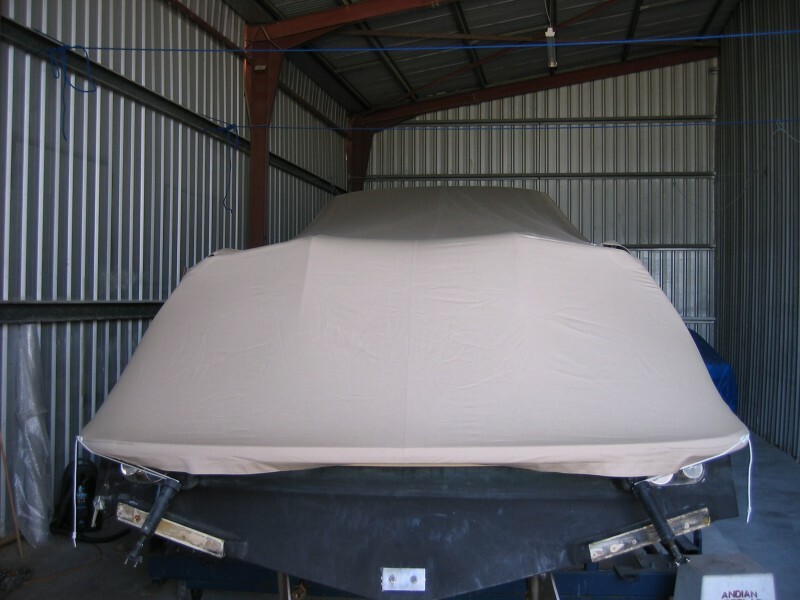 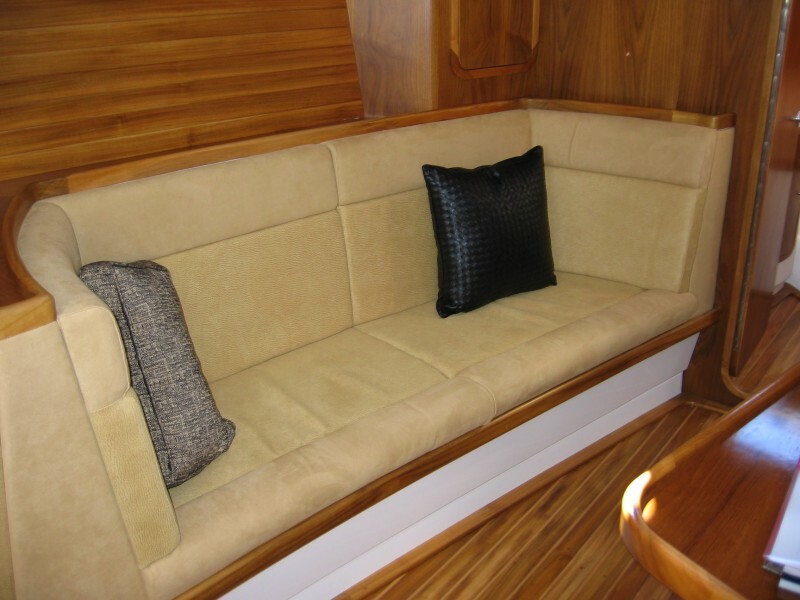 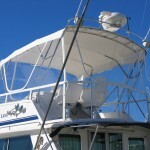 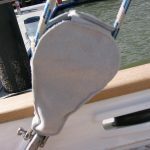 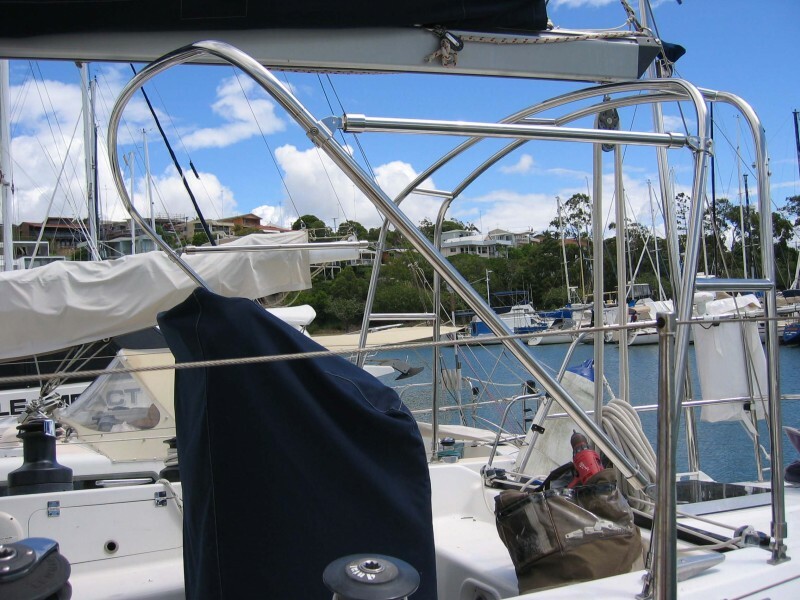 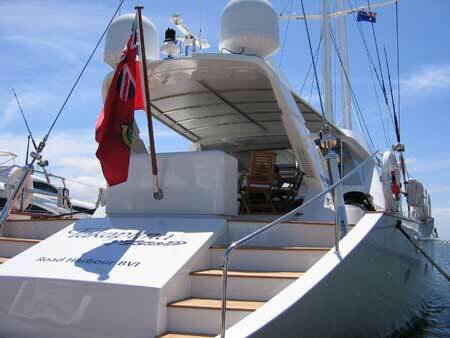 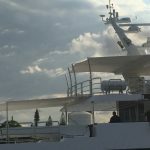 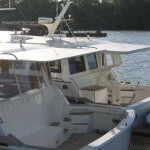 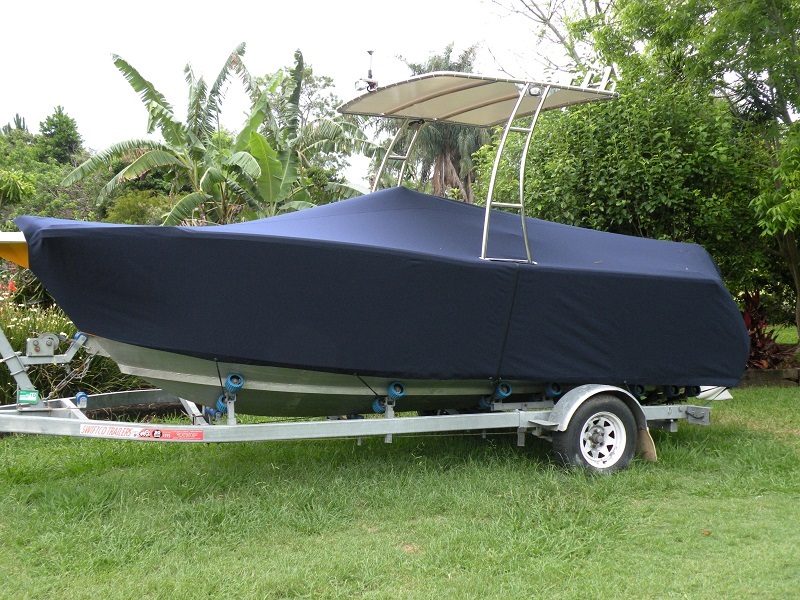 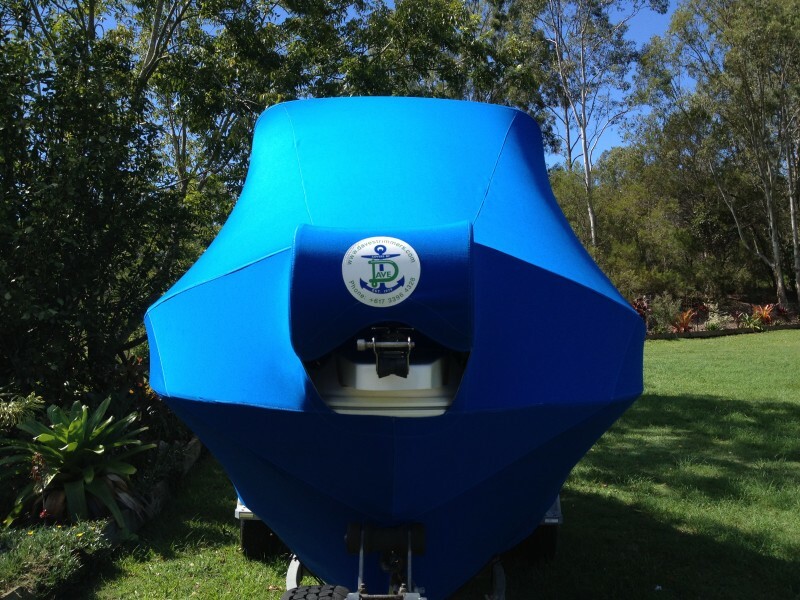 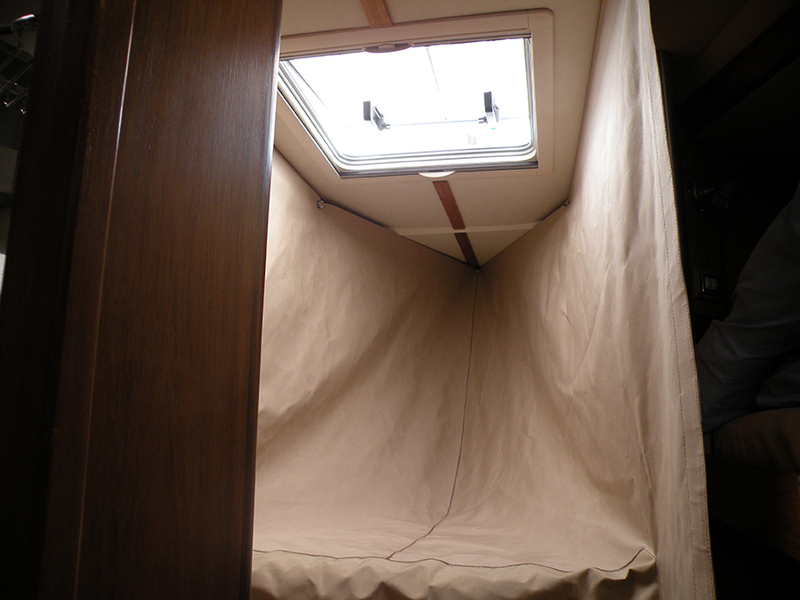 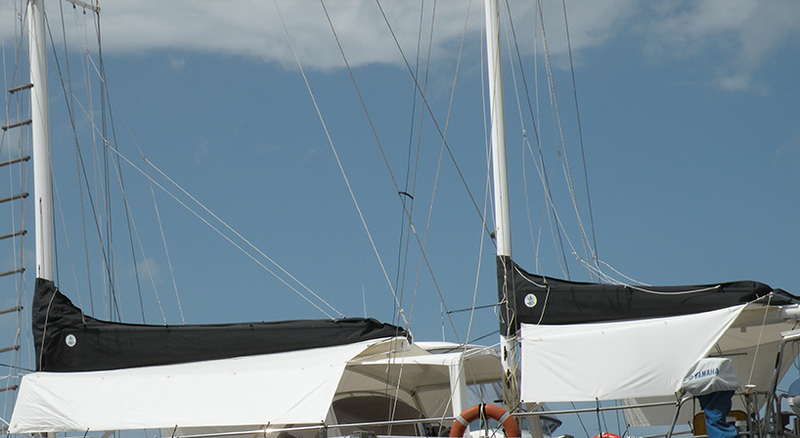 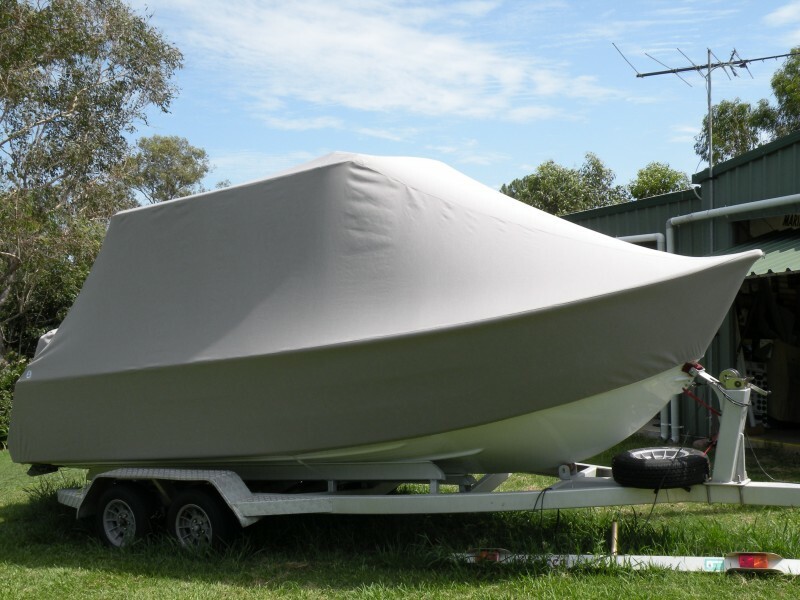 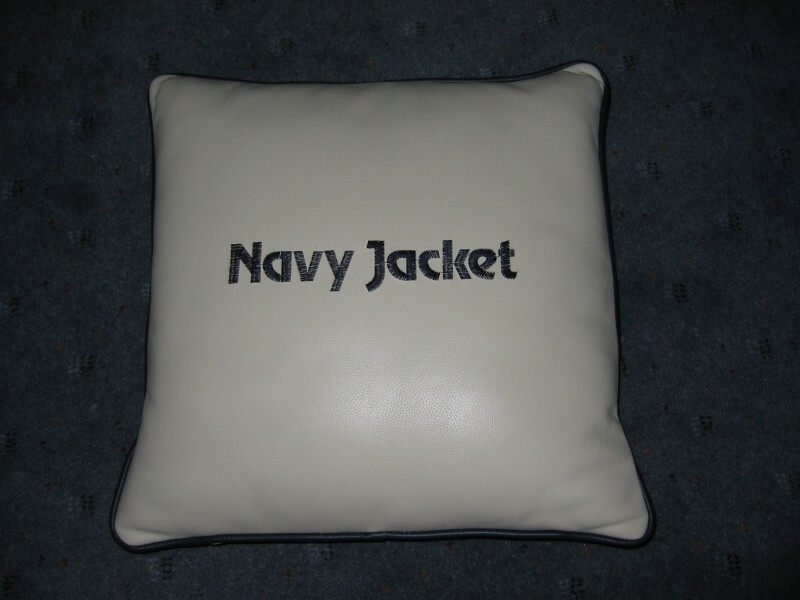 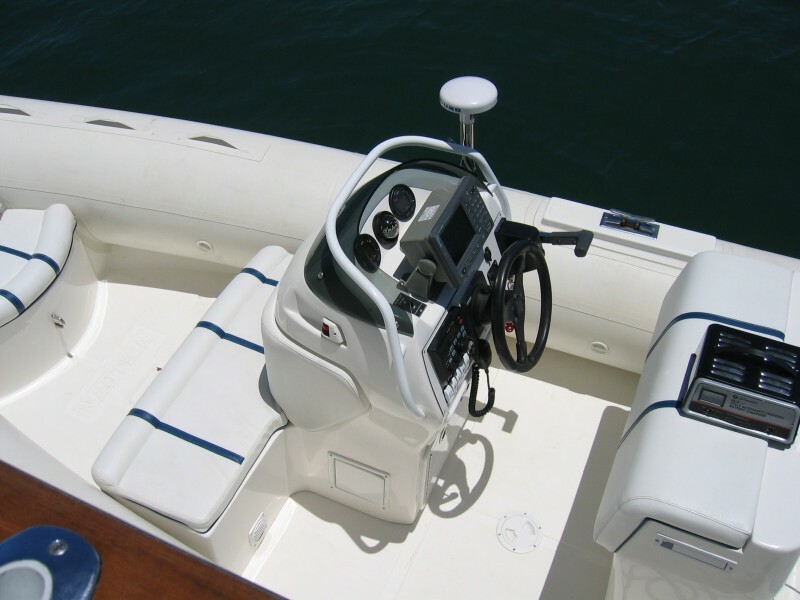 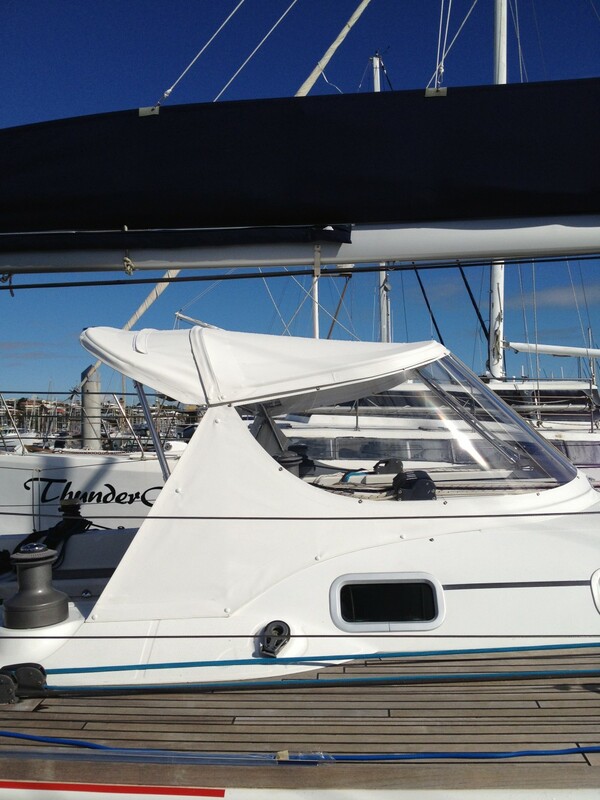 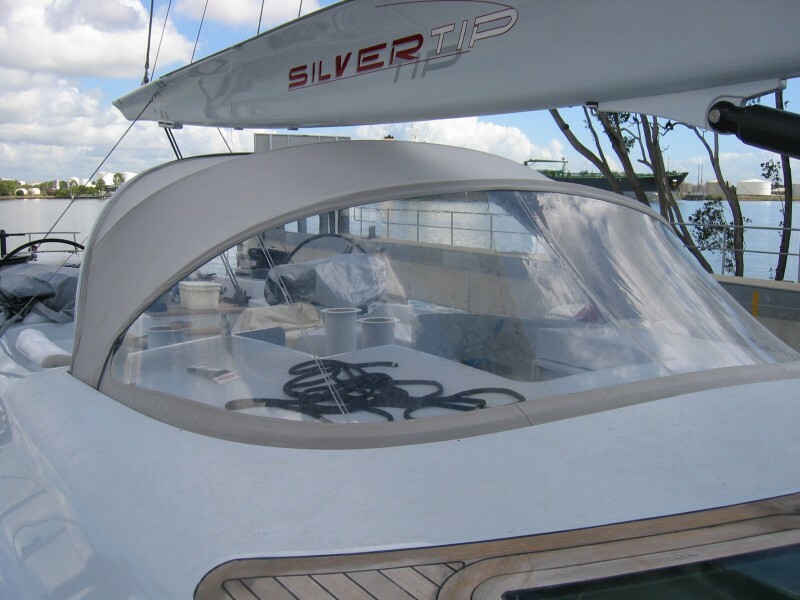 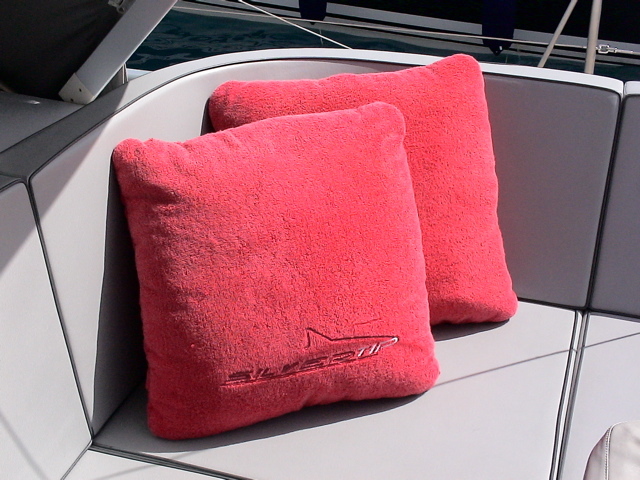 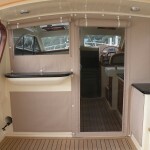 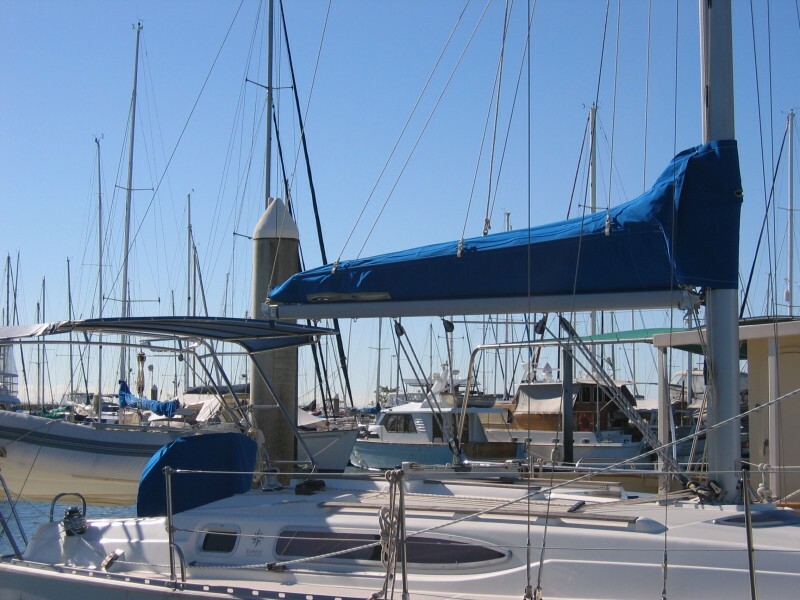 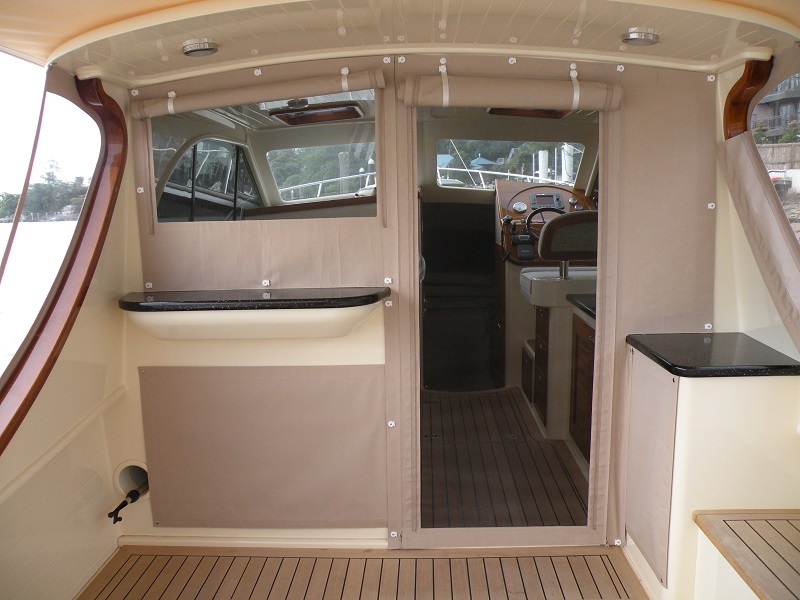 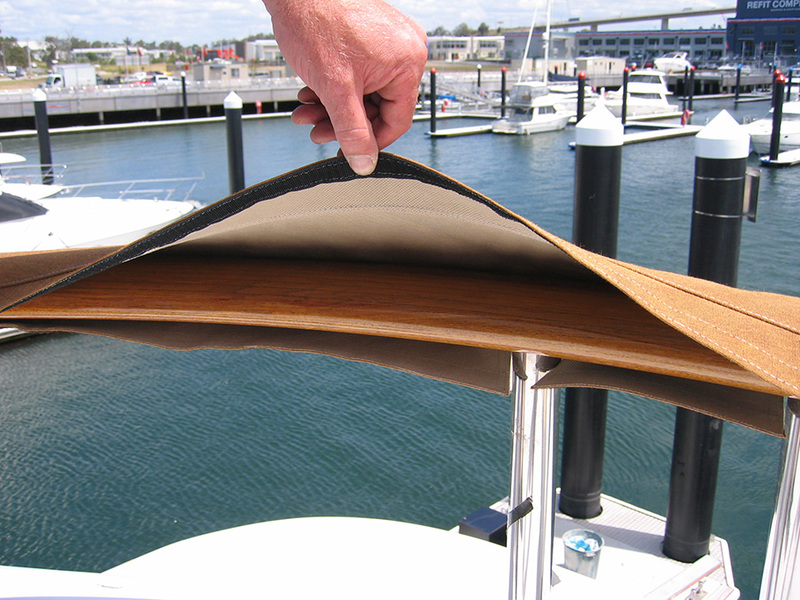 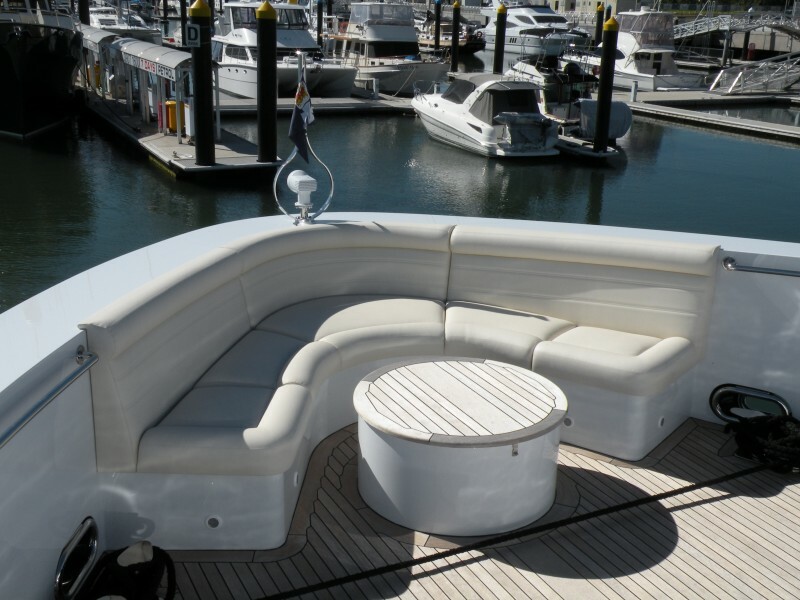 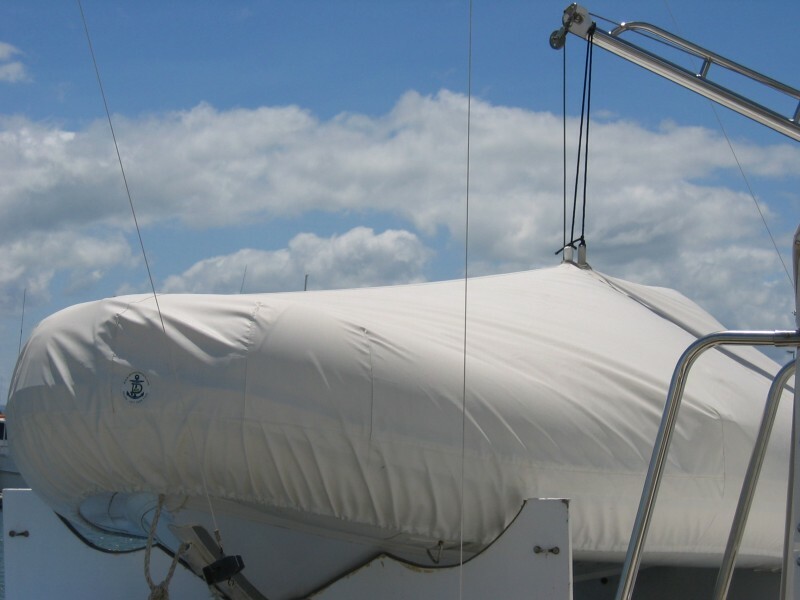 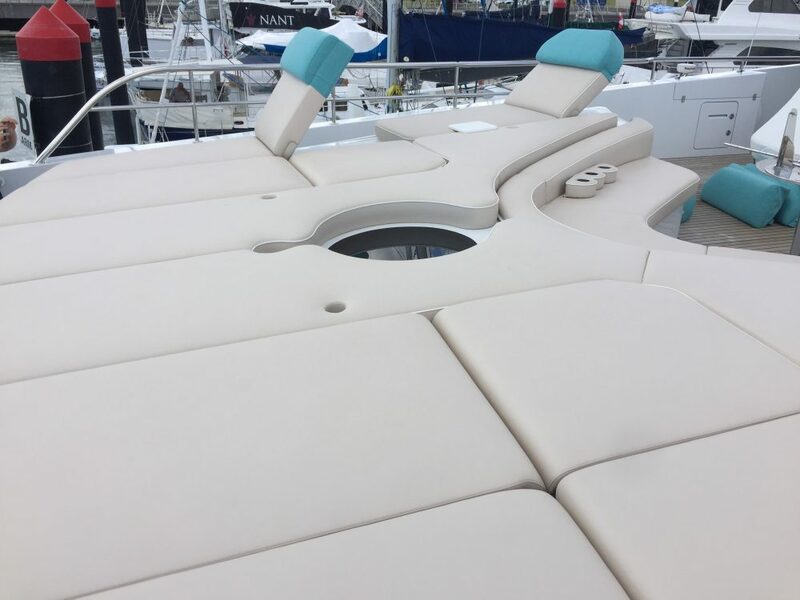 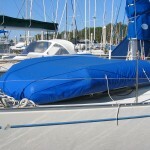 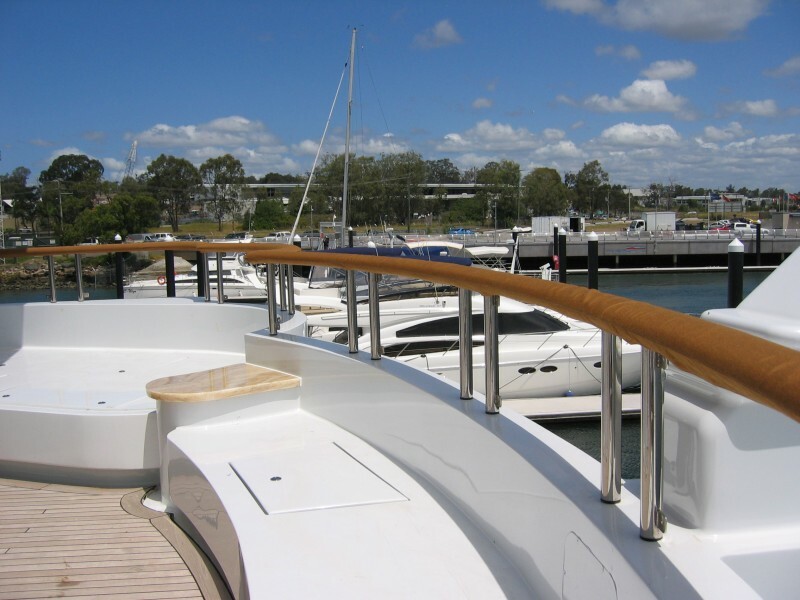 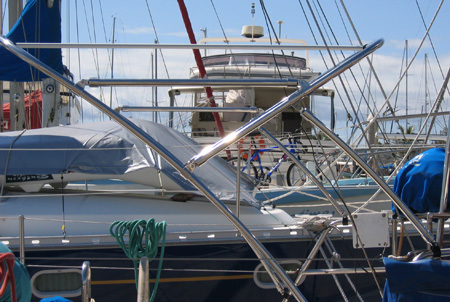 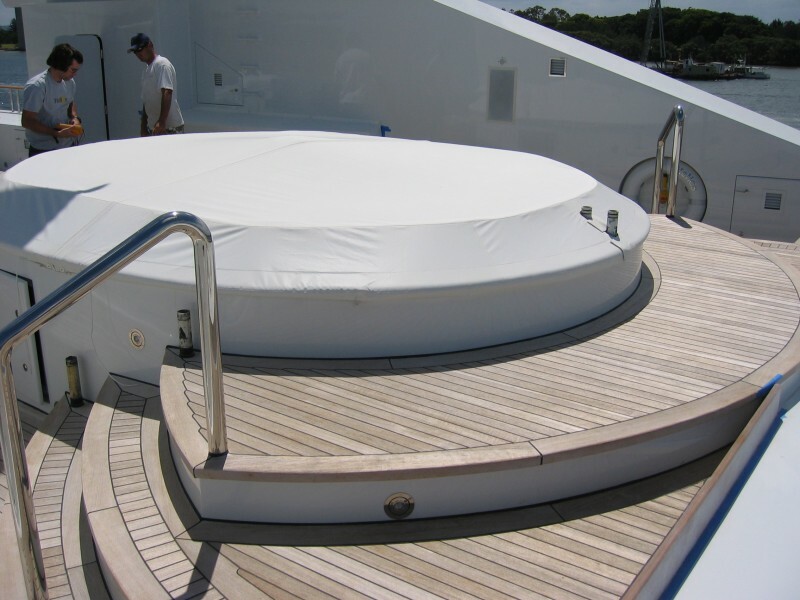 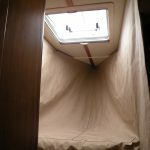 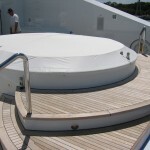 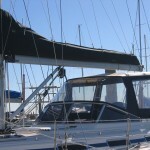 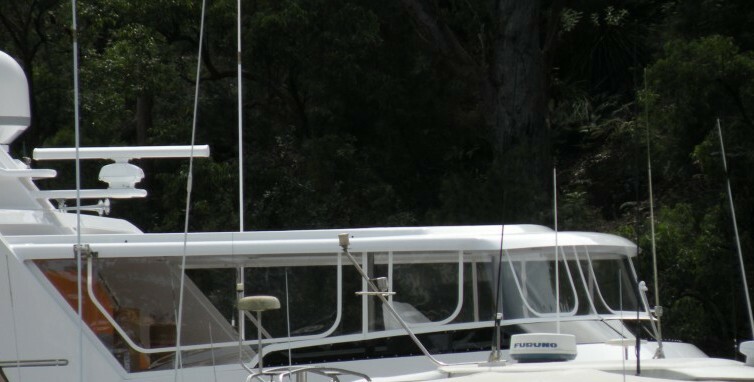 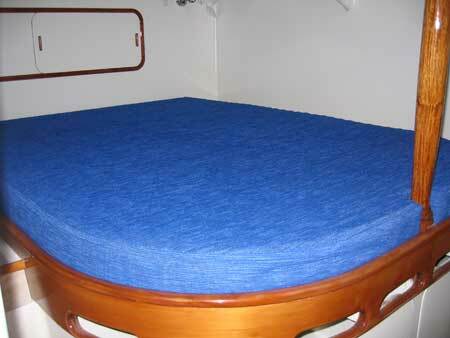 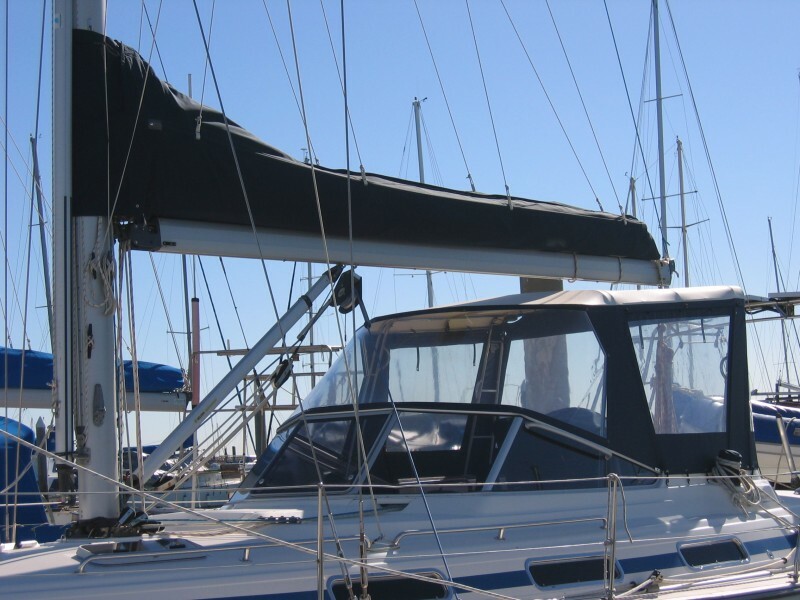 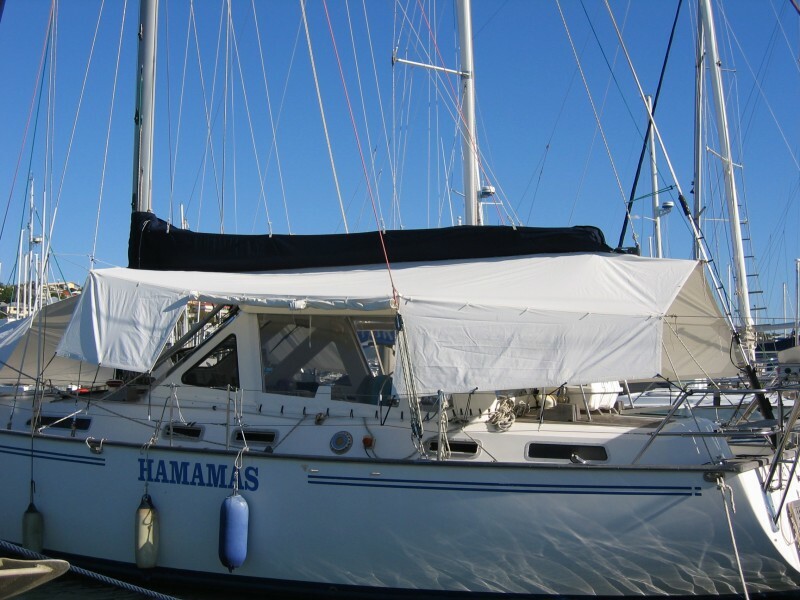 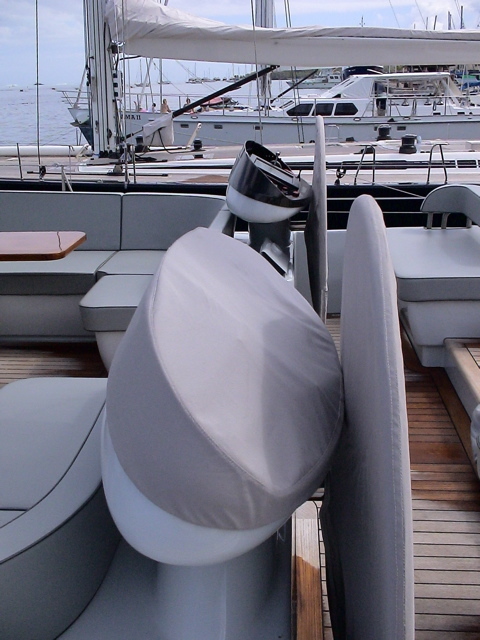 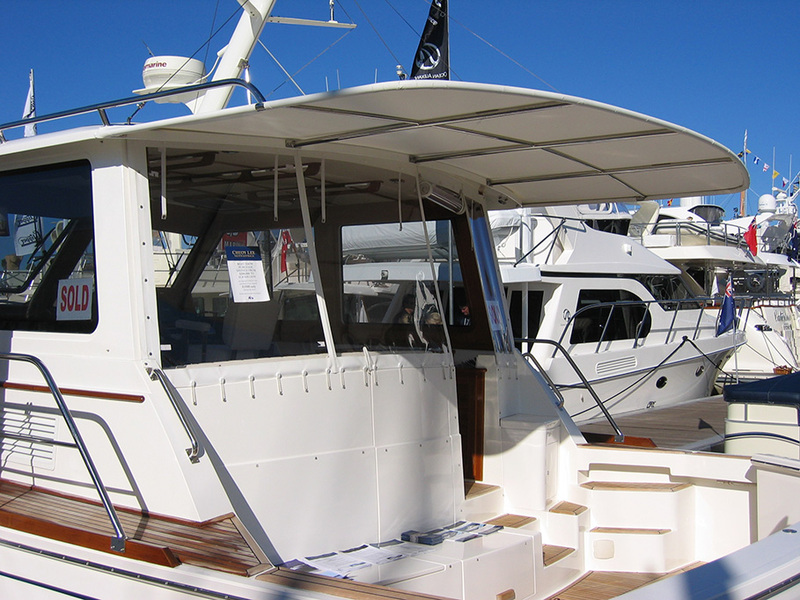 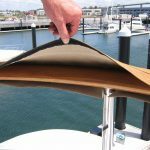 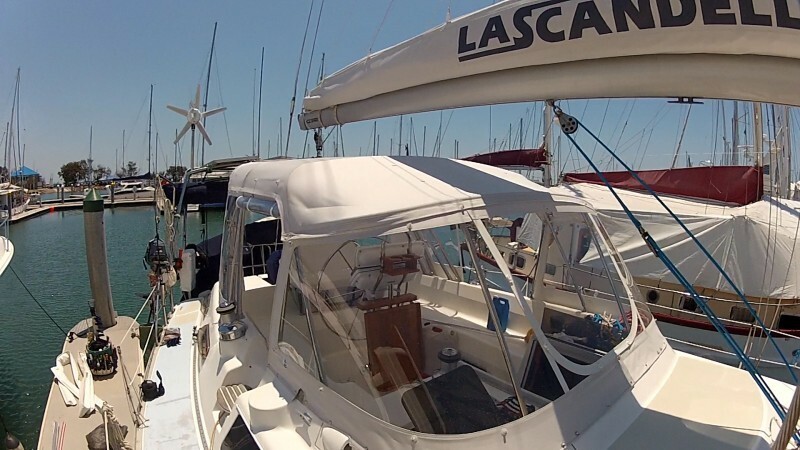 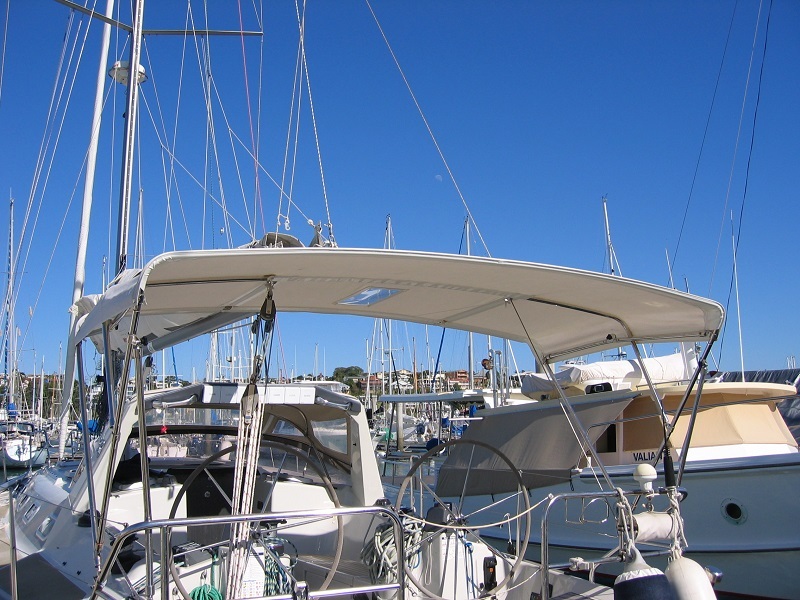 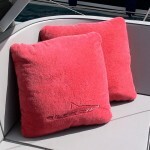 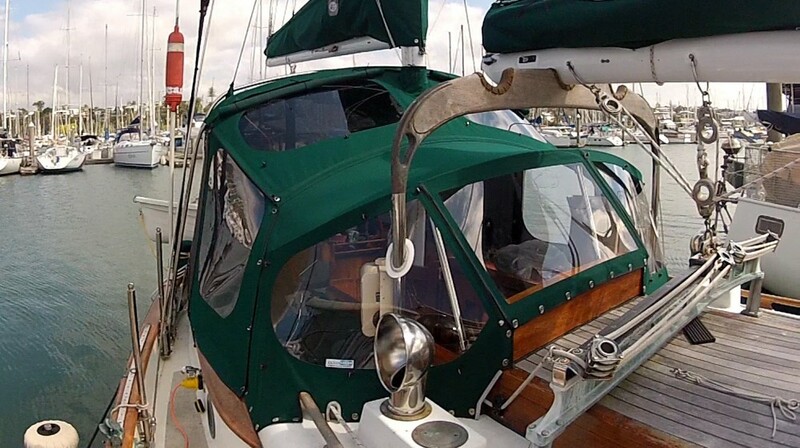 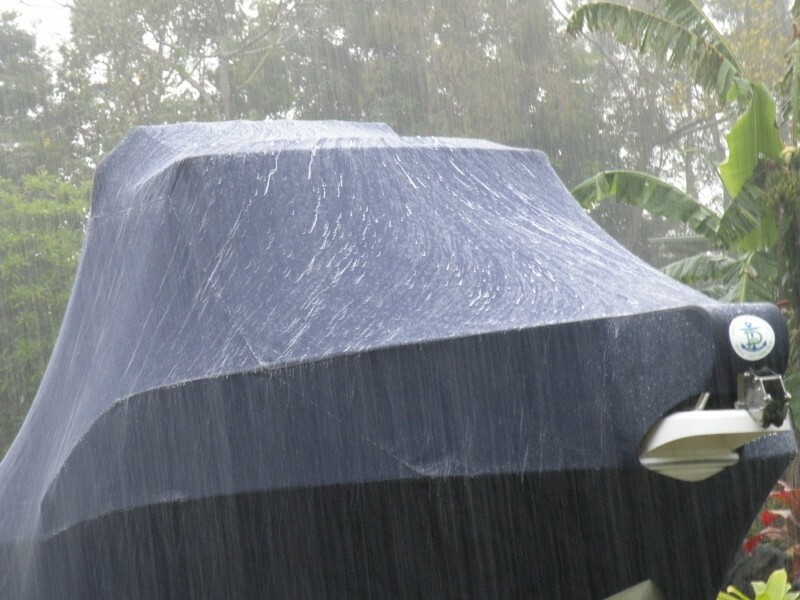 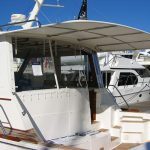 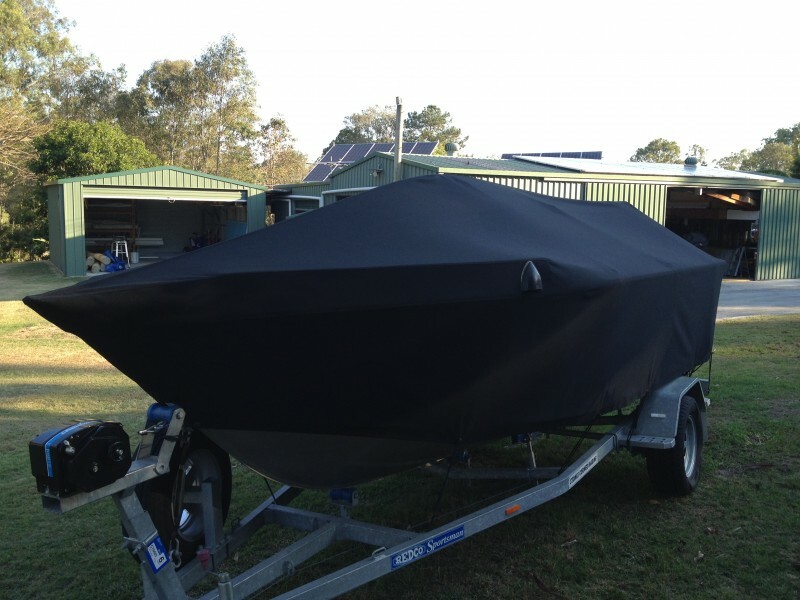 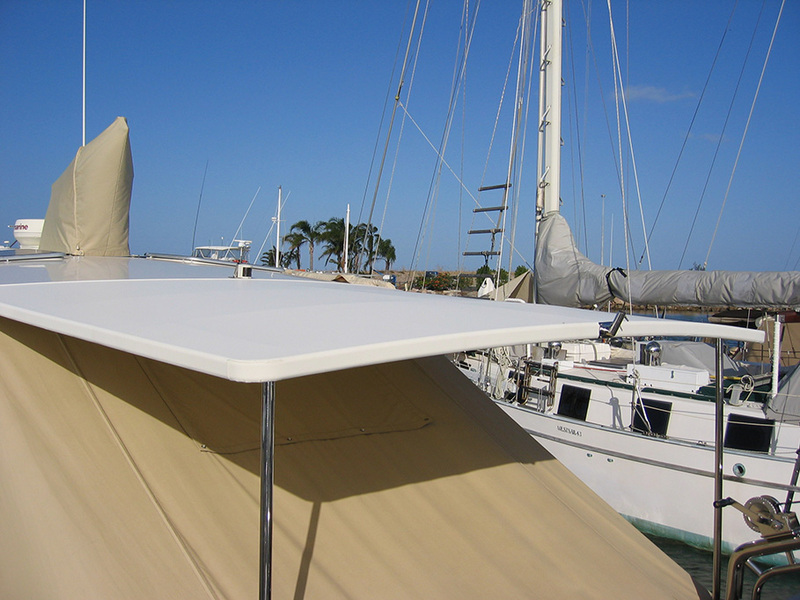 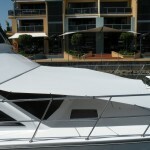 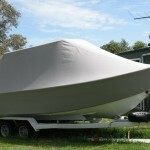 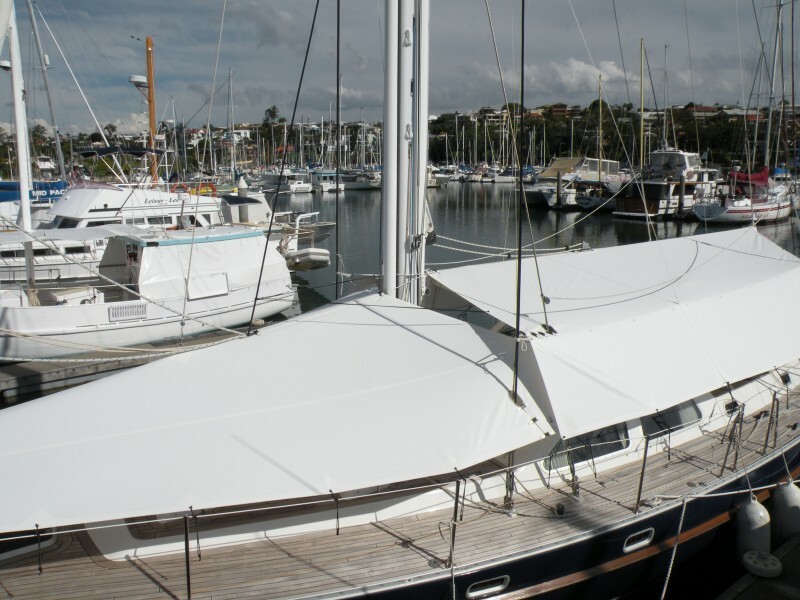 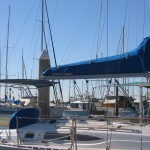 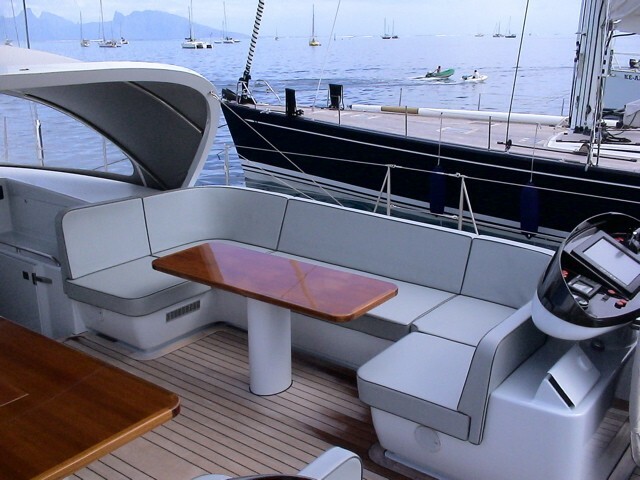 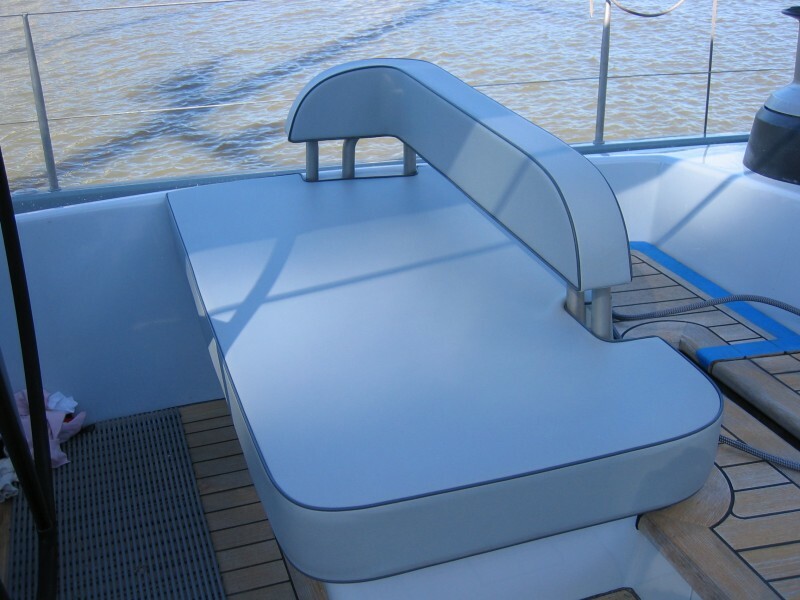 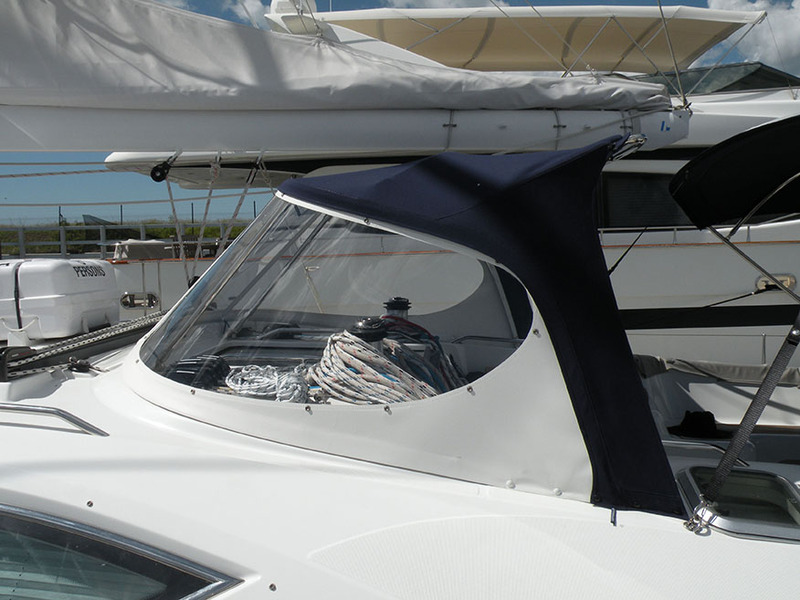 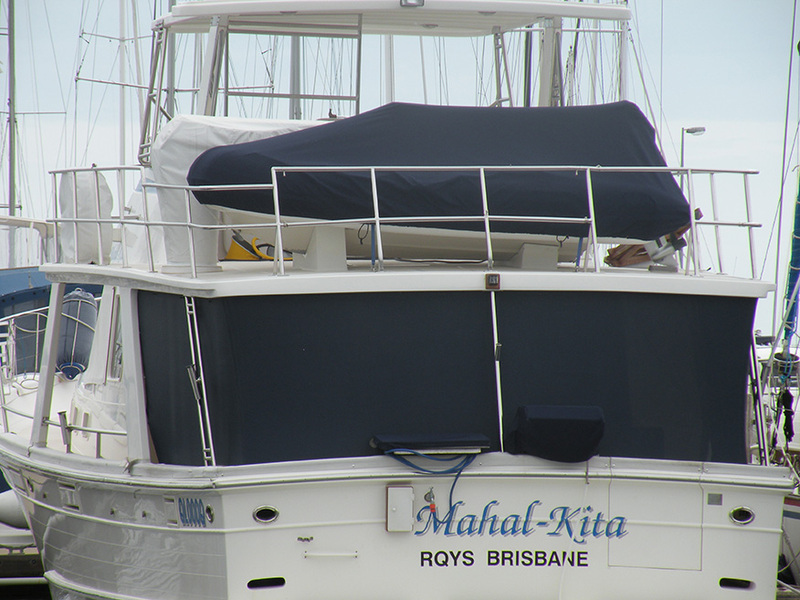 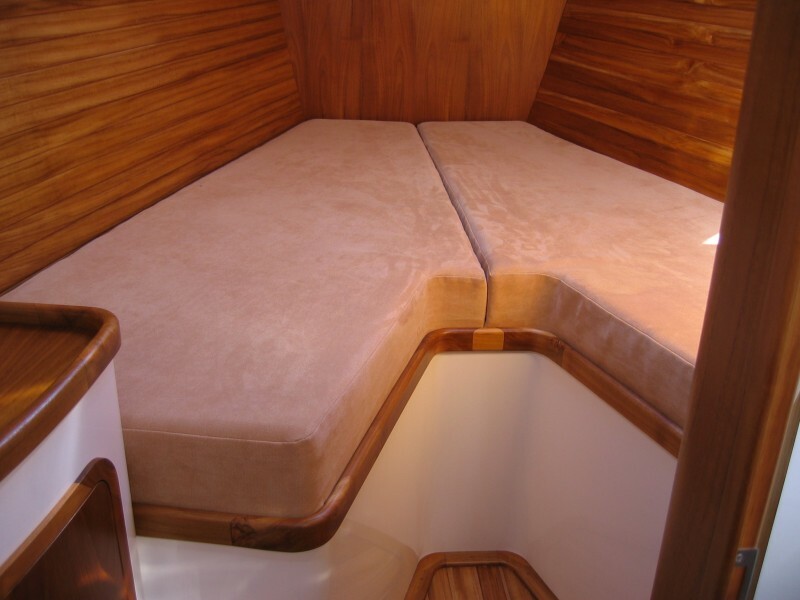 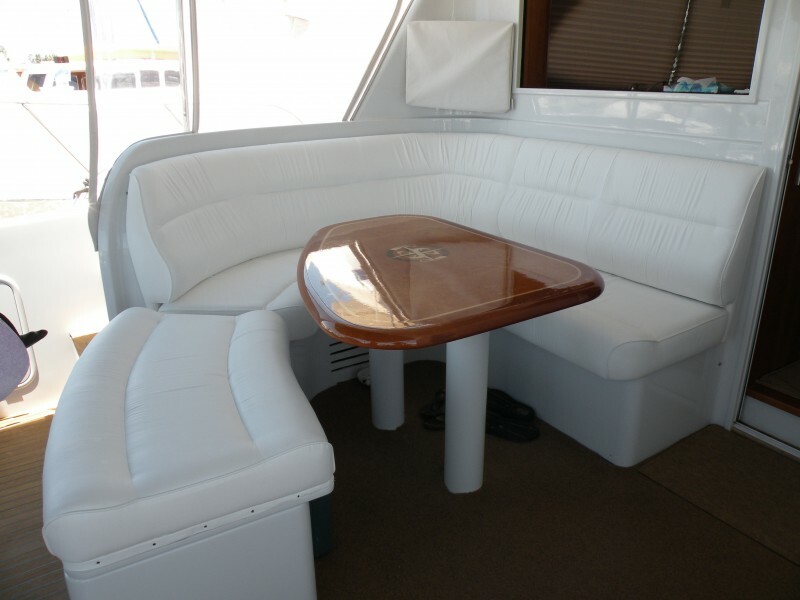 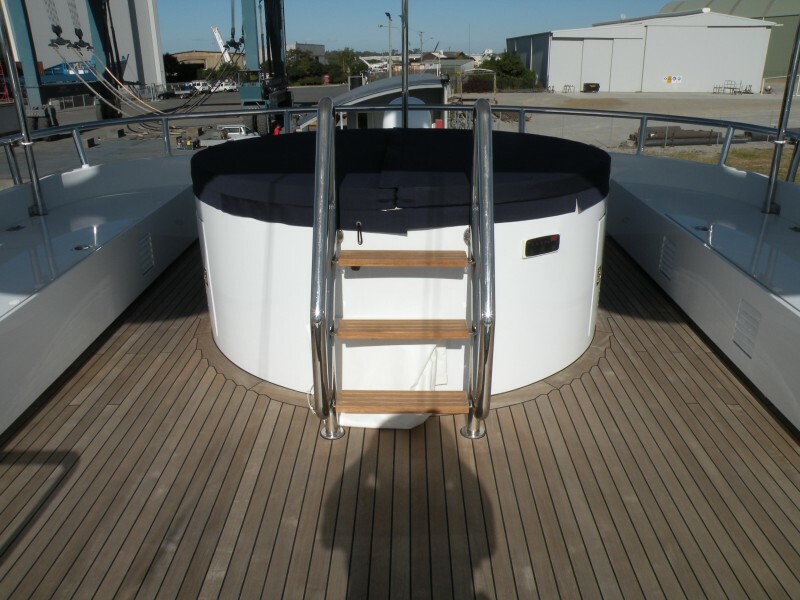 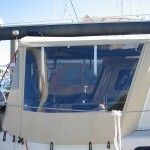 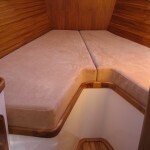 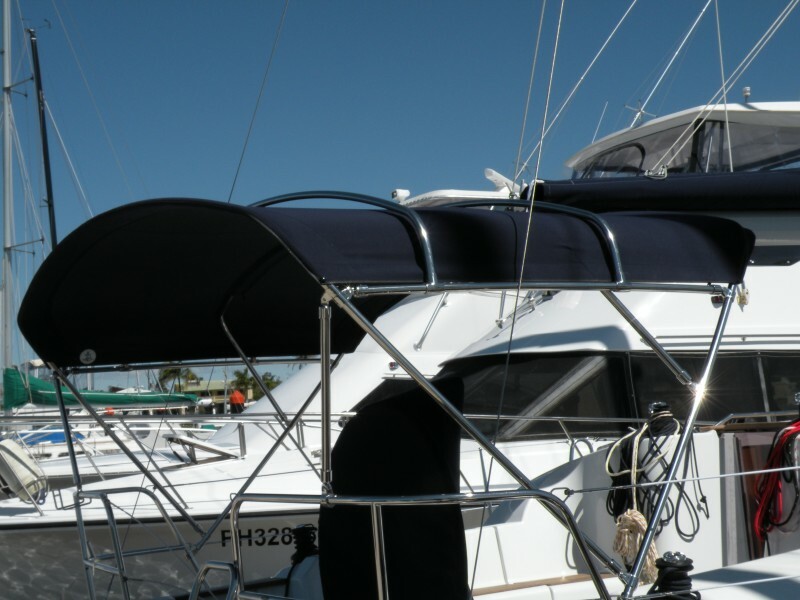 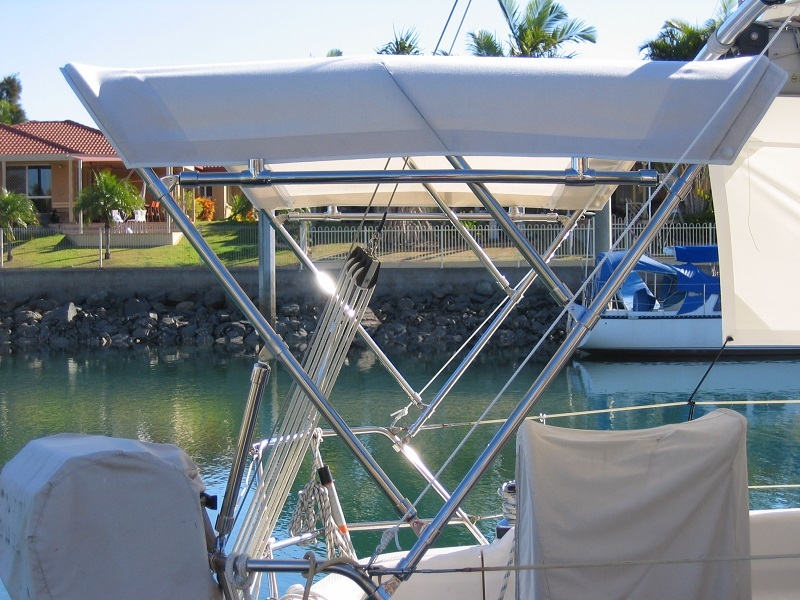 Covers and accessories for boats and yachts.